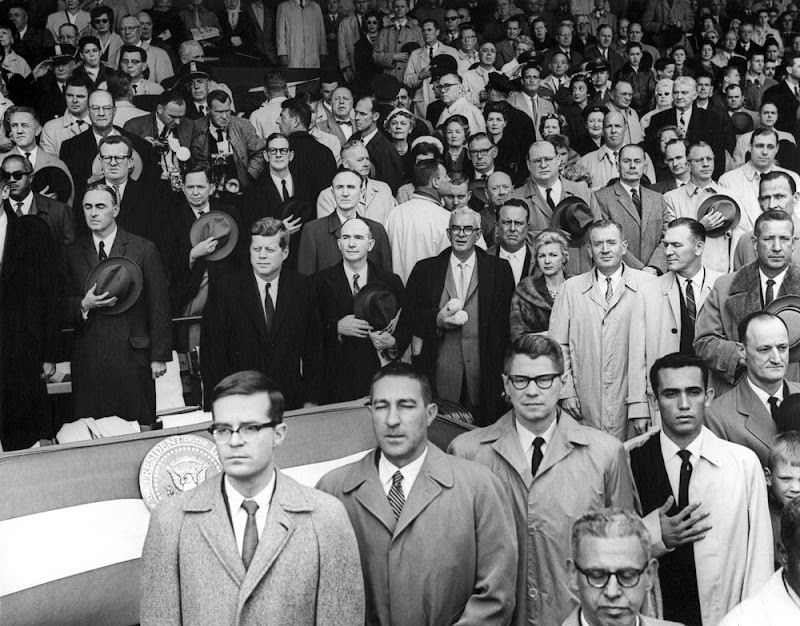 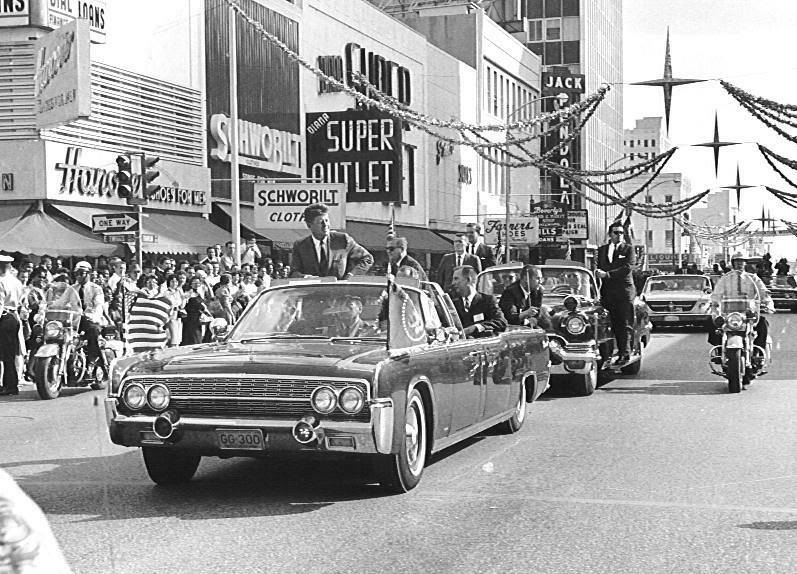 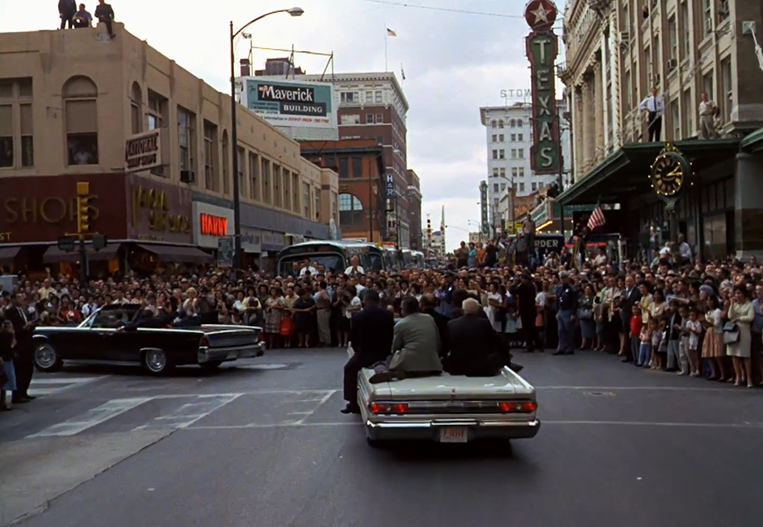 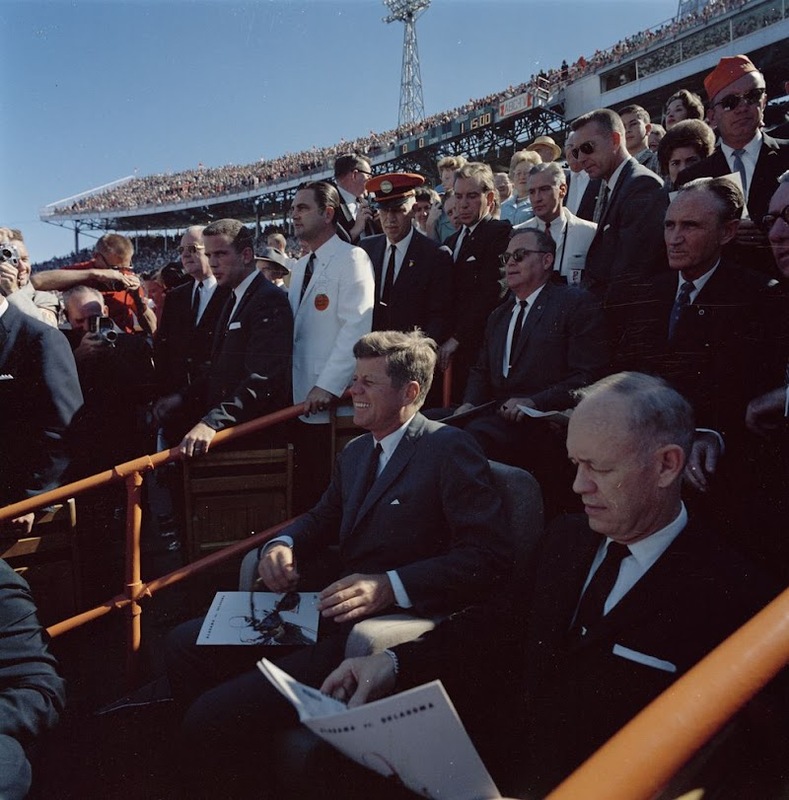 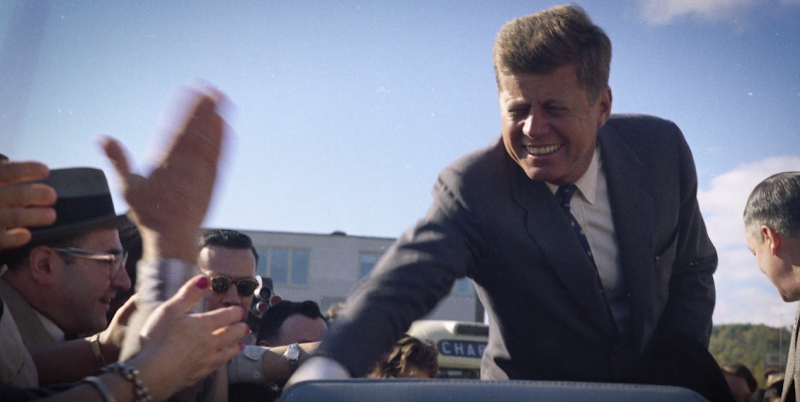 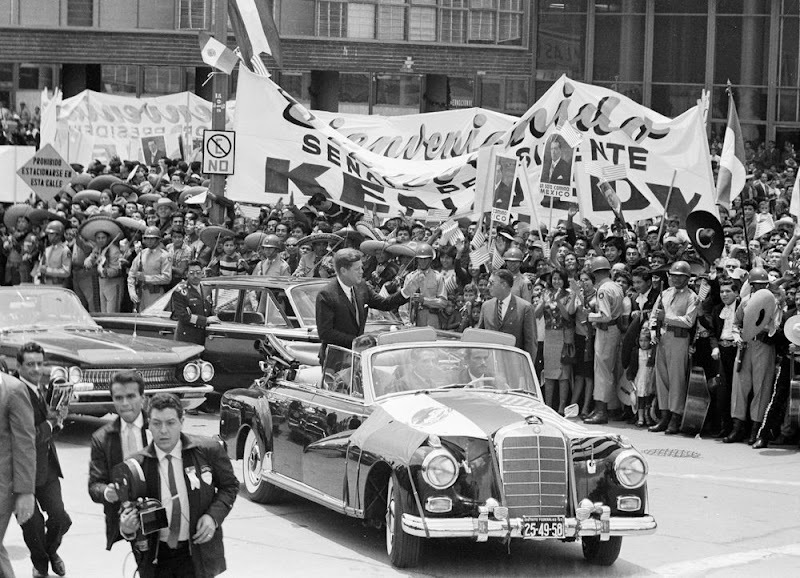 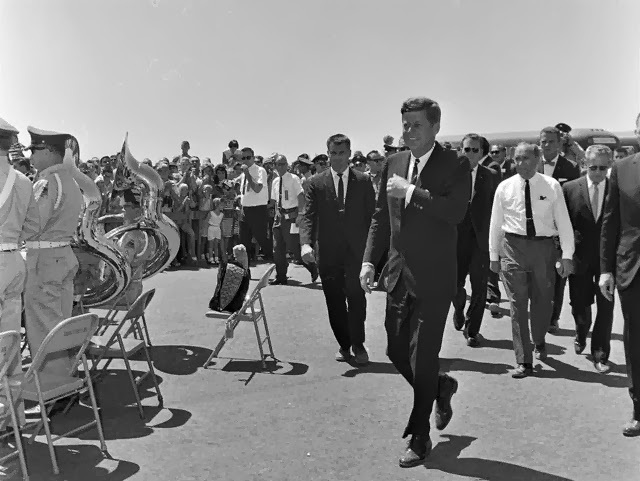 President Kennedy's visit to San Antonio, Texas, on November 21, 1963. 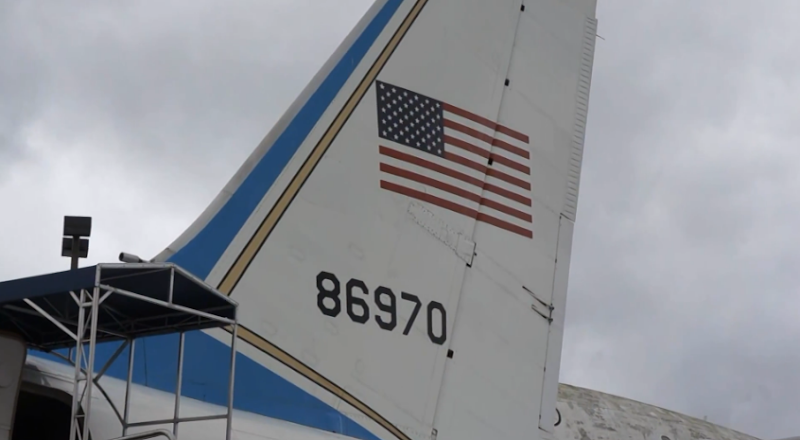 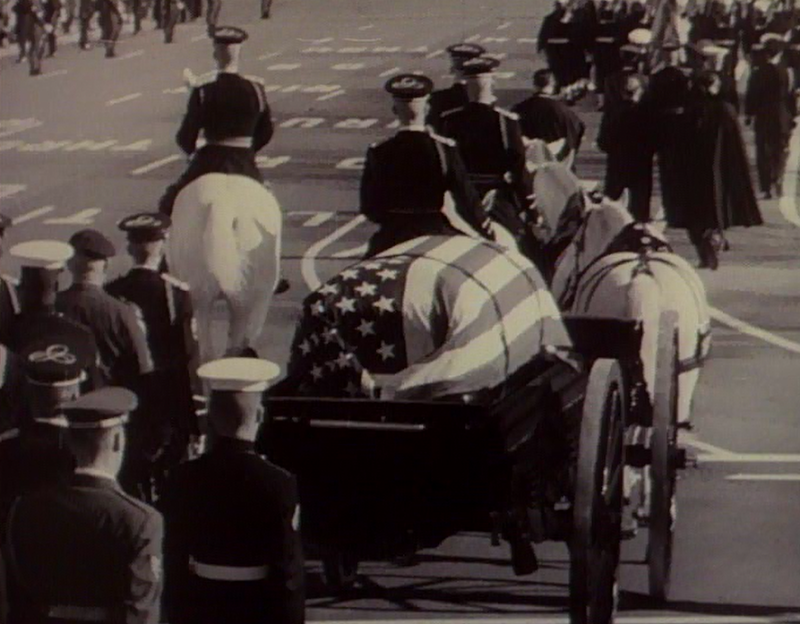 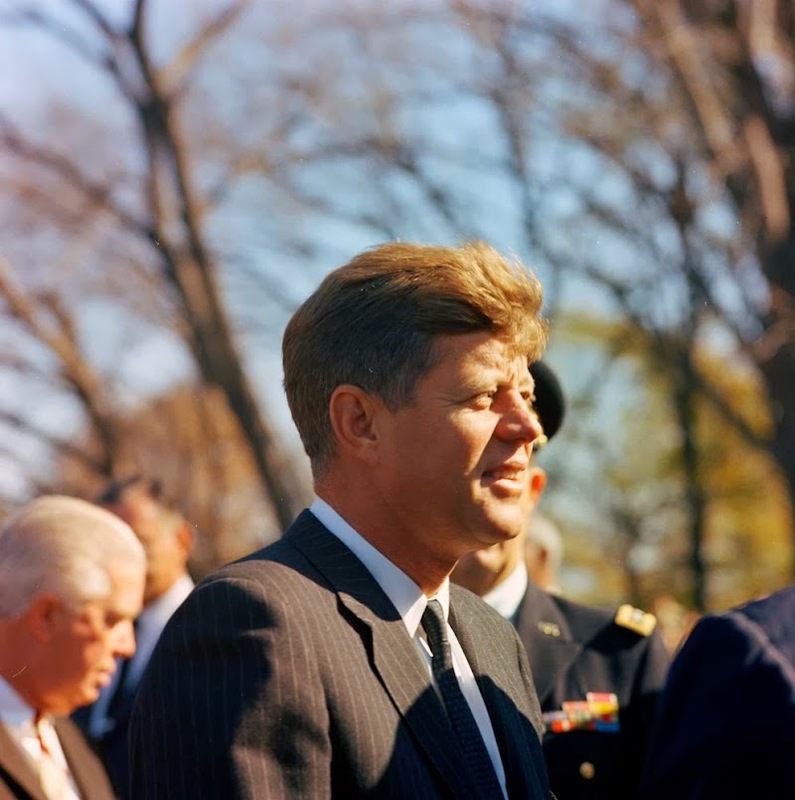 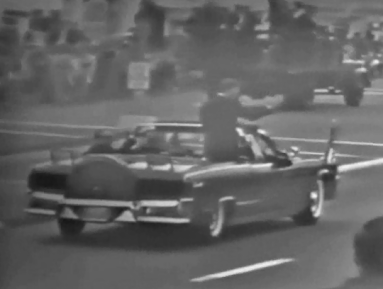 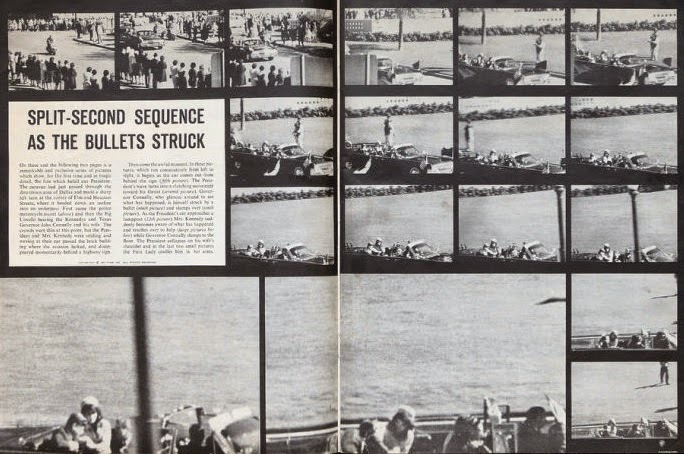 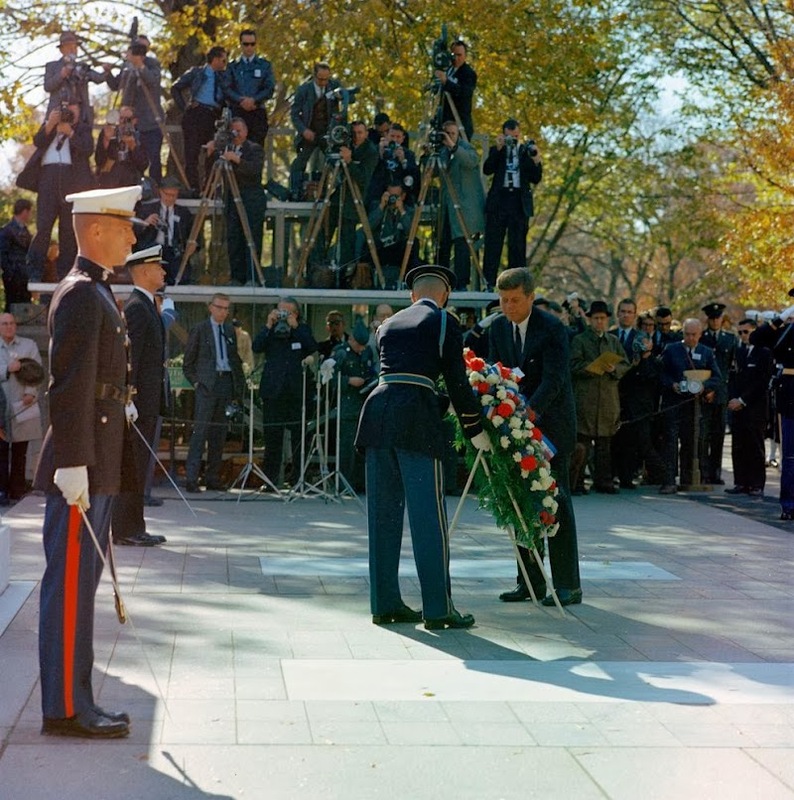 More pictures of JFK's final hours can be found HERE. 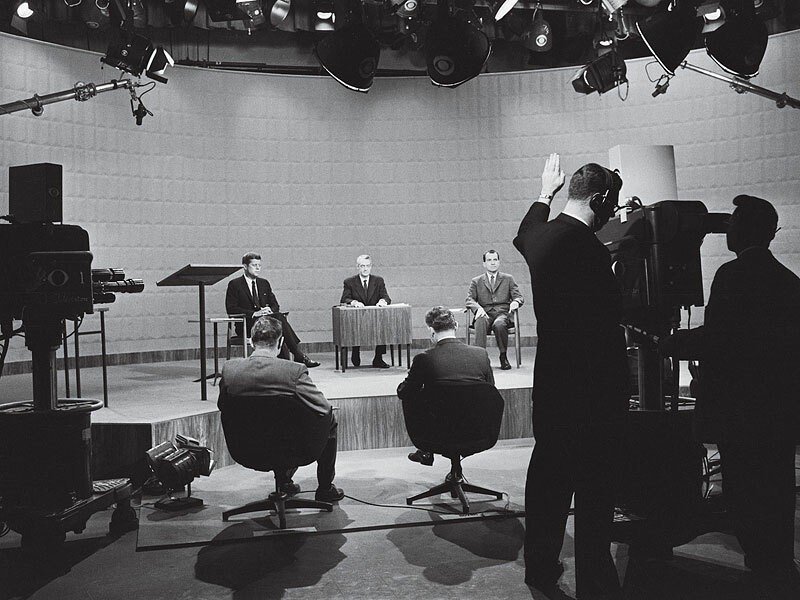 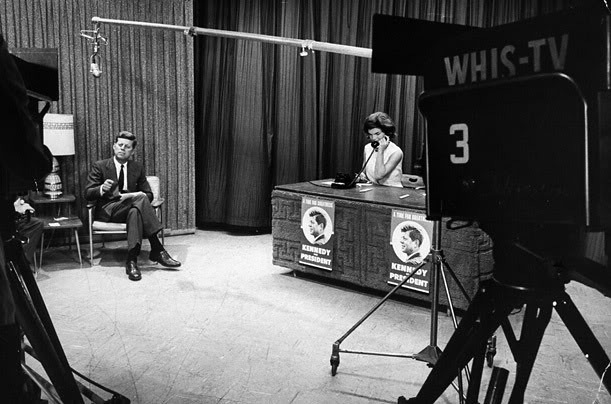 of a televised interview on December 16, 1962. 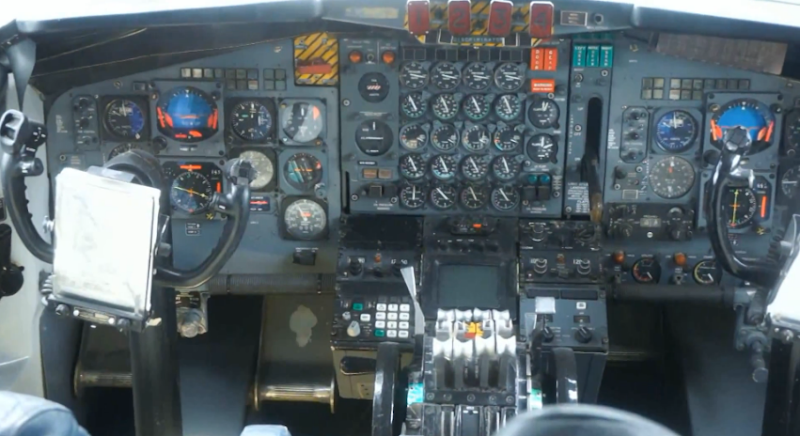 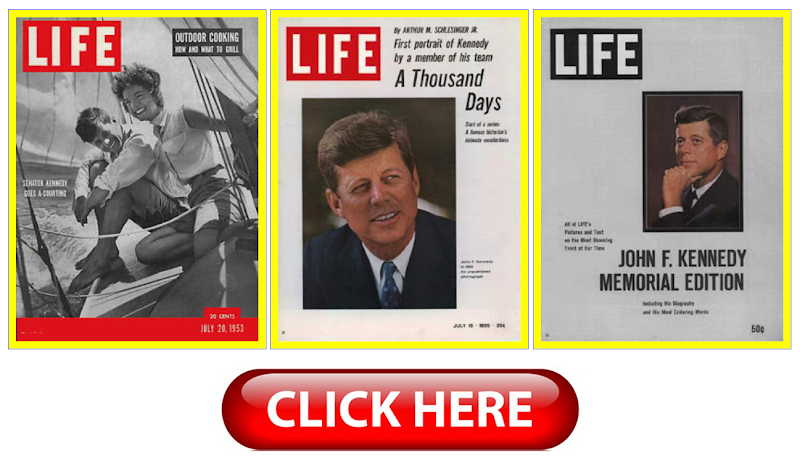 The interview can be seen by clicking the logo below. 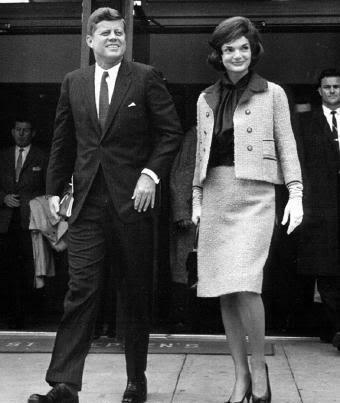 a cigarette, making this photograph a very rare one in that respect. 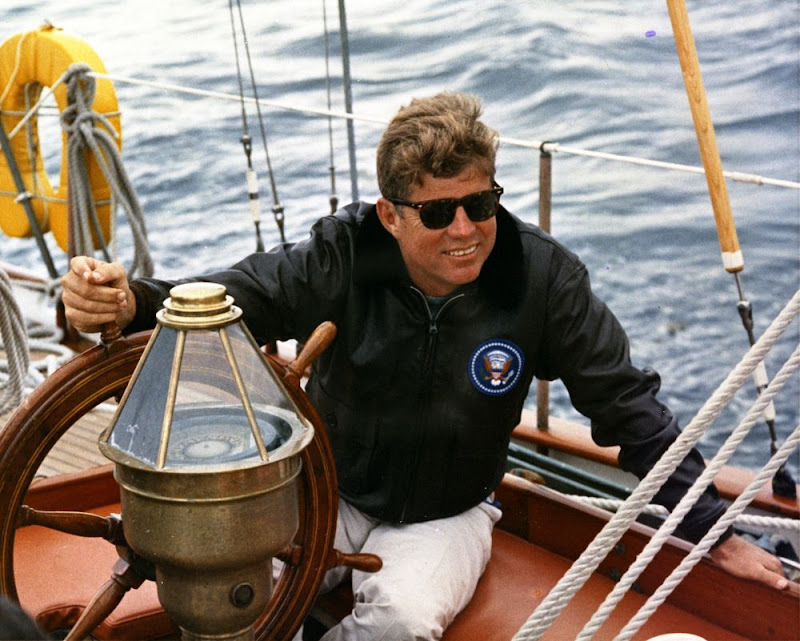 off the coast of Johns Island, Maine (August 12, 1962). 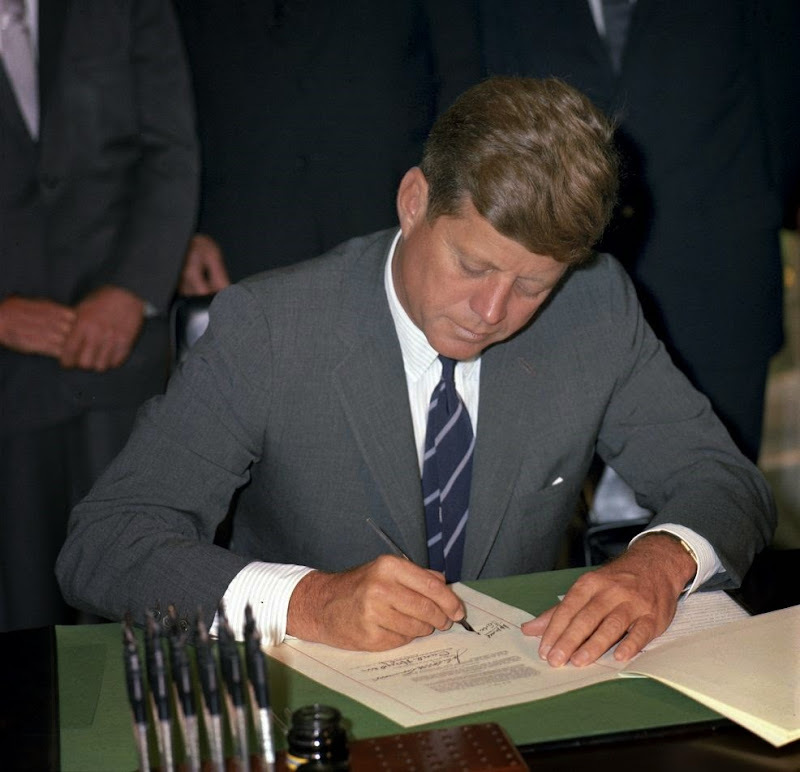 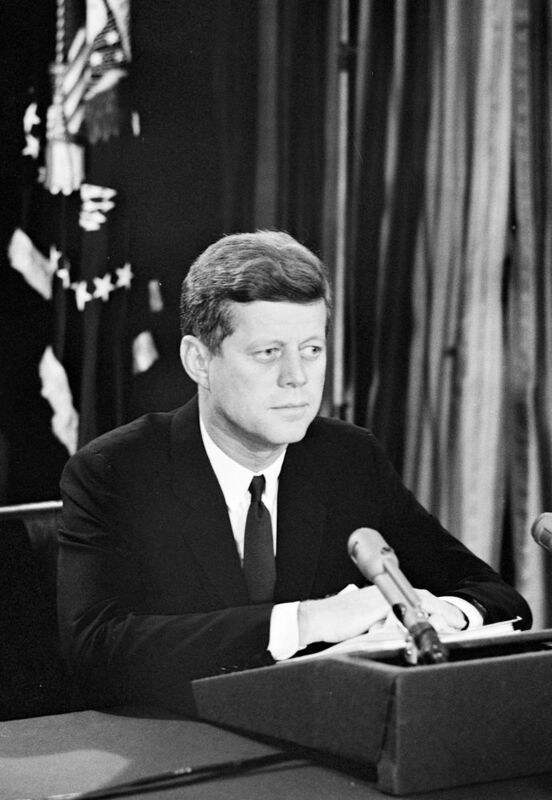 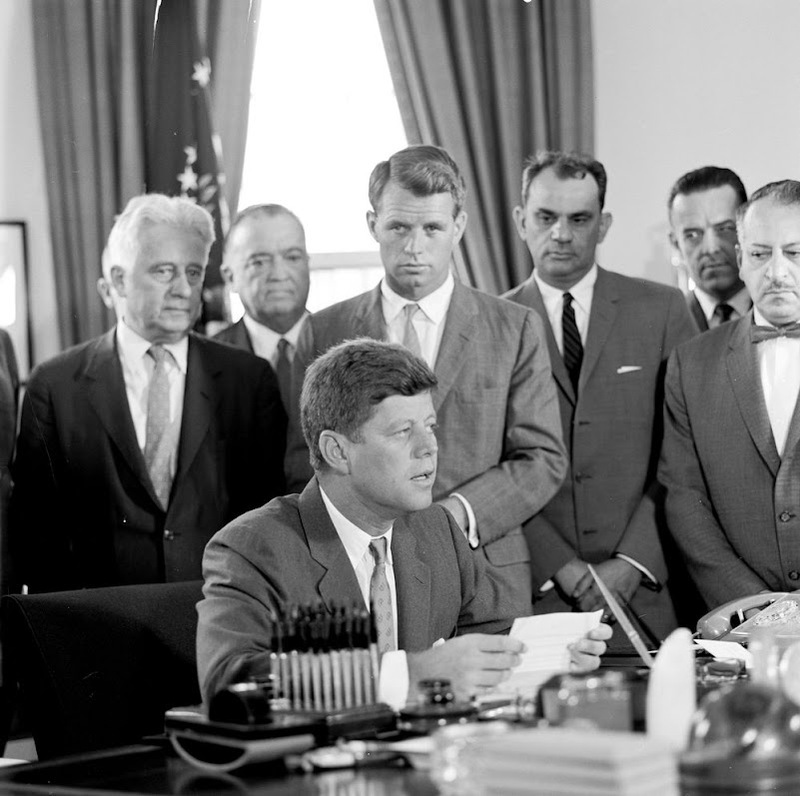 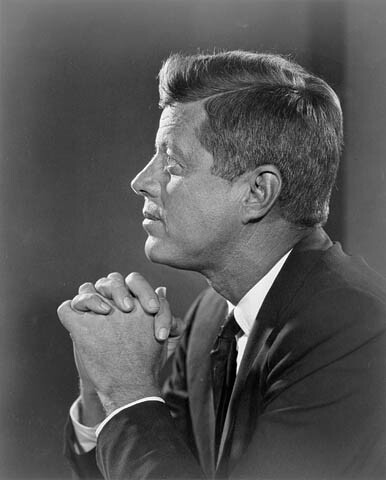 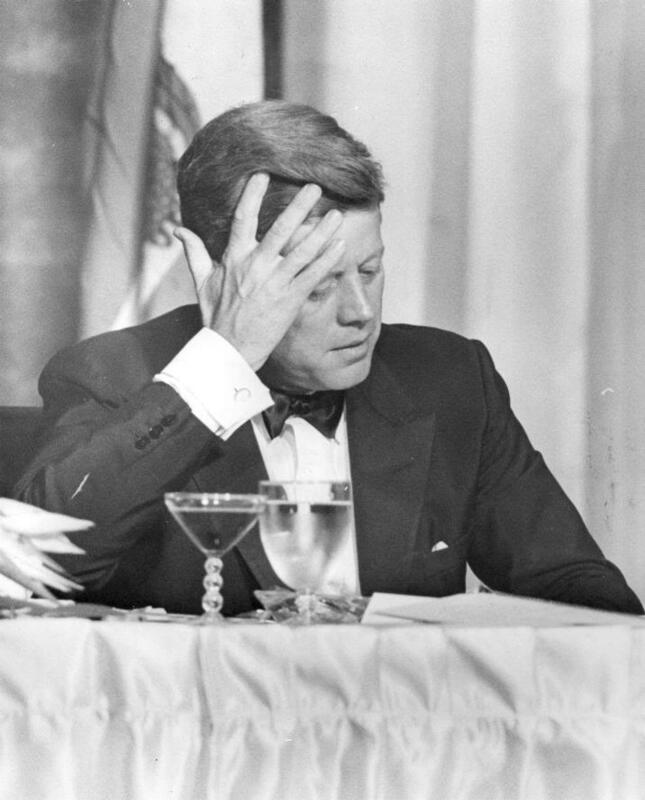 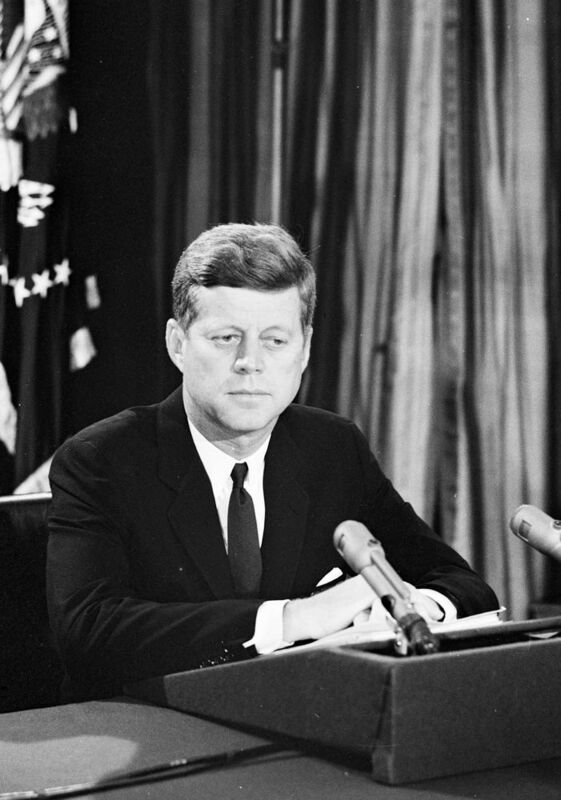 of President Kennedy's "Cuban Crisis" speech. 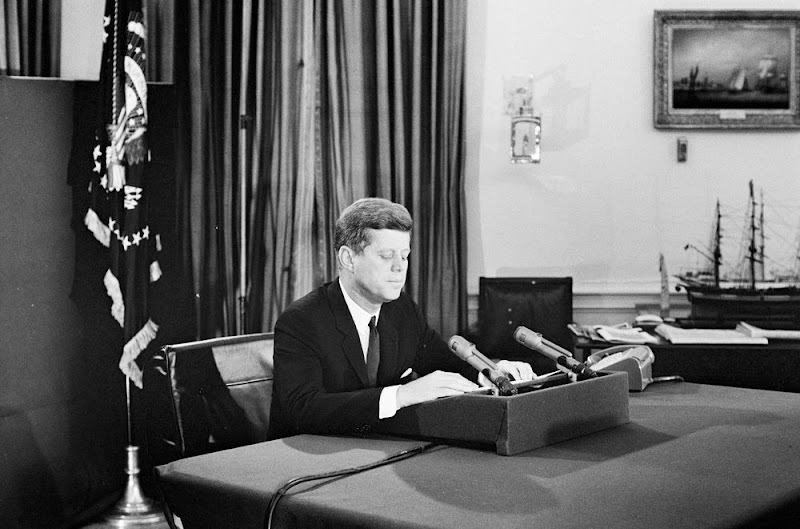 as the missile crisis in Cuba draws to a close (October 29, 1962). 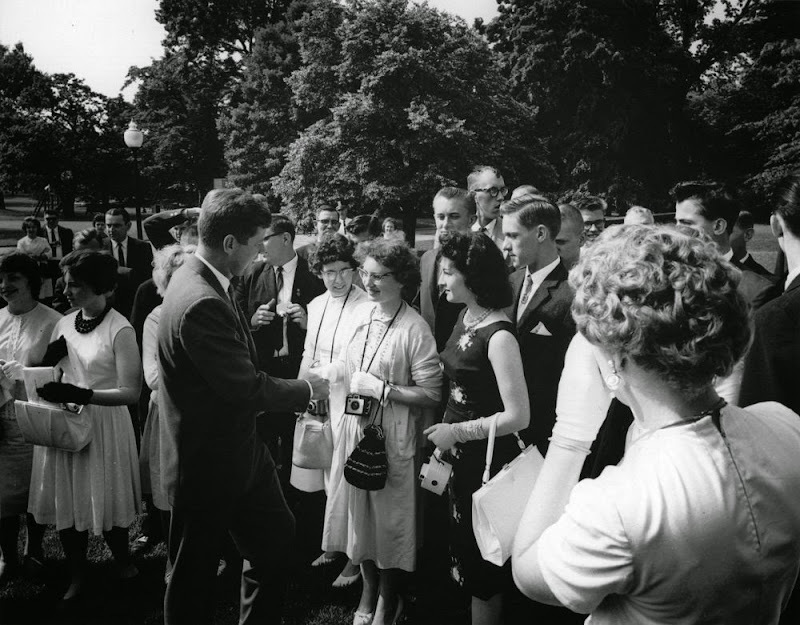 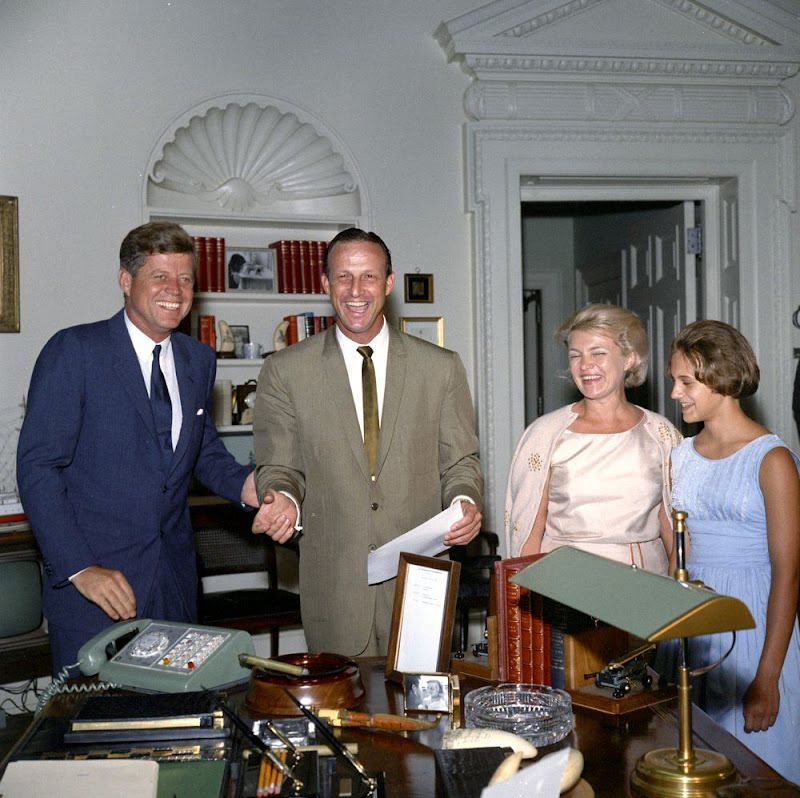 hands with John F. Kennedy at the White House (July 24, 1963). 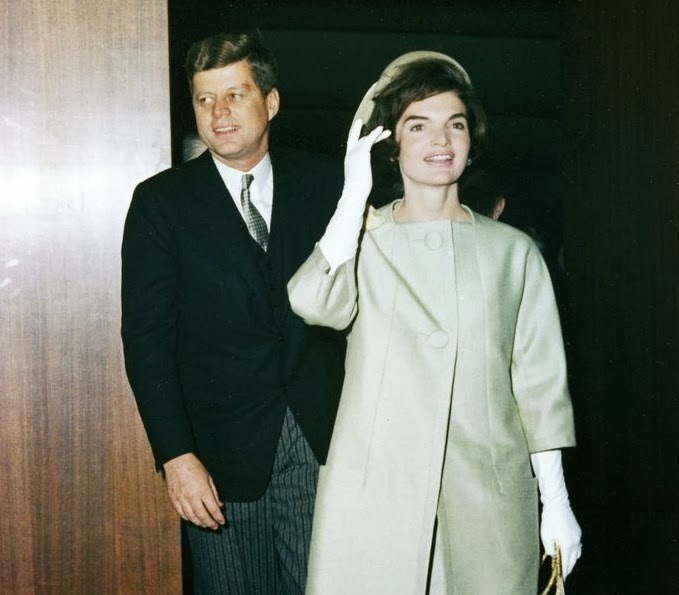 Jackie and Jack Kennedy in 1960. 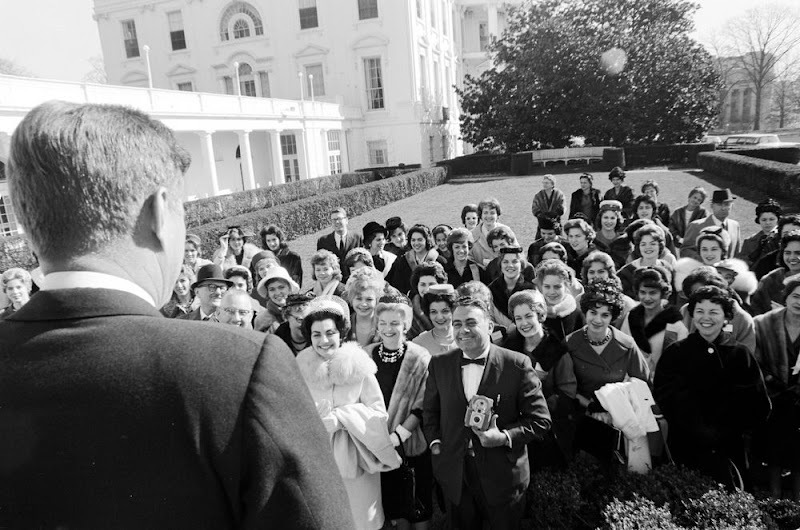 1962 Mardi Gras Royal Court and guests in the Rose Garden of the White House. 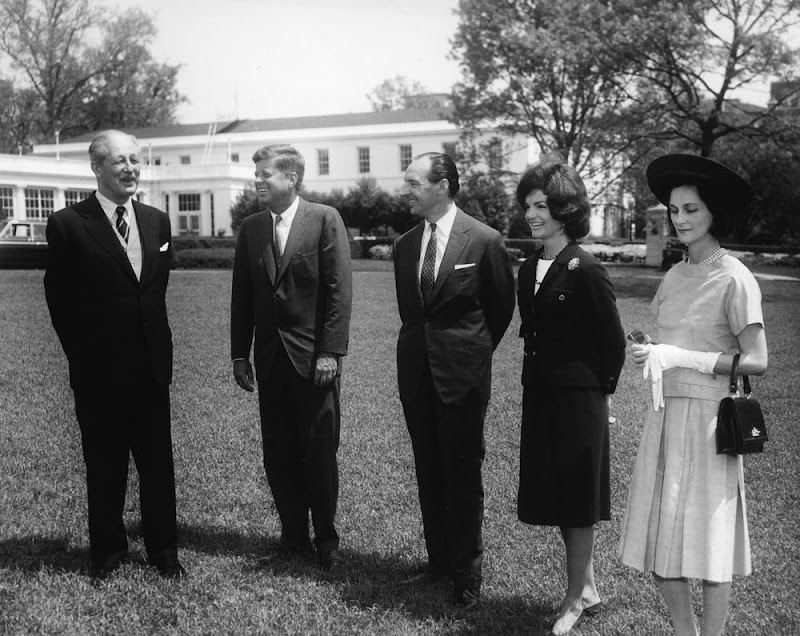 stand in front of the White House after a luncheon in honor of the Prime Minister. 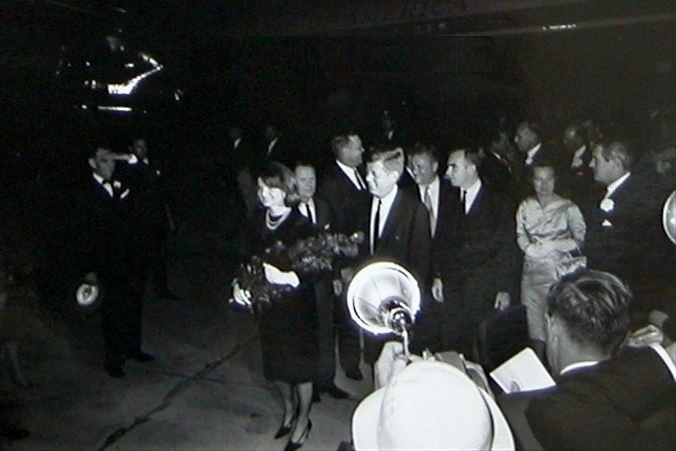 the Ambassador’s wife, Sylvia Thomas Ormsby-Gore (April 29, 1962). 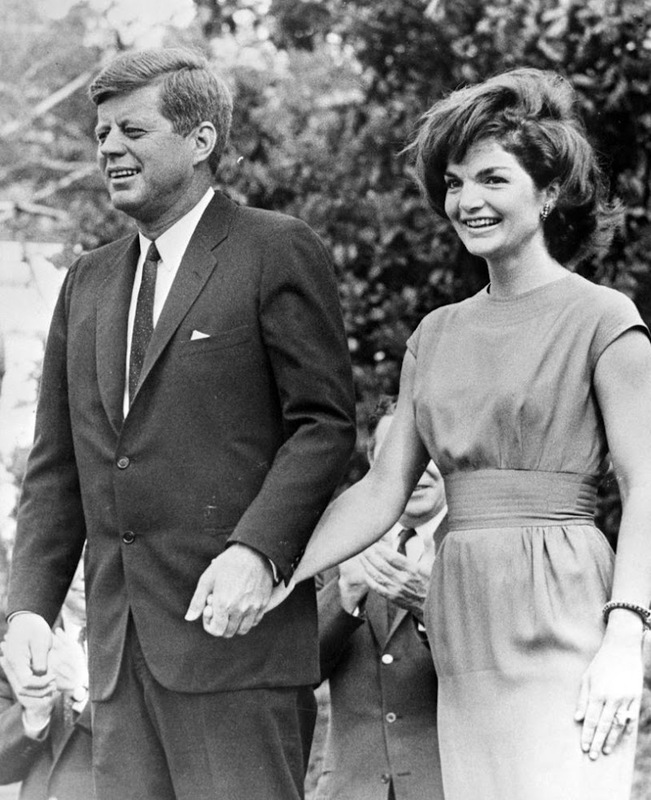 President and First Lady (September 1962). 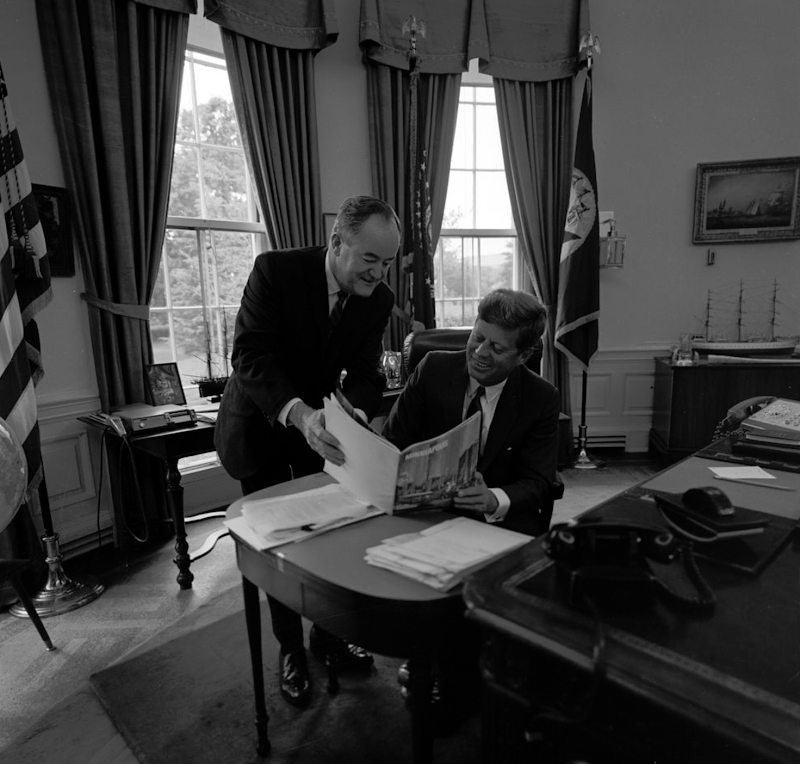 in the Oval Office (May 4, 1961). 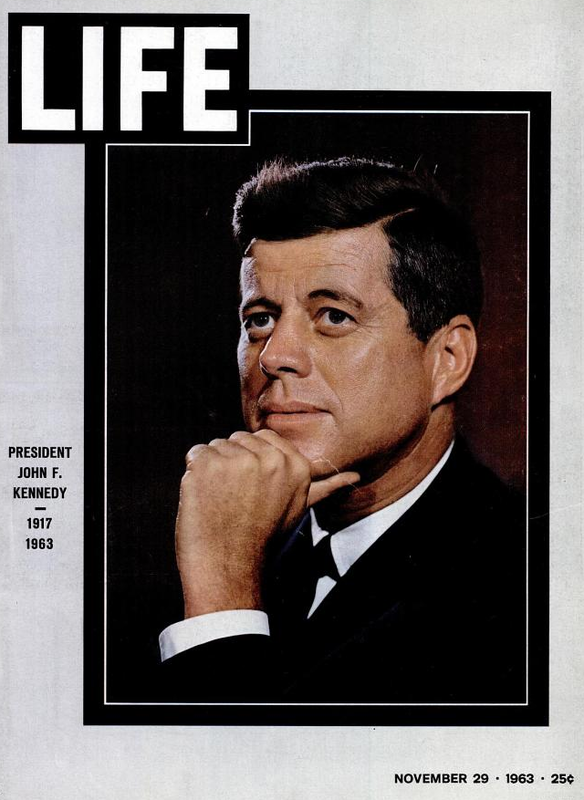 November 1963, just days before JFK's death. 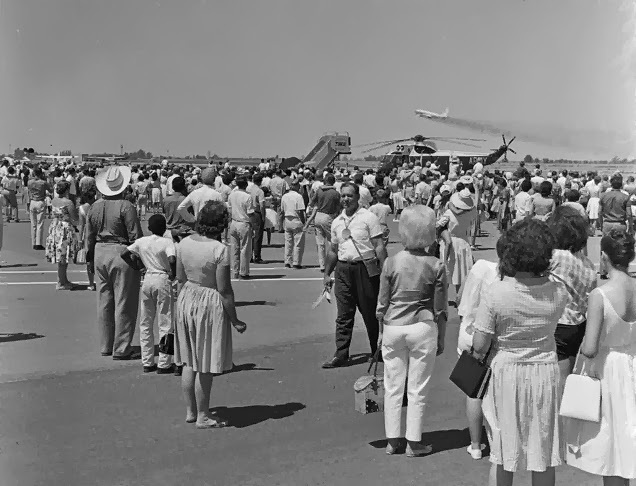 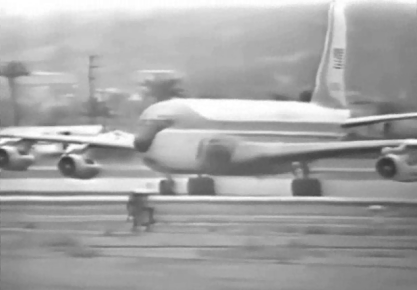 International Airport in Florida (April 17, 1963). 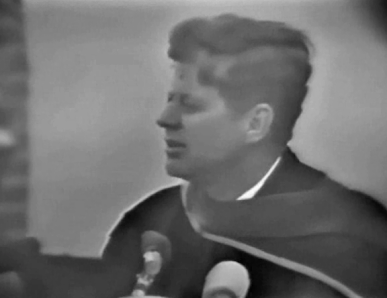 Madison Square Garden in New York City on May 20, 1962.
the whole speech by CLICKING HERE. 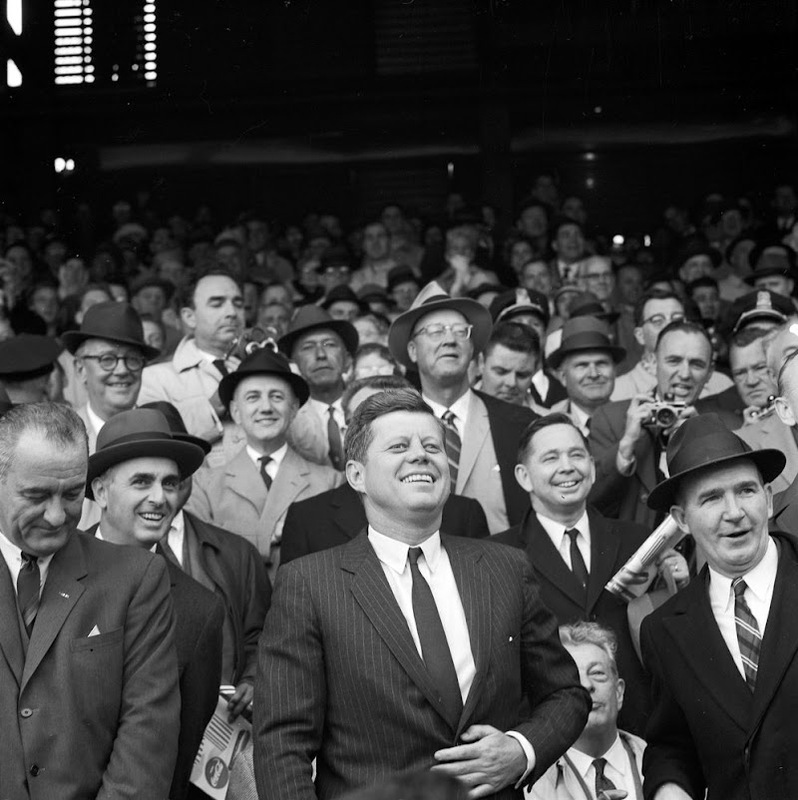 JFK, RFK, J. Edgar Hoover, and others (September 13, 1961). 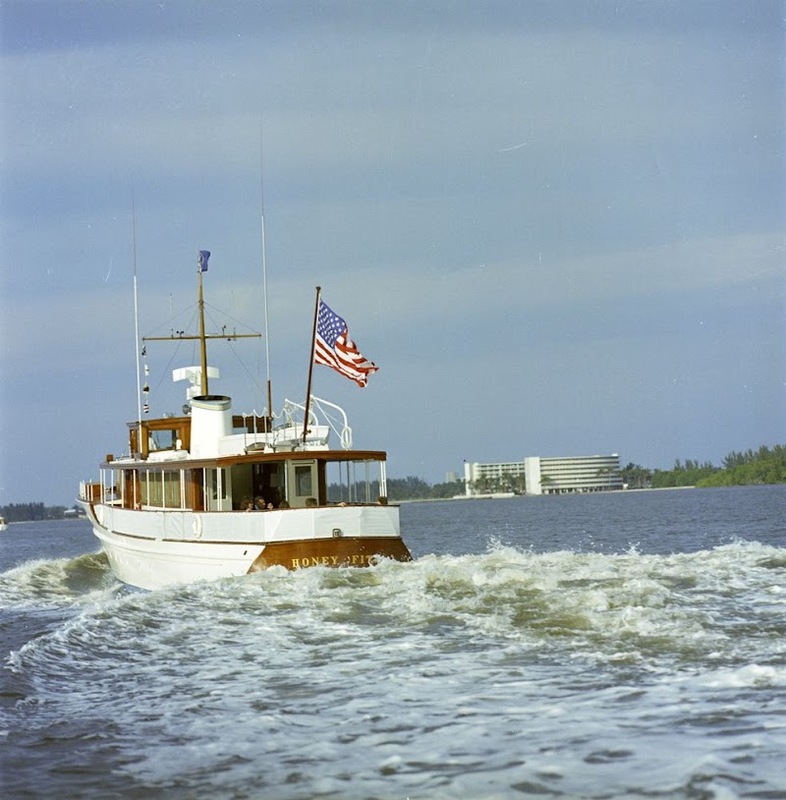 presidential yacht "Honey Fitz", off the coast of Palm Beach, Florida. 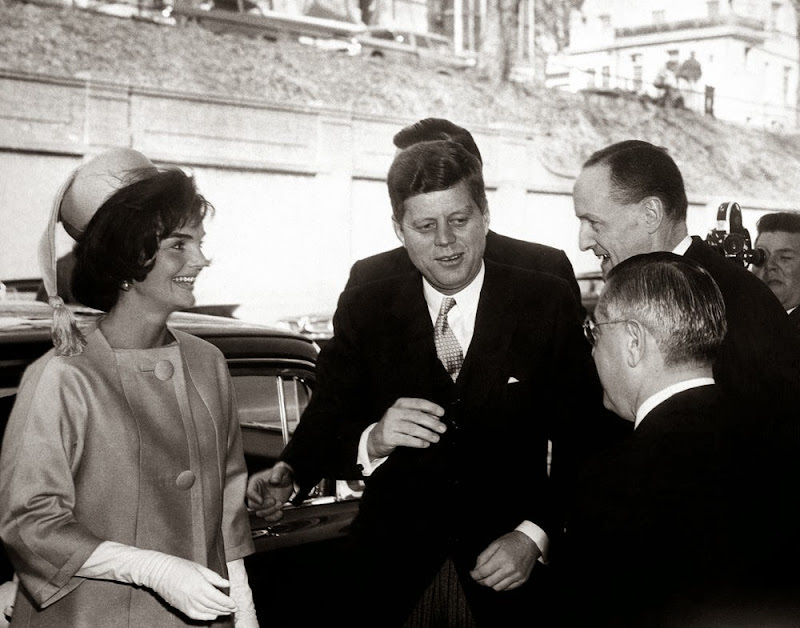 heir of Fiat car company; Marella Agnelli, Italian socialite (January 2, 1963). 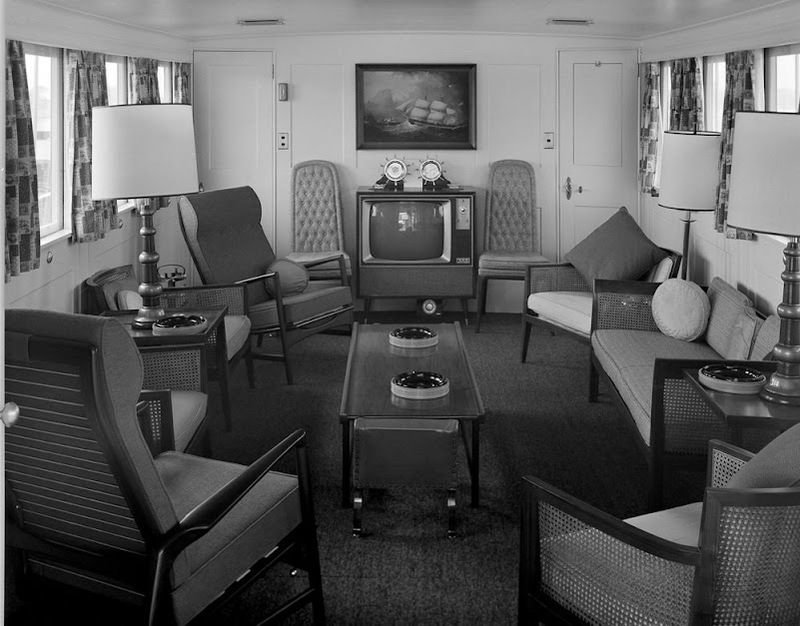 The interior of the Kennedy yacht "Honey Fitz", as seen on September 7, 1961. 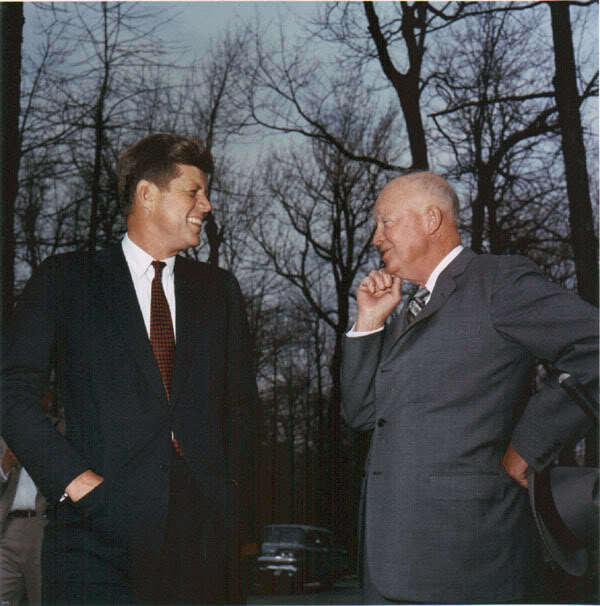 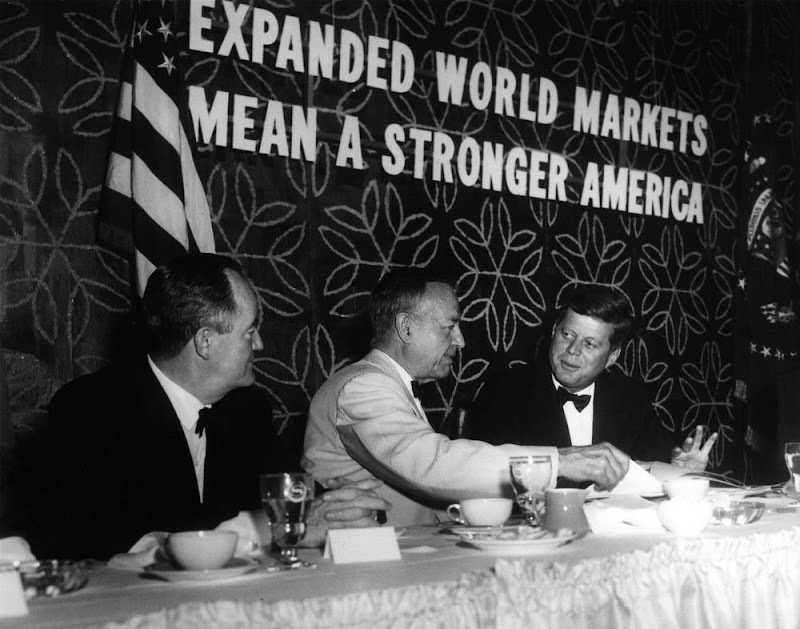 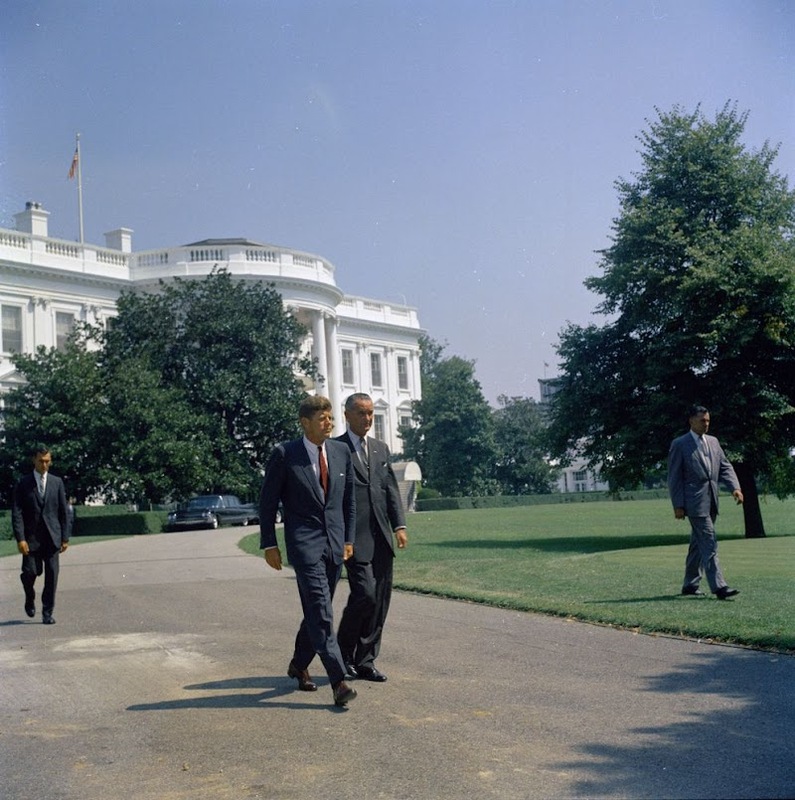 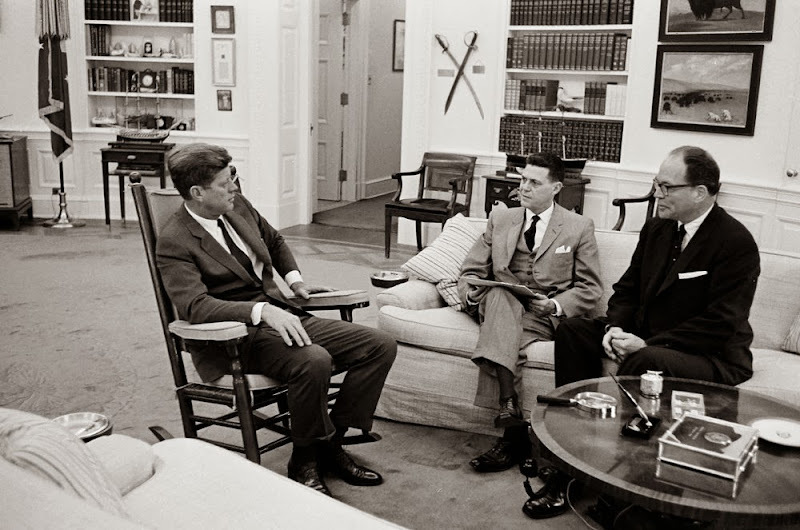 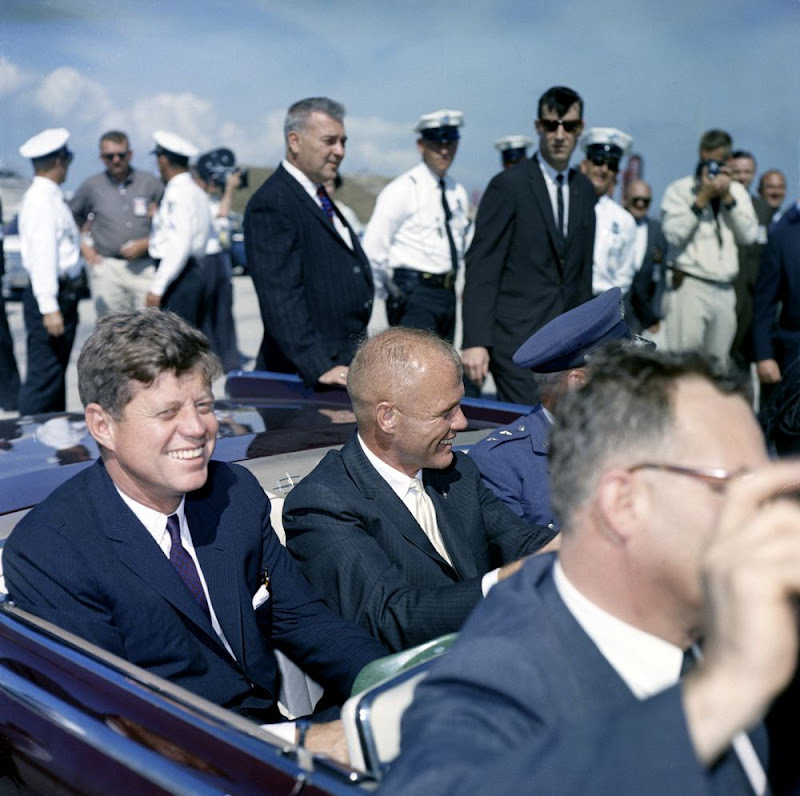 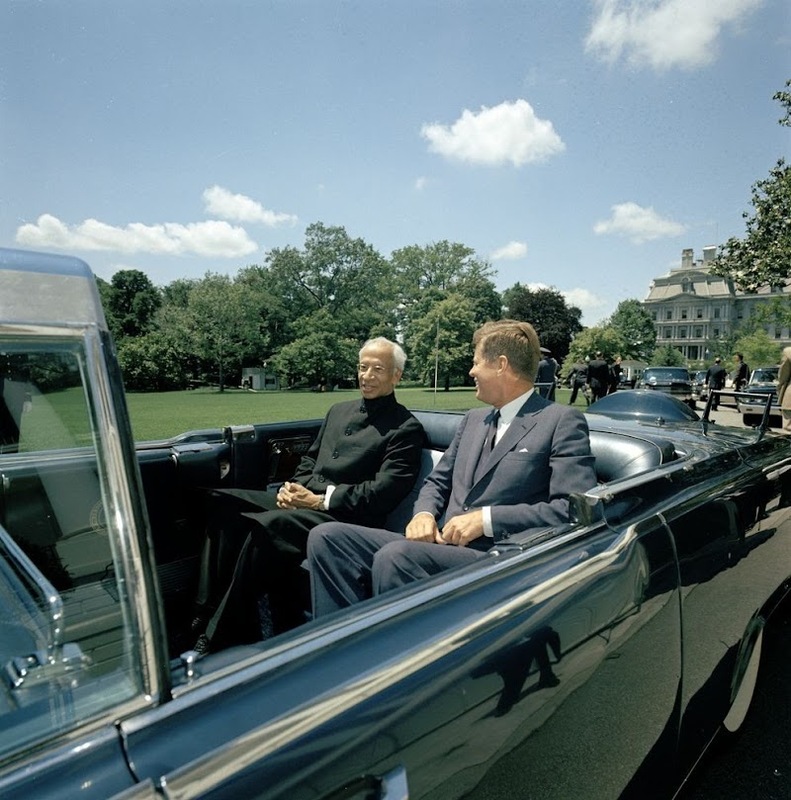 JFK with former President Dwight Eisenhower. 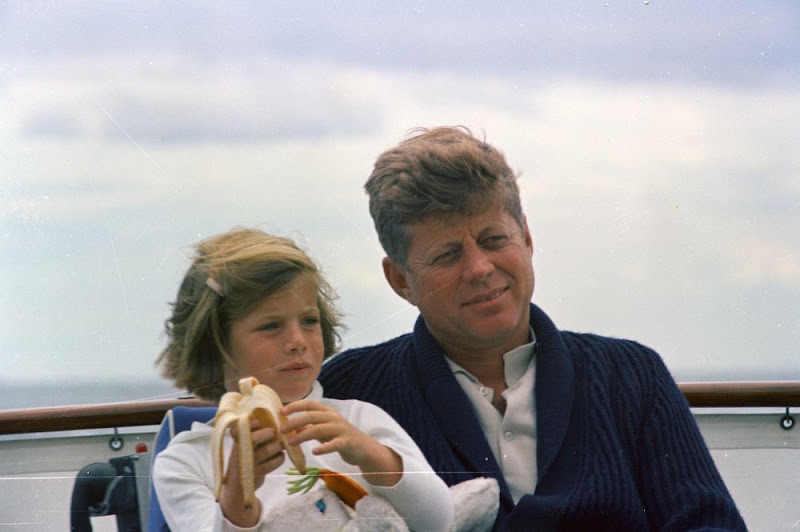 of Newport, Rhode Island (September 22, 1962). 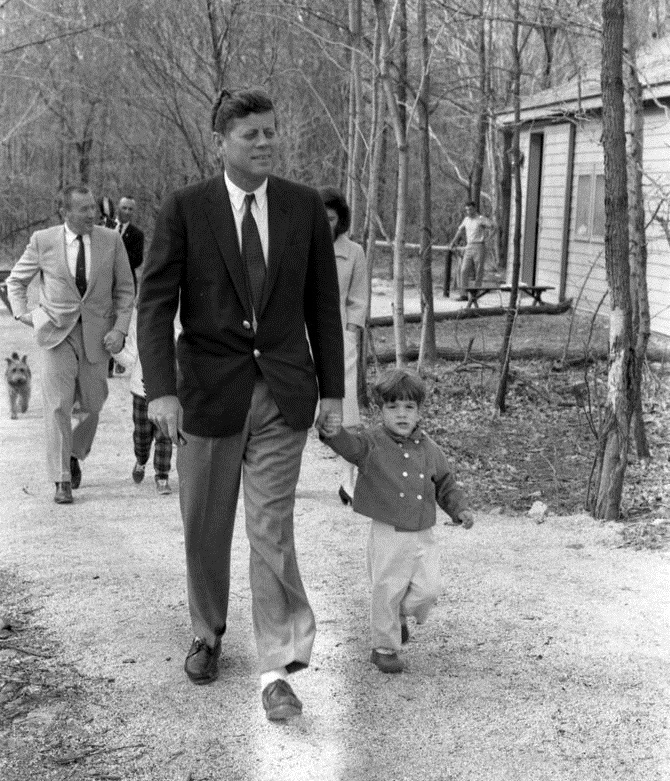 JFK and JFK Jr. at Camp David in Maryland. 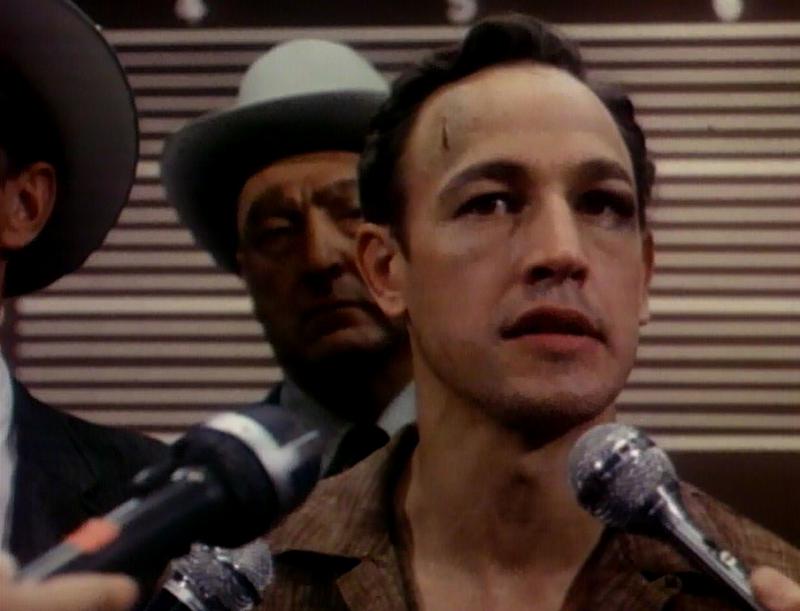 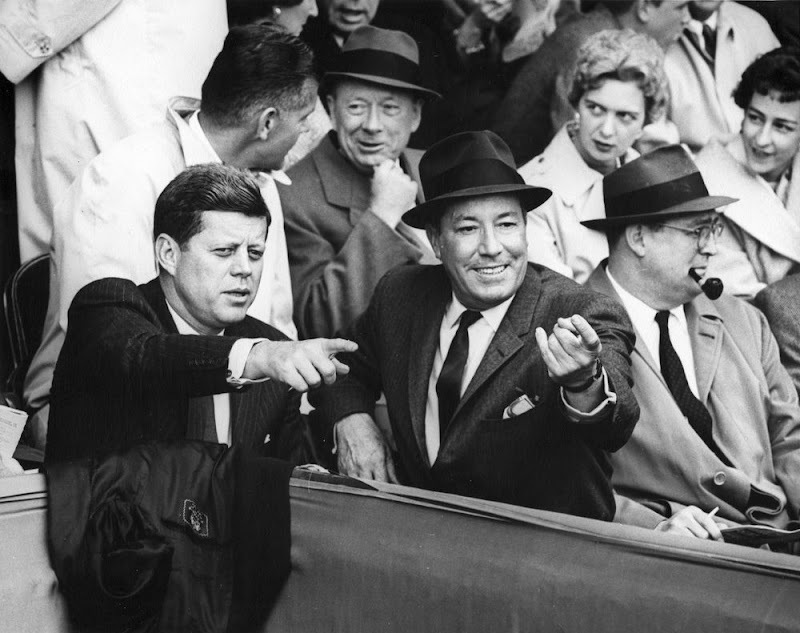 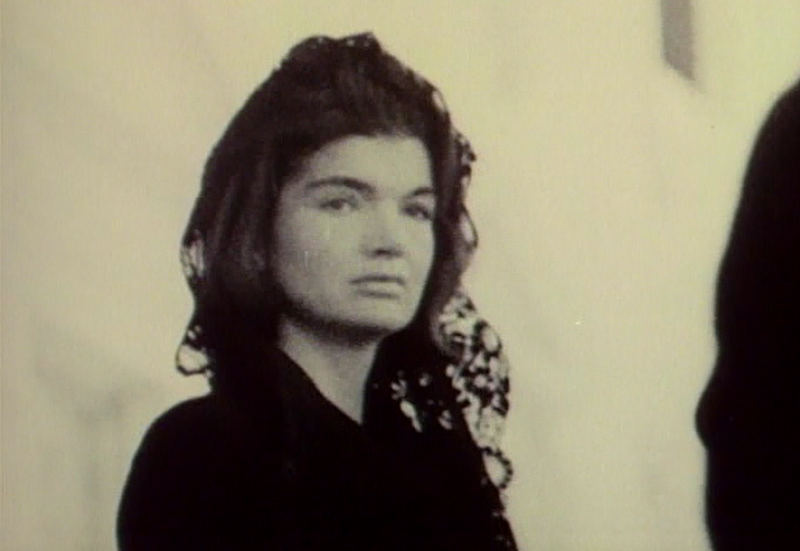 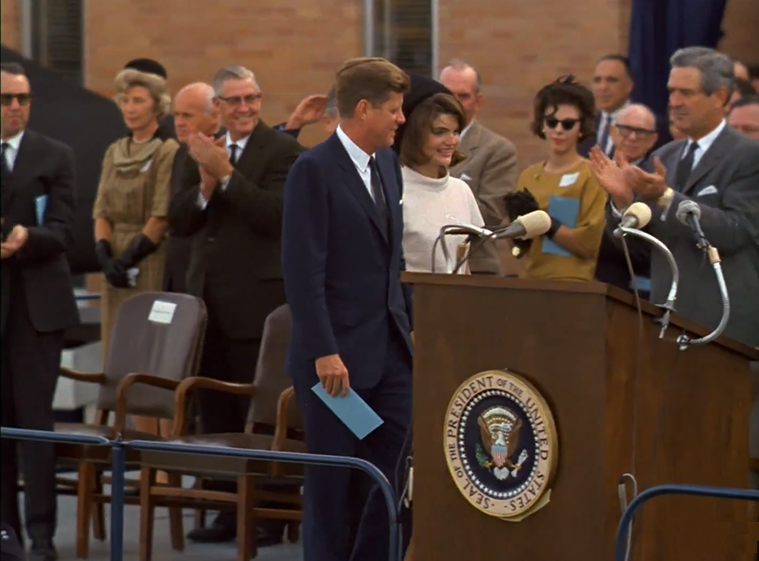 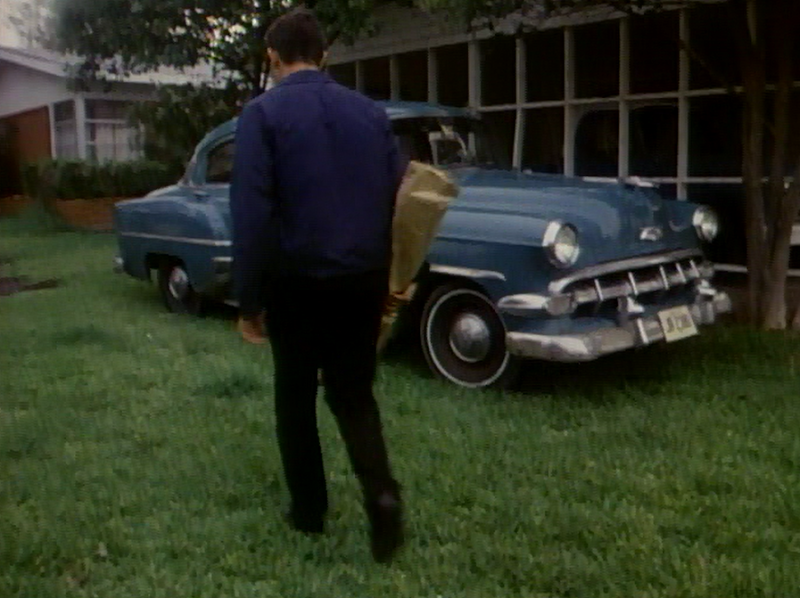 Jackie is in the background (March 31, 1963). 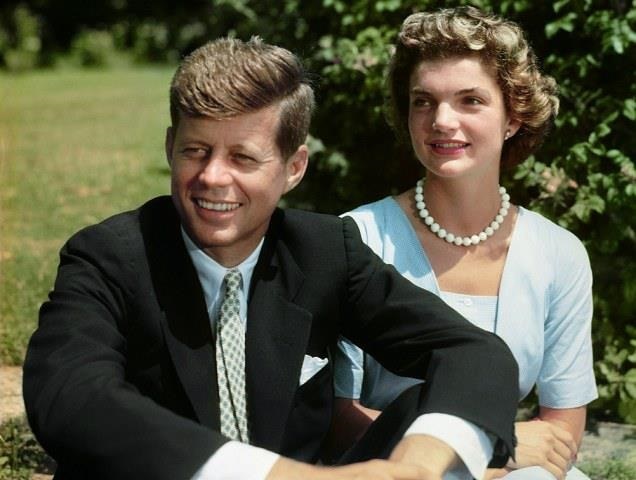 Grace Kelly and President Kennedy (May 24, 1961). 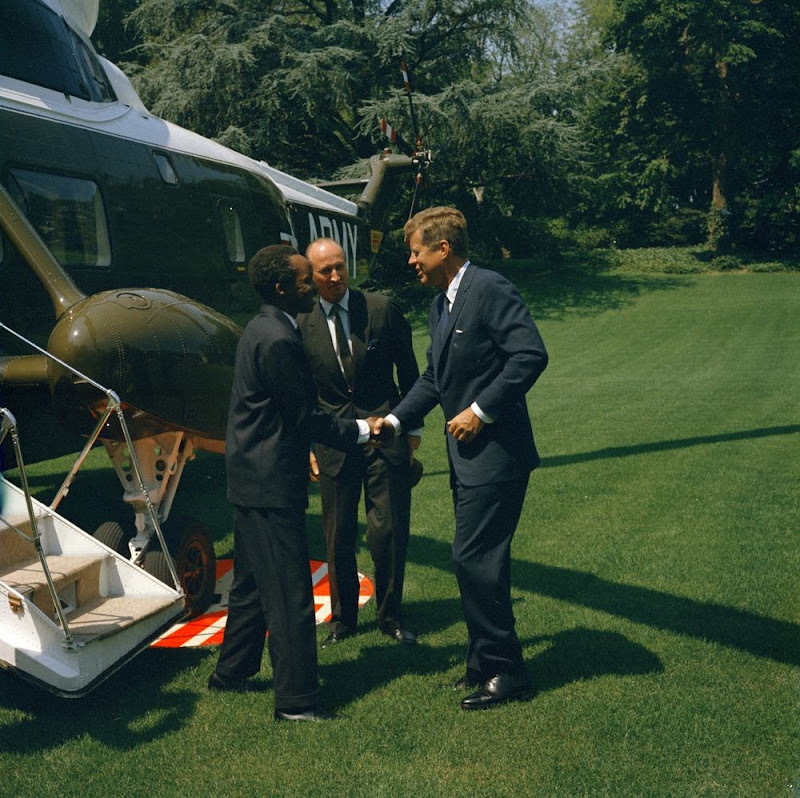 upon Nyerere's arrival at the White House (July 15, 1963). 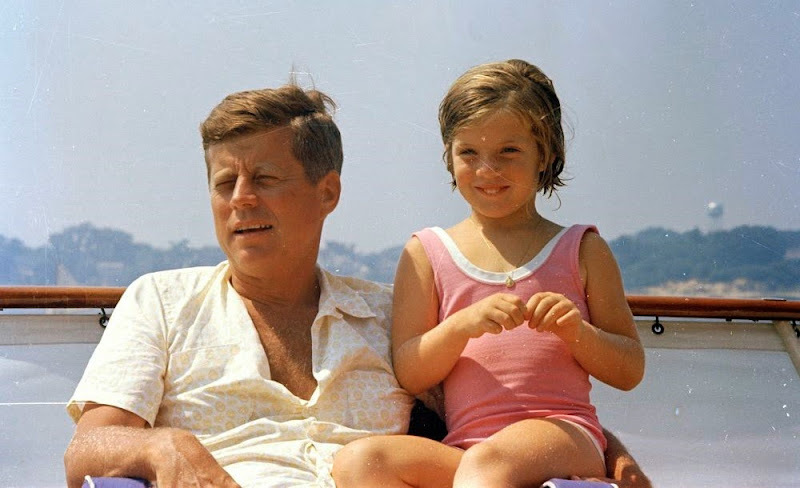 on Squaw Island, Hyannis Port, Massachusetts (August 14, 1963). 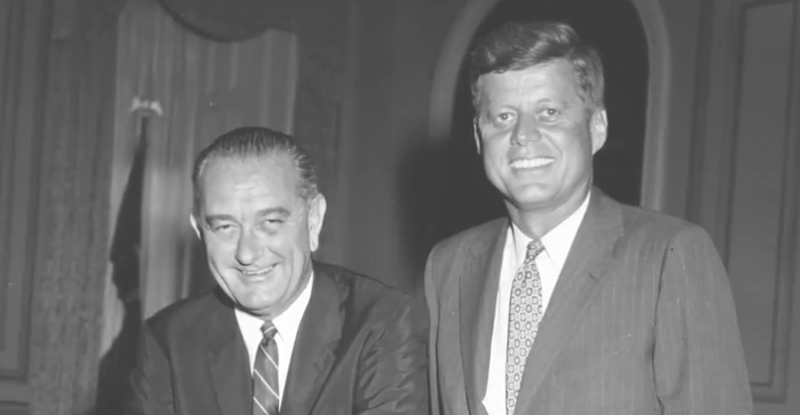 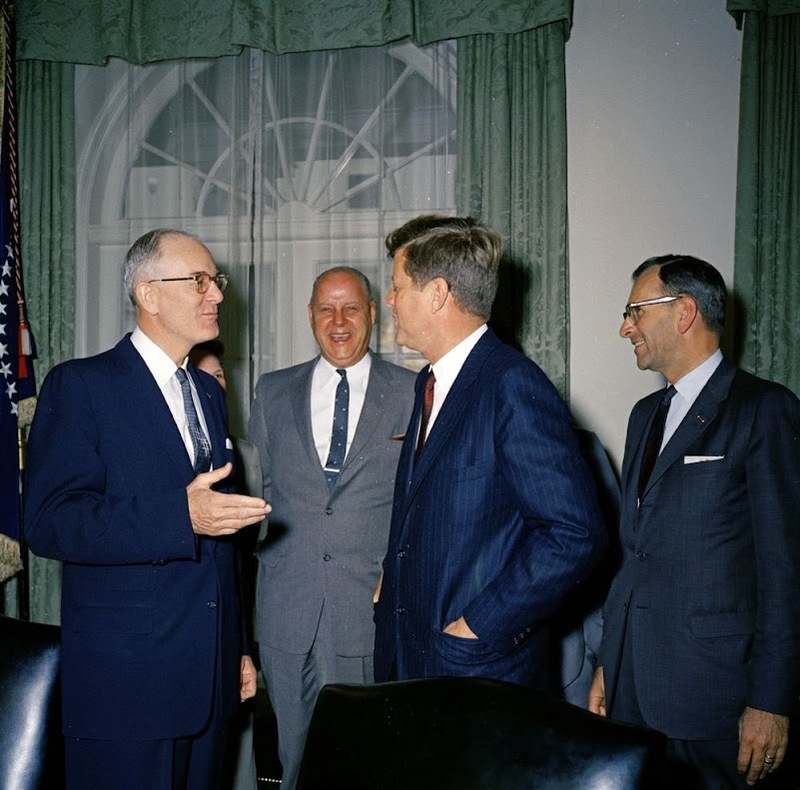 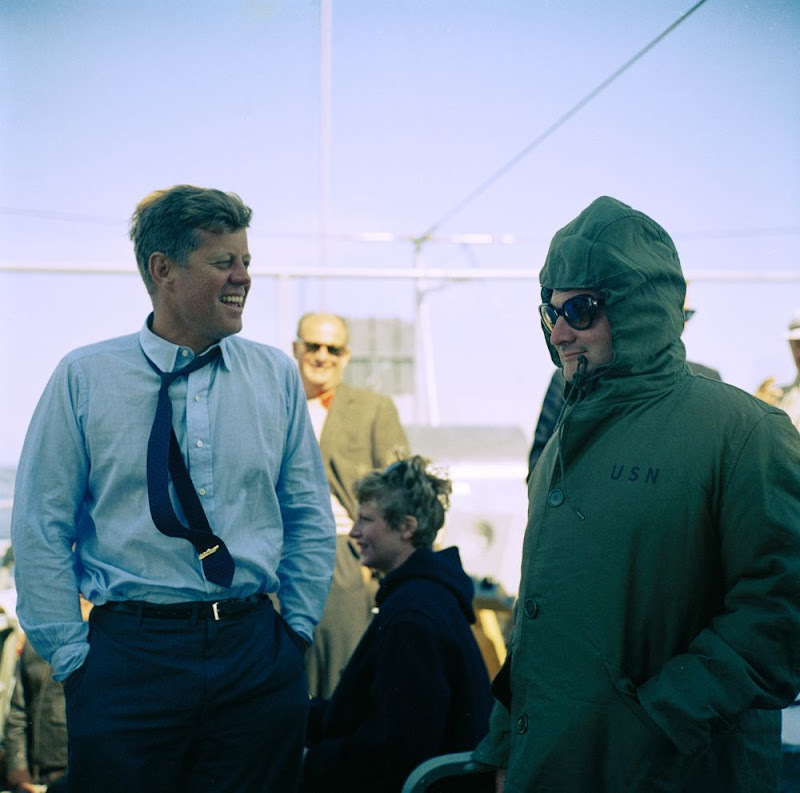 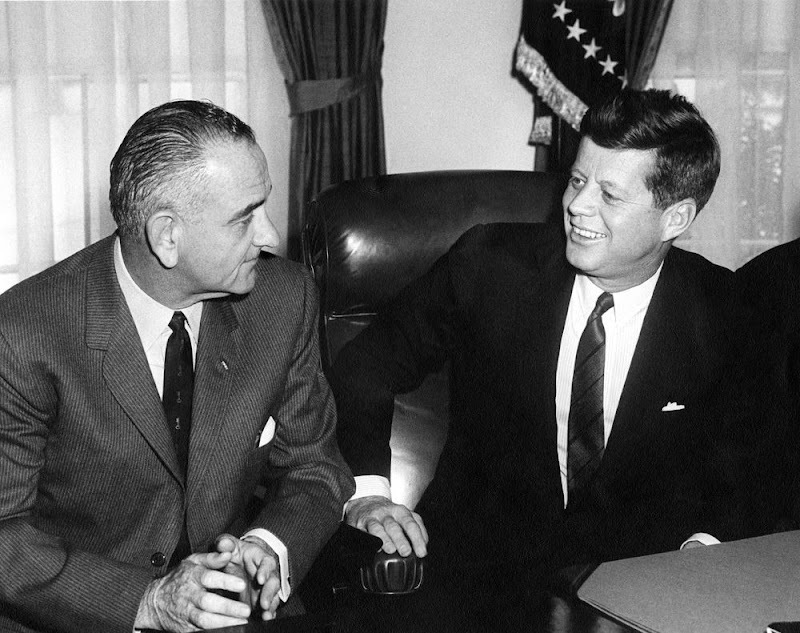 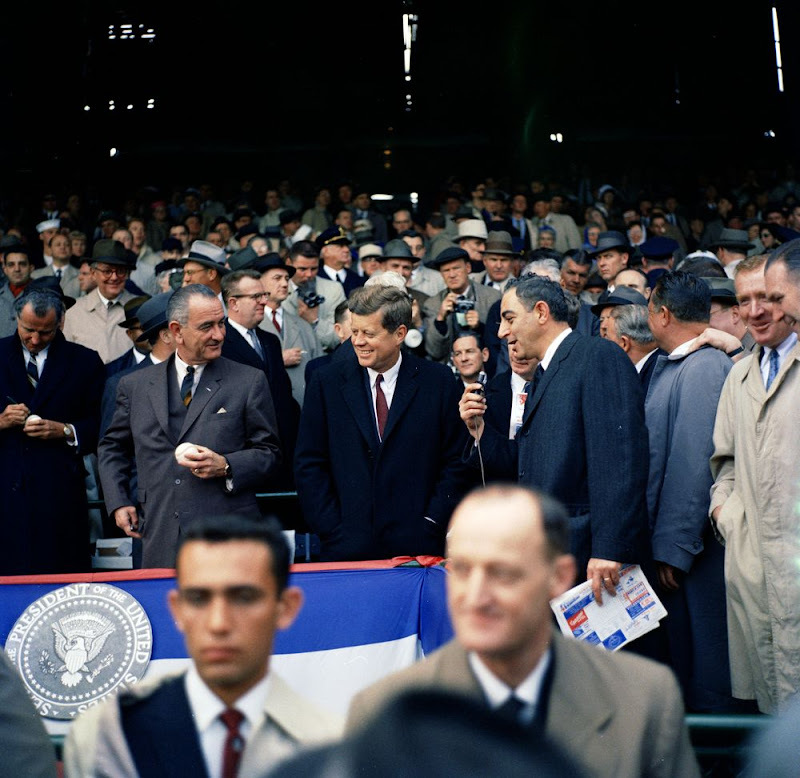 Vice President Lyndon Johnson with President Kennedy (February 7, 1961). 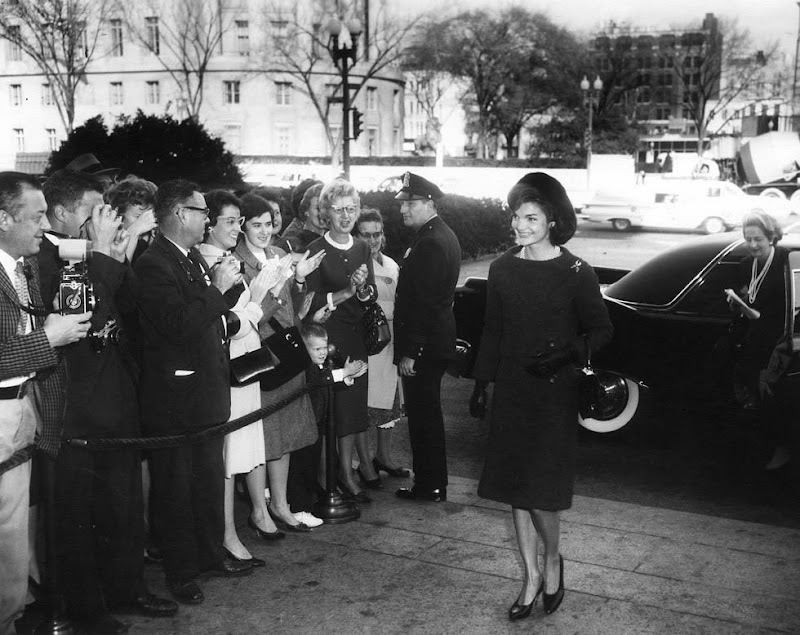 in Washington, D.C. (November 1961). 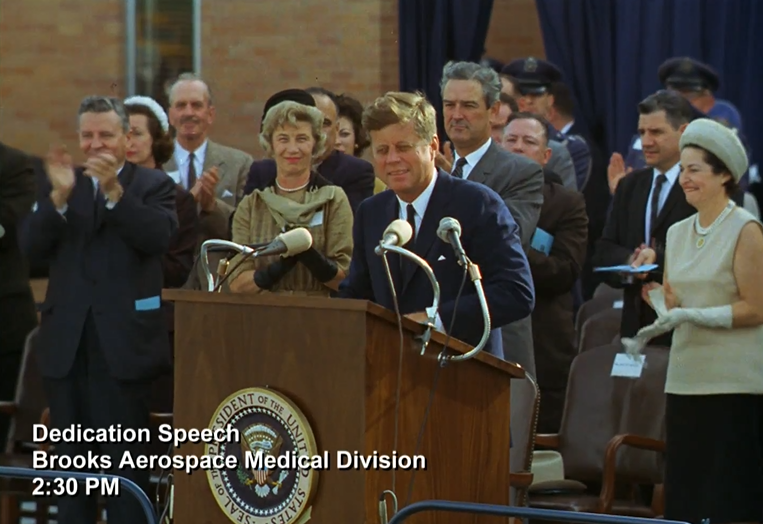 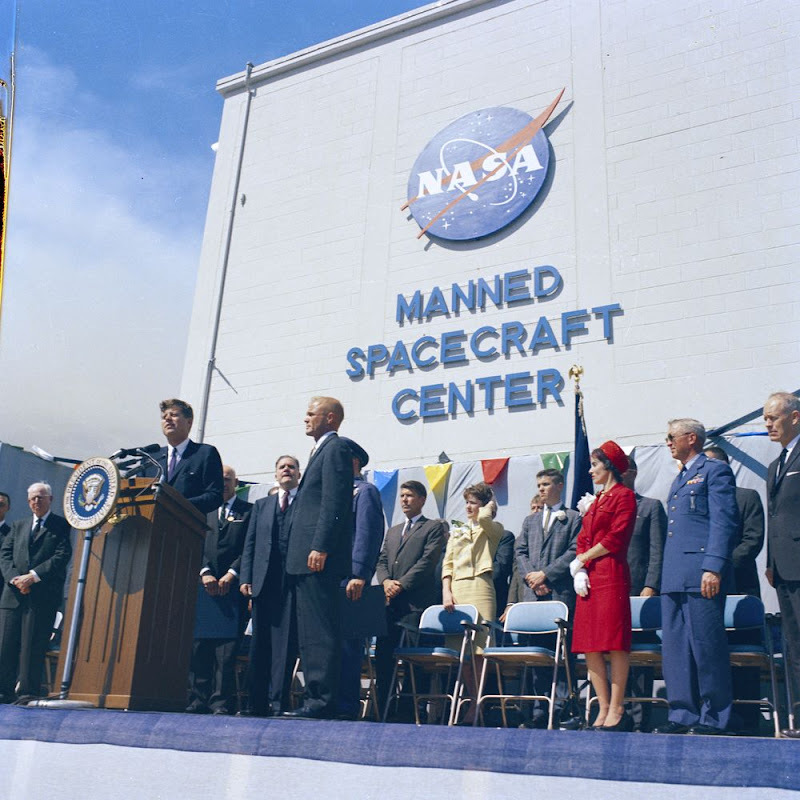 his famous "Space Exploration" speech. 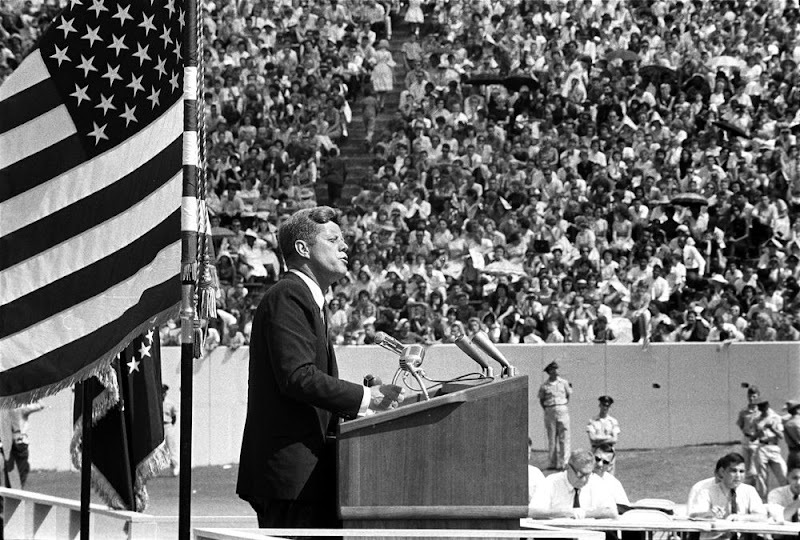 Listen to the entire 18-minute speech HERE. 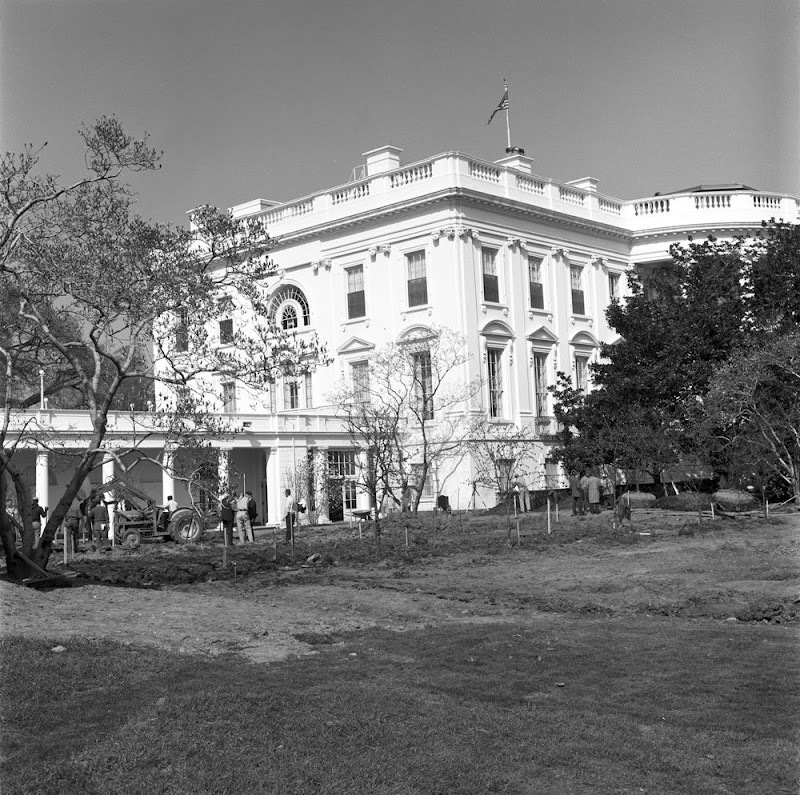 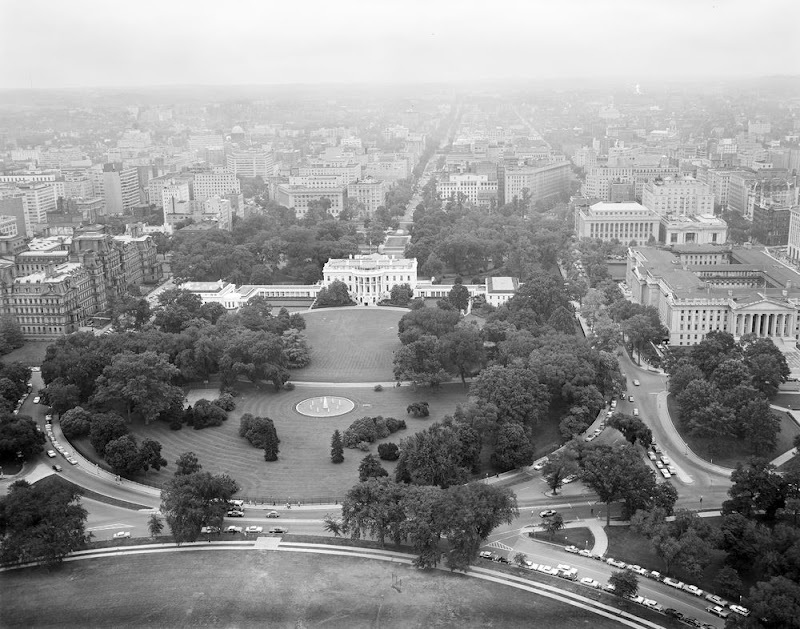 White House (September 11, 1963). 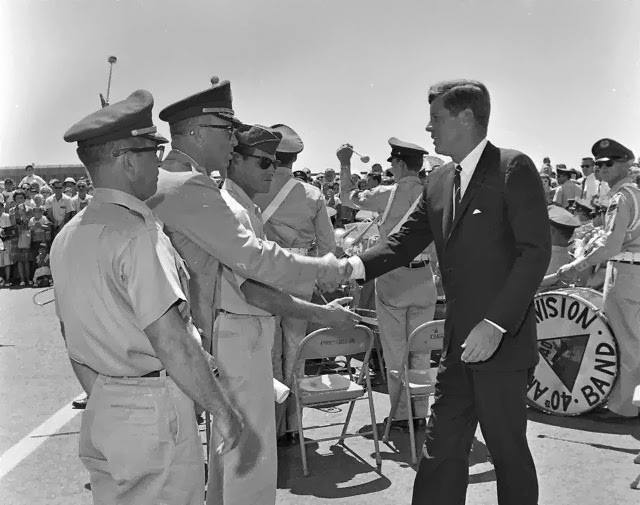 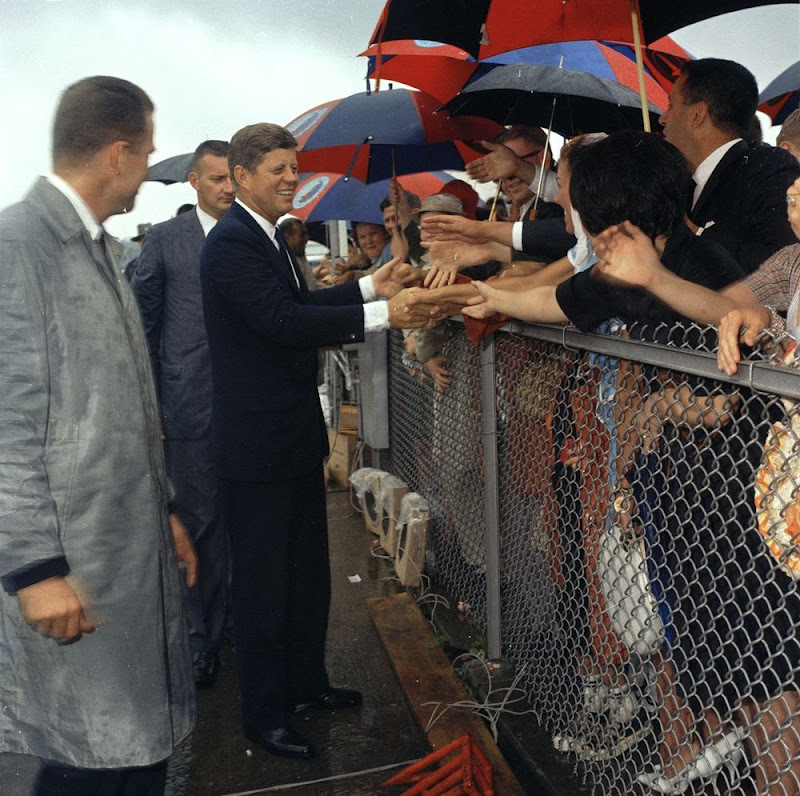 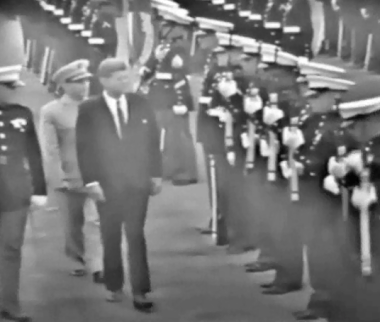 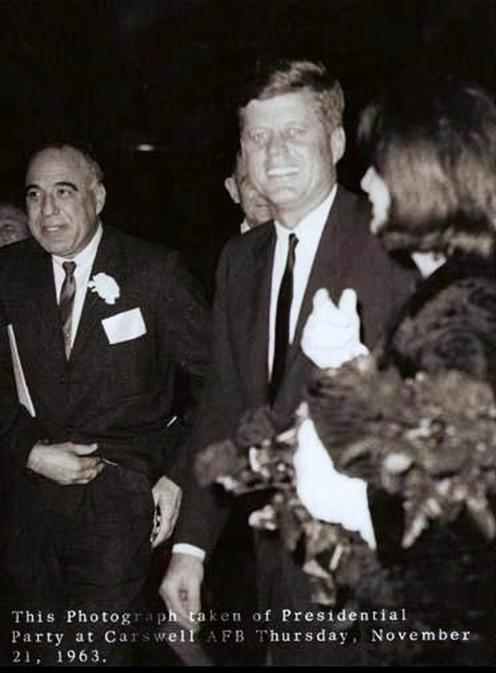 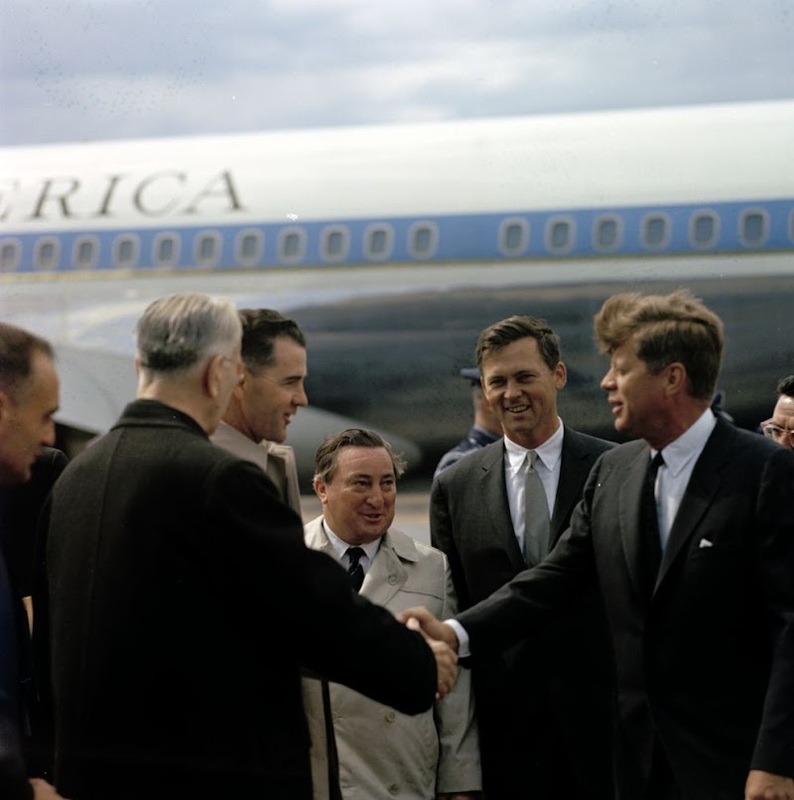 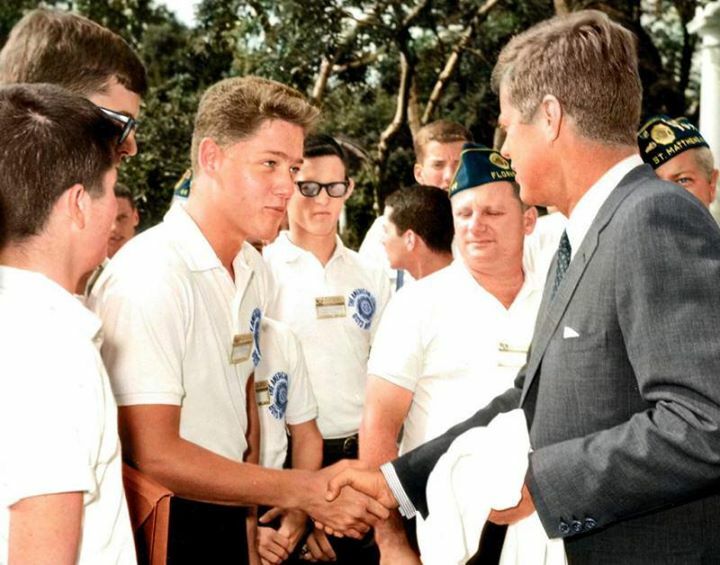 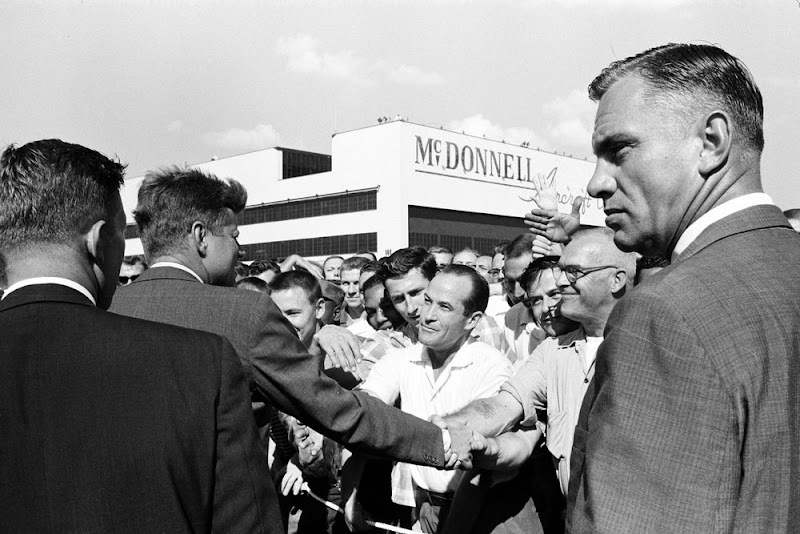 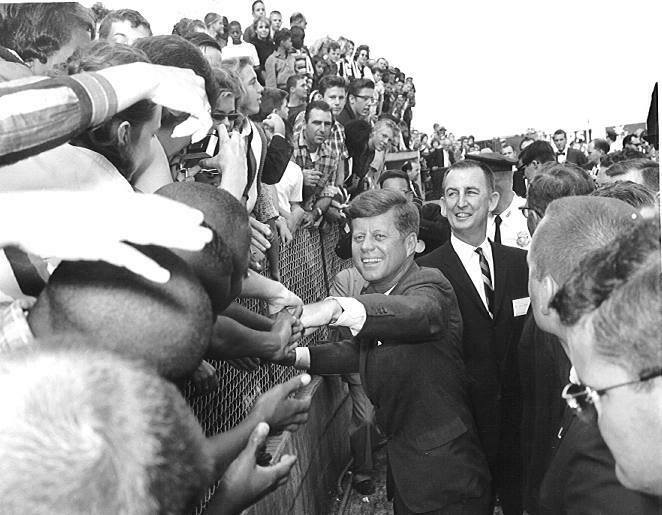 Shaking hands with JFK (October 5, 1960). 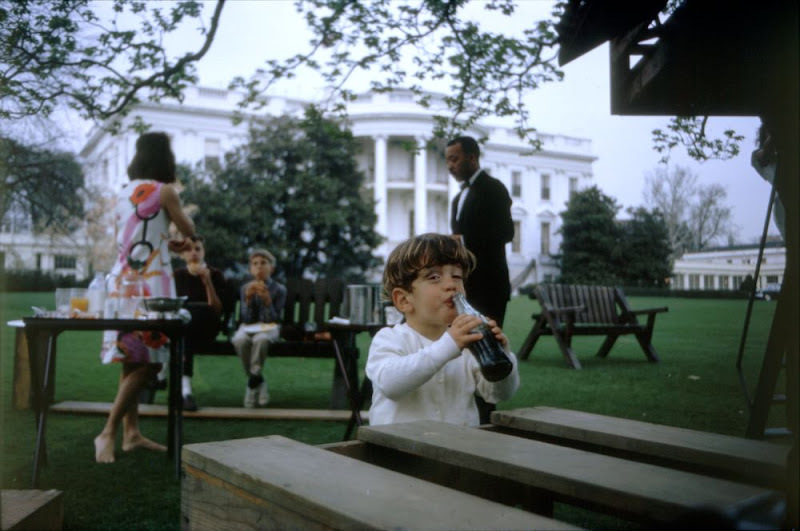 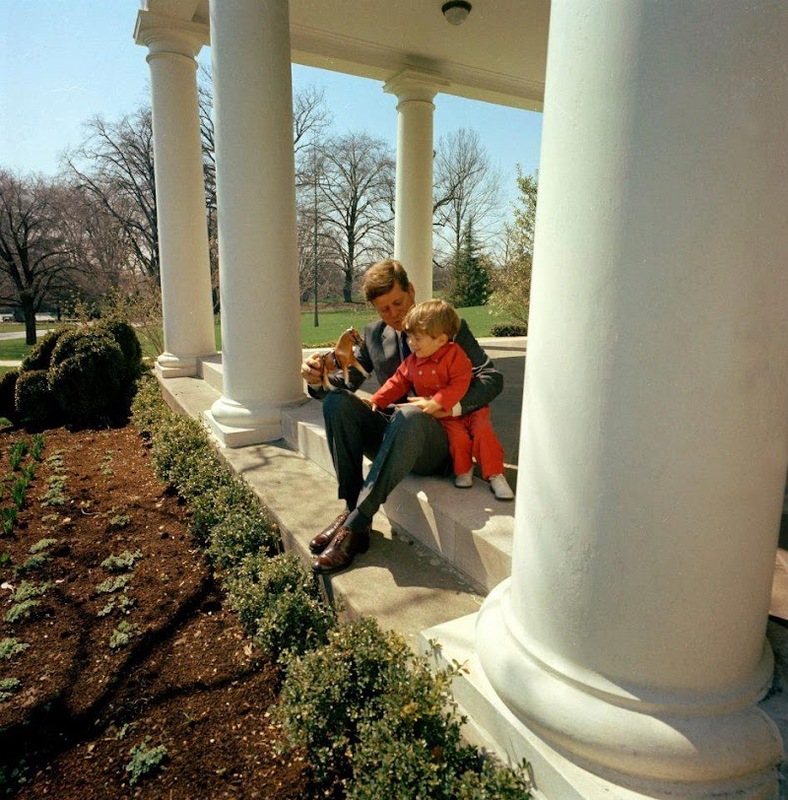 JFK Jr. drinks a Coke on the South Lawn of the White House on April 4, 1963. 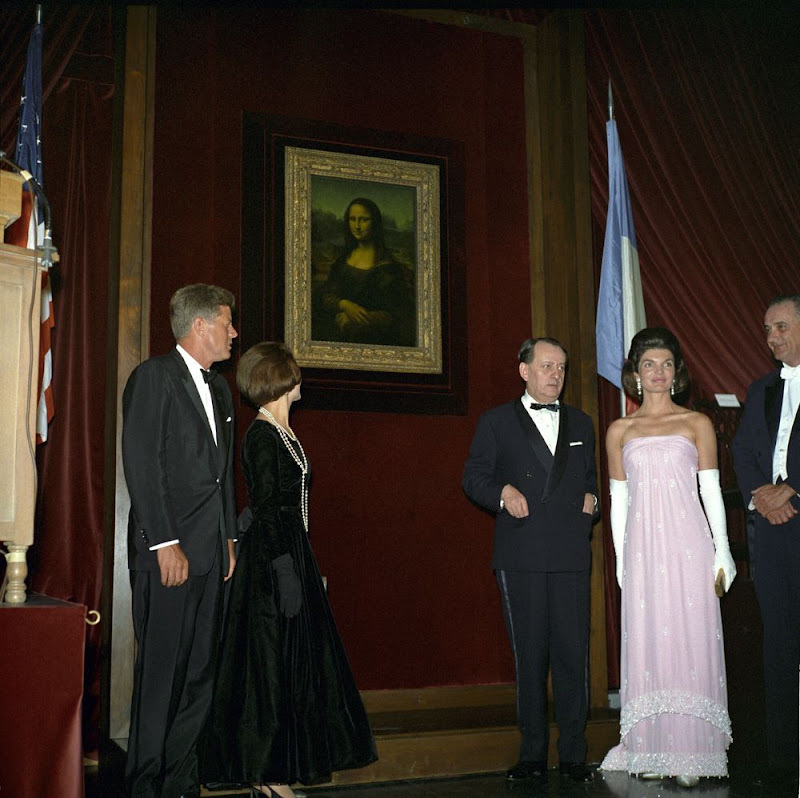 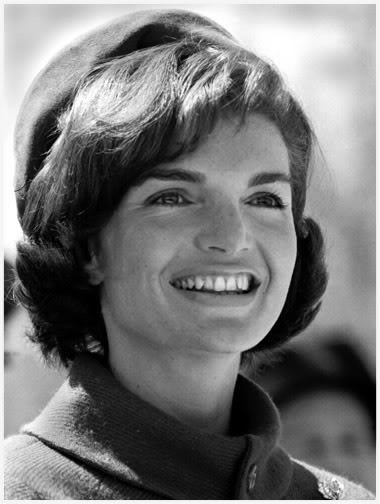 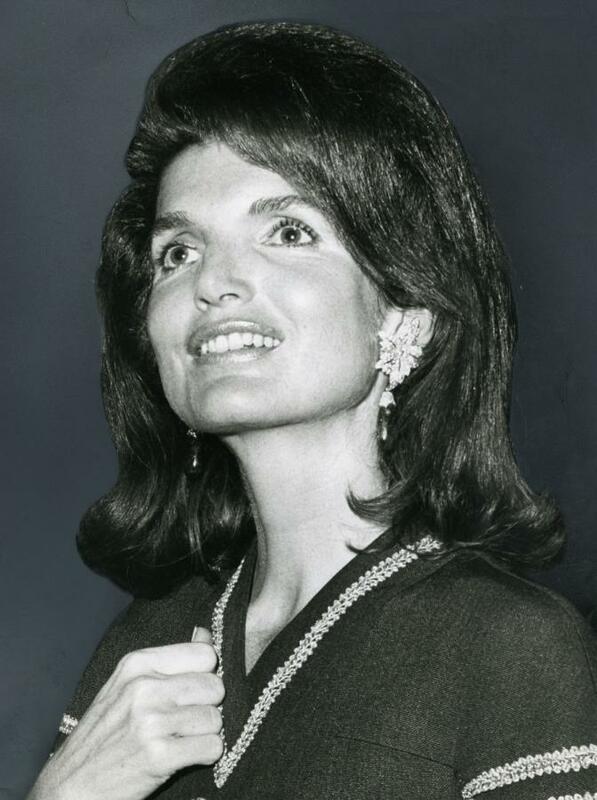 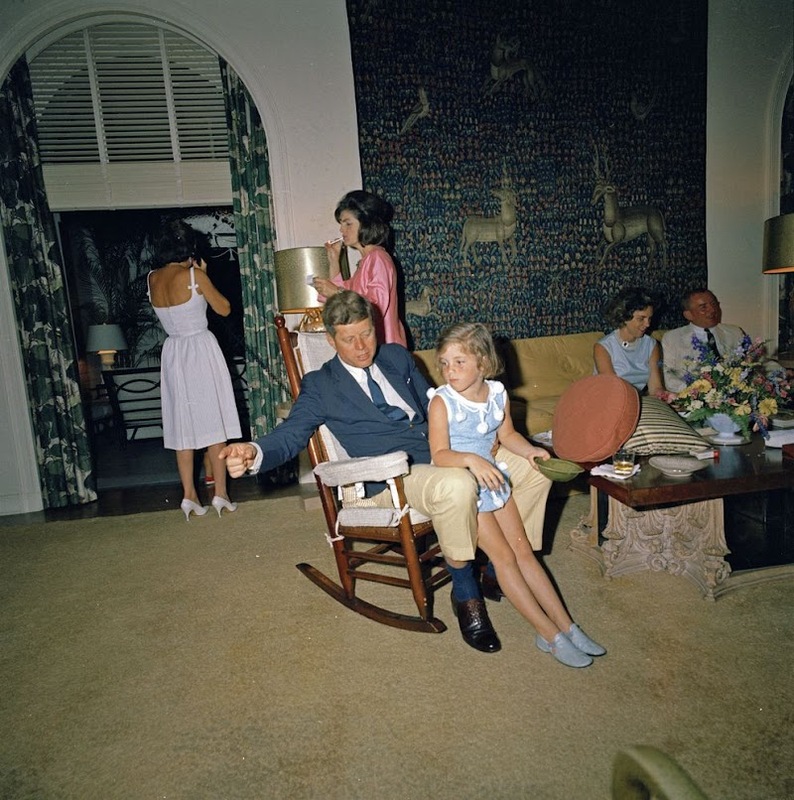 Jackie Kennedy, in her bare feet, is in the background. 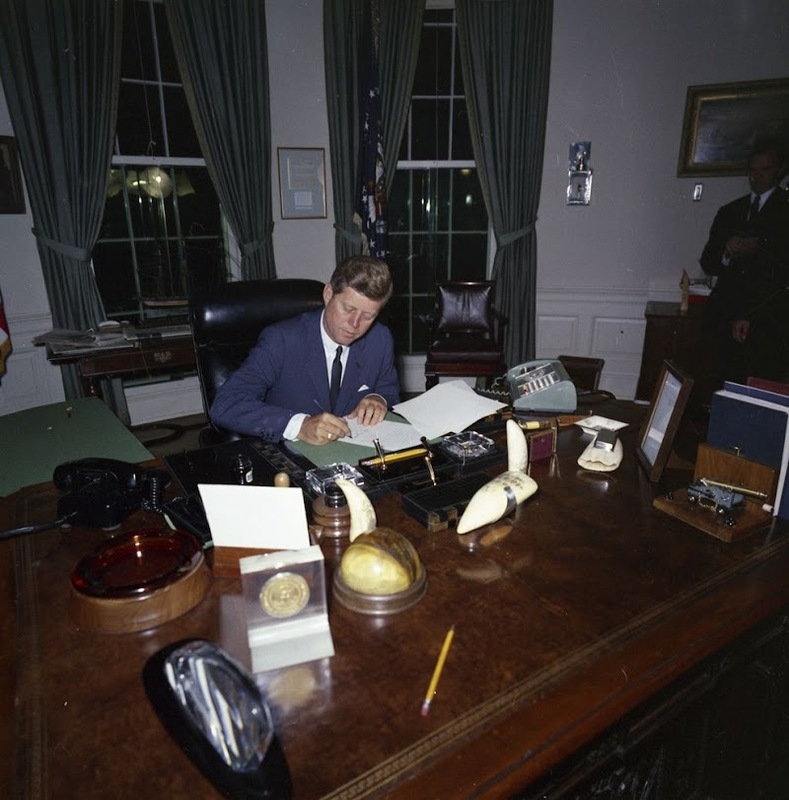 in the Oval Office (October 24, 1963). 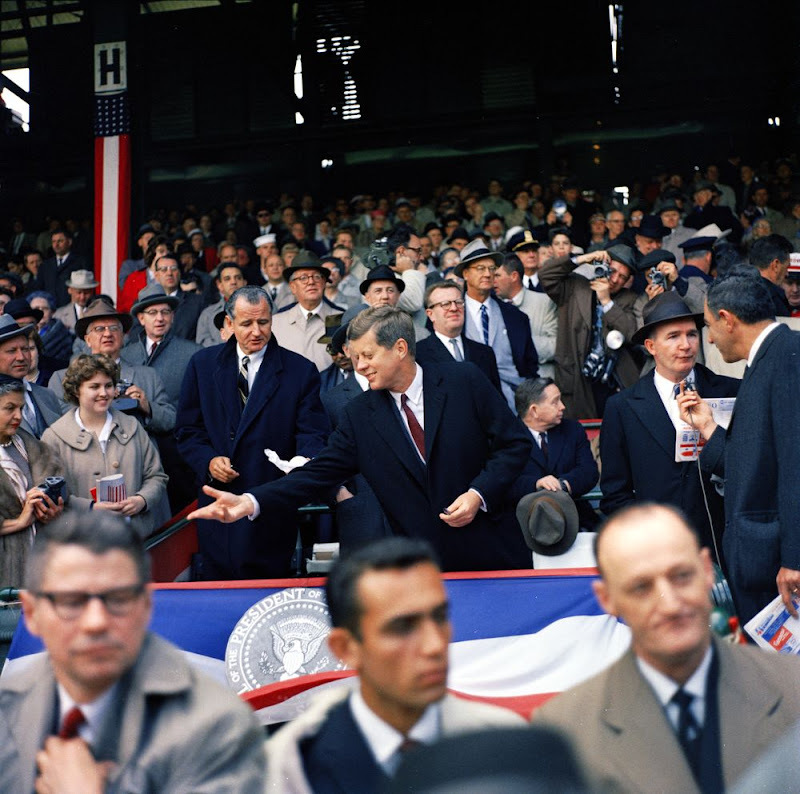 inauguration, at the National Guard Armory in Washington, D.C. (January 18, 1963). 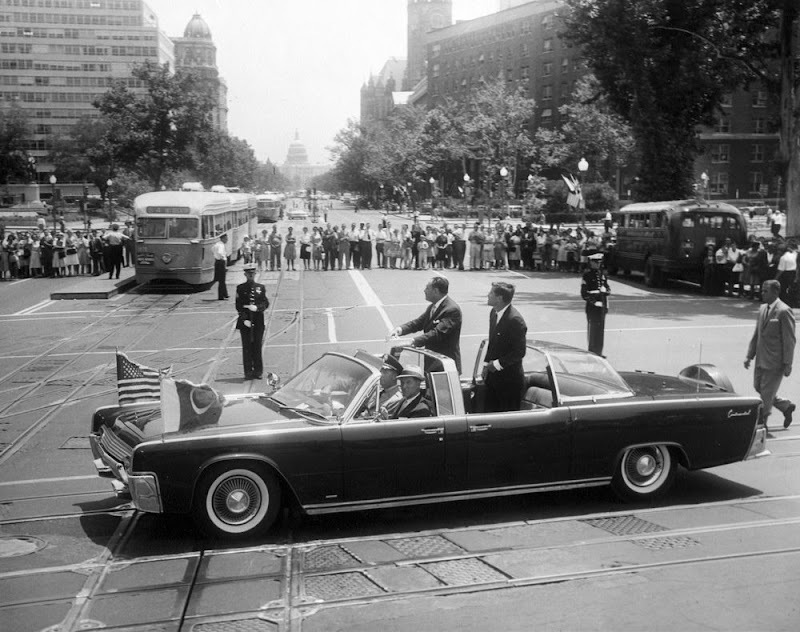 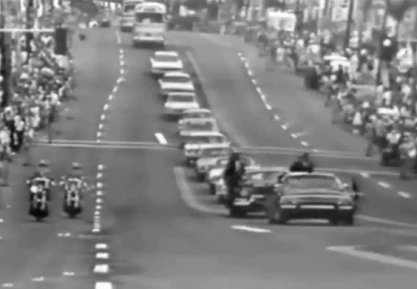 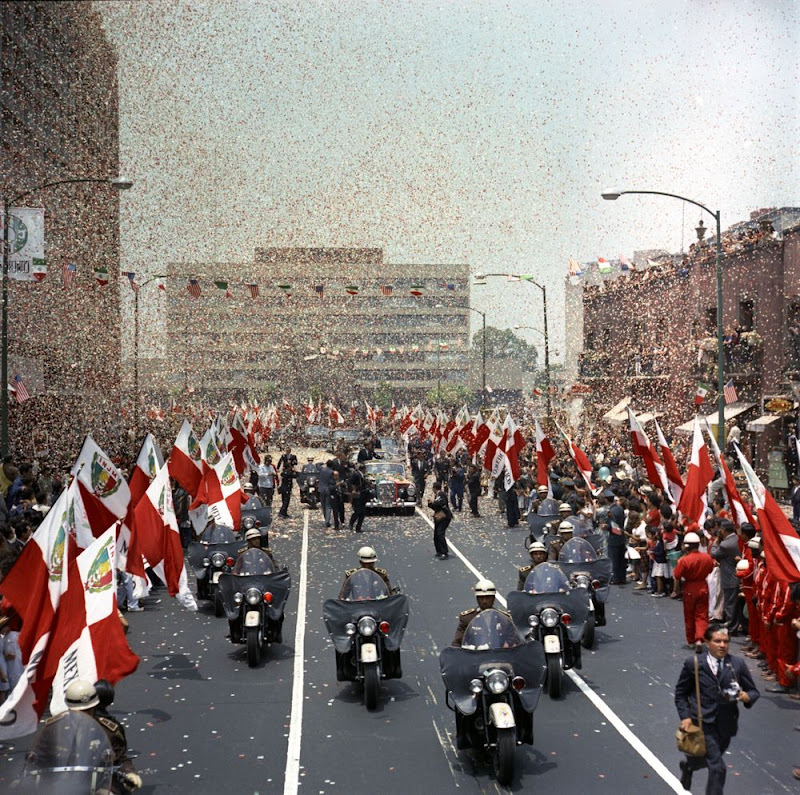 Motorcade through Washington, D.C. (July 11, 1961). 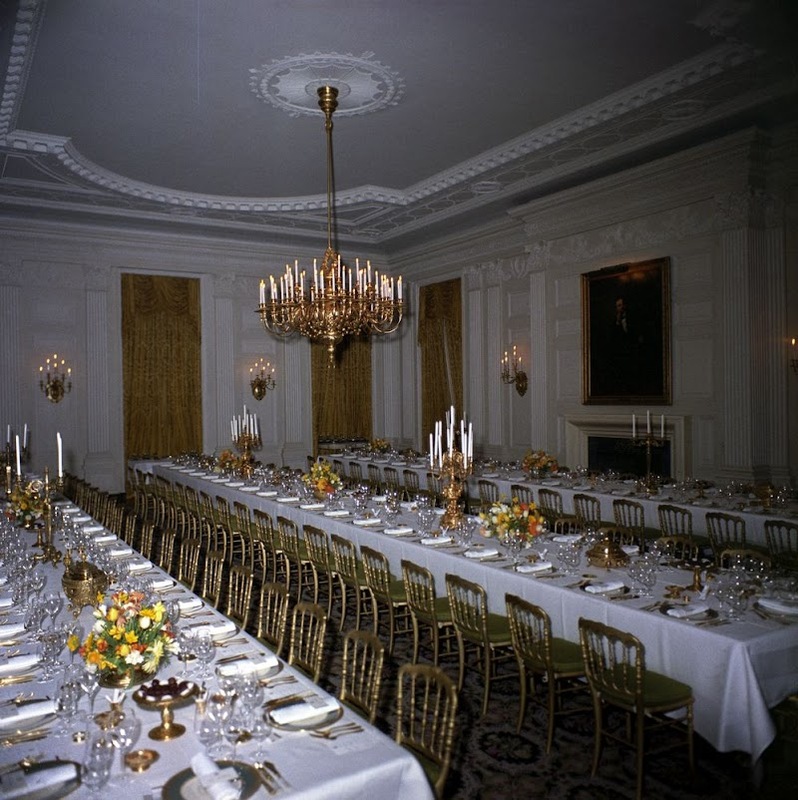 the White House (August 28, 1962). 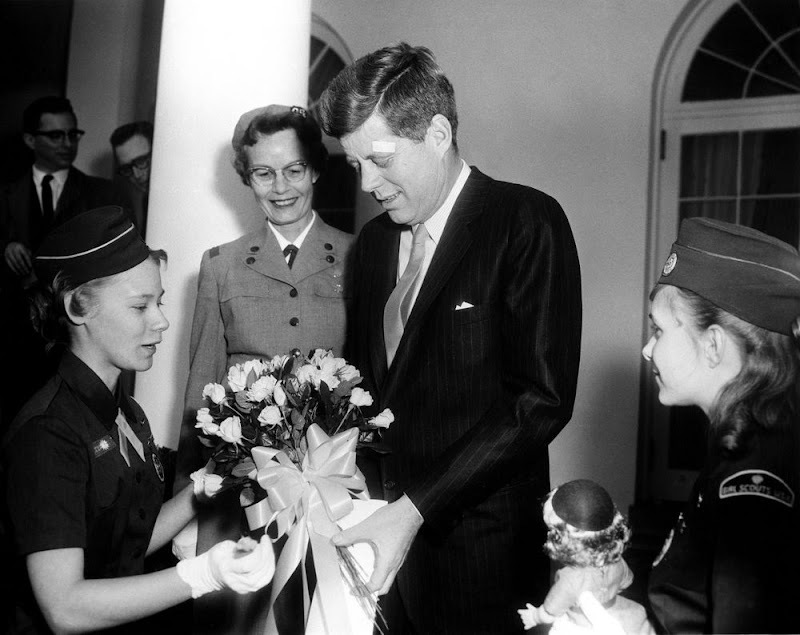 greets members of the Girl Scouts of America (March 16, 1961). 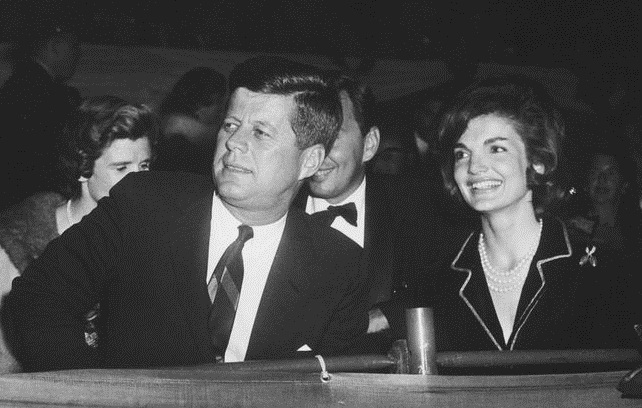 Jackie and Jack on May 24, 1961. 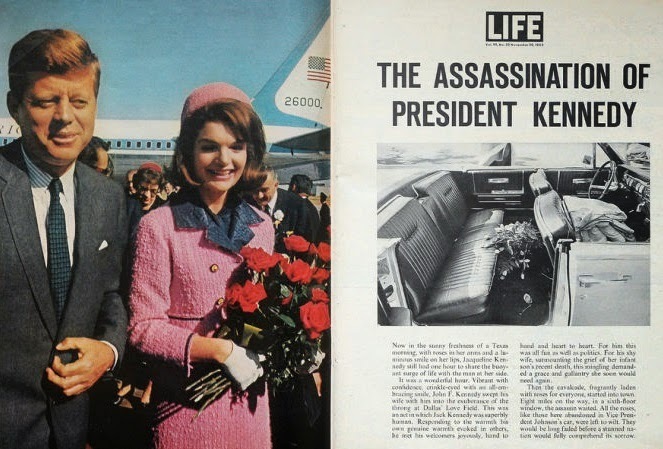 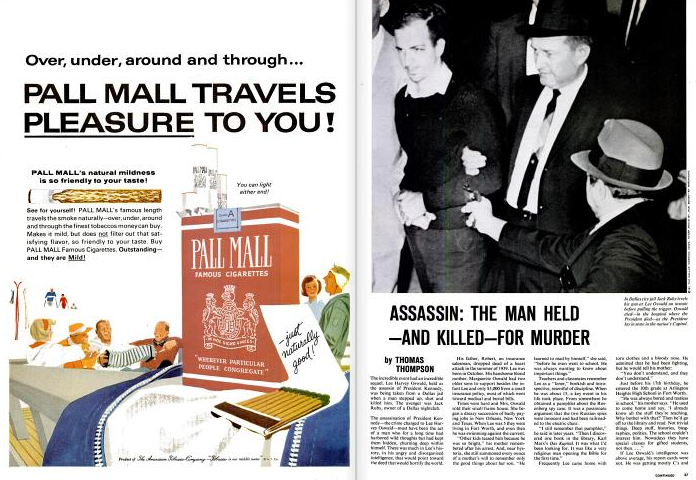 27 hours before JFK was killed. 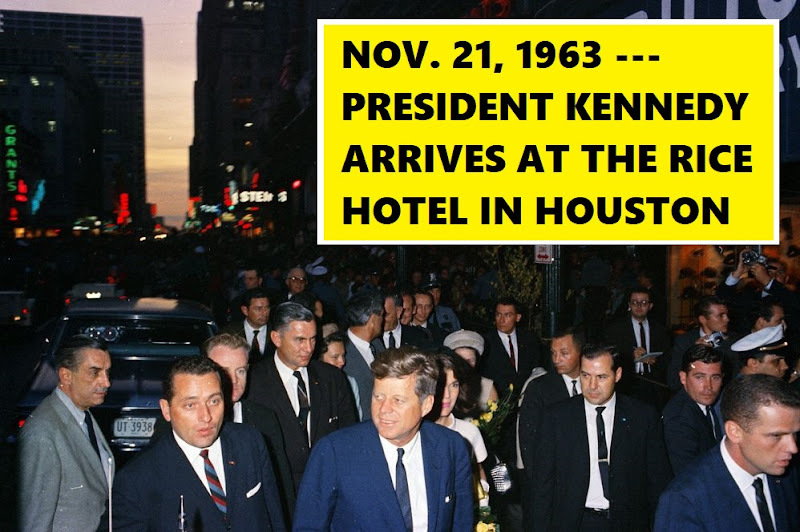 in Houston, Texas (November 21, 1963). 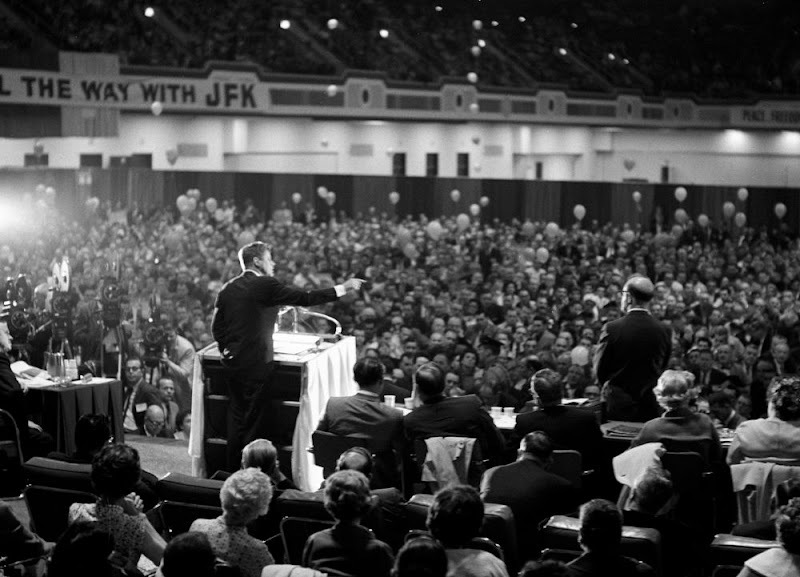 convention in Atlantic City, New Jersey, on May 8, 1962. 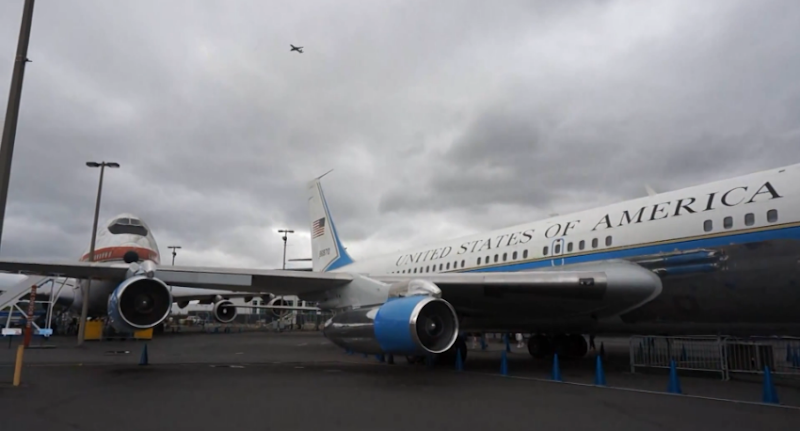 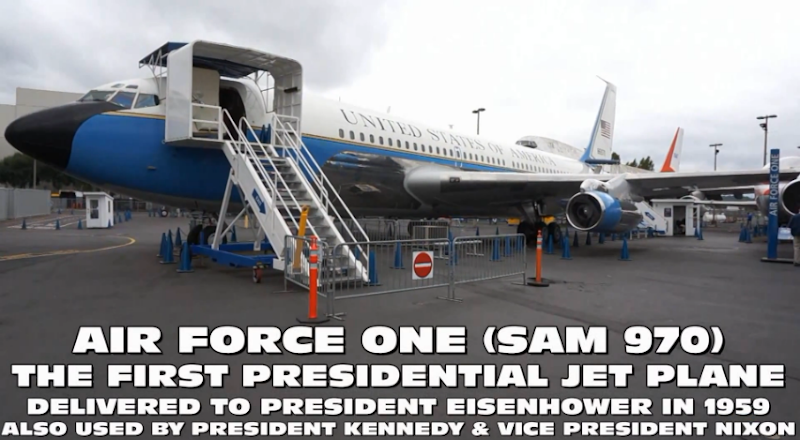 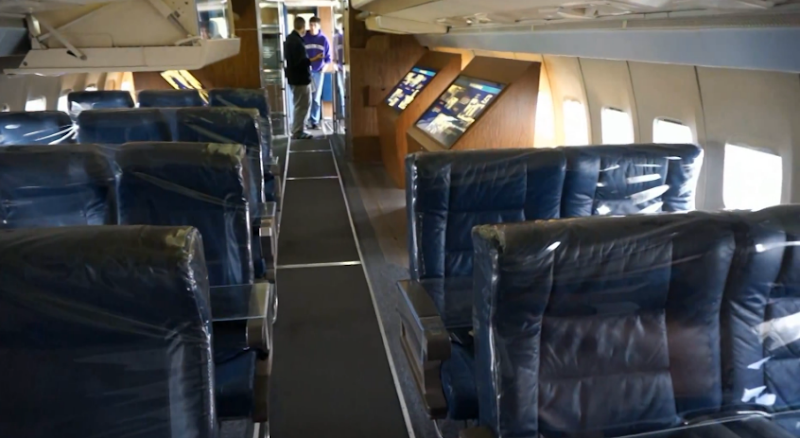 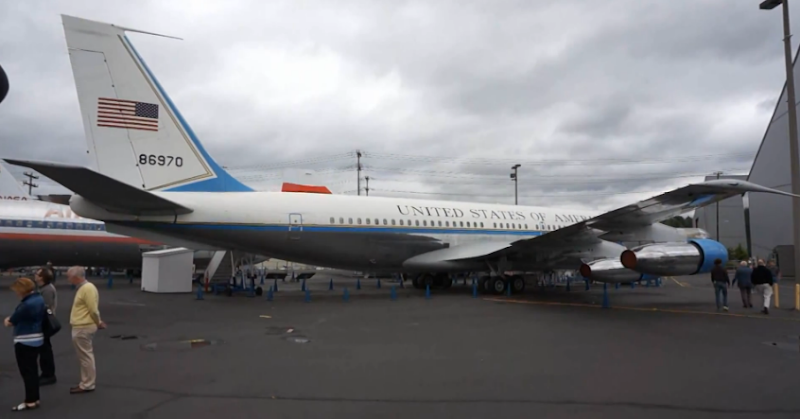 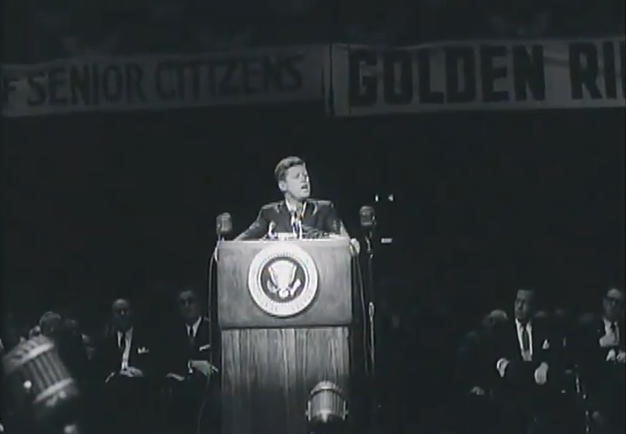 The President's 34-minute speech can be heard HERE. 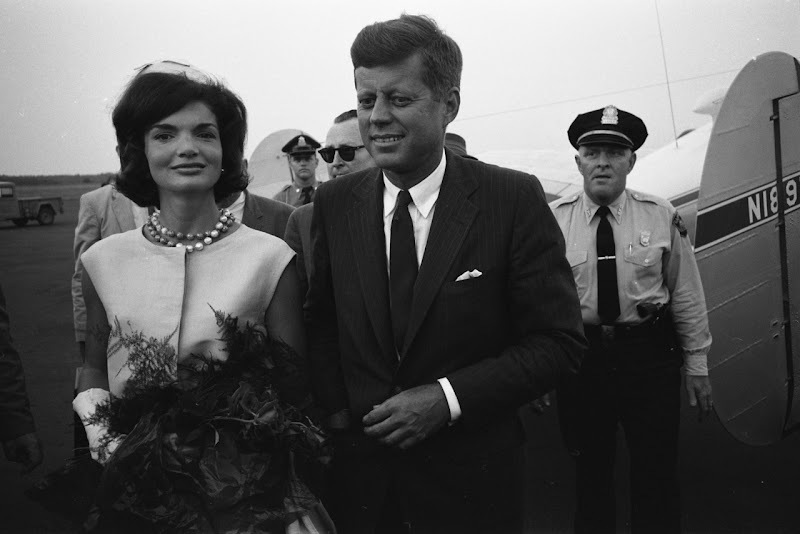 Washington National Airport (October 10, 1962). 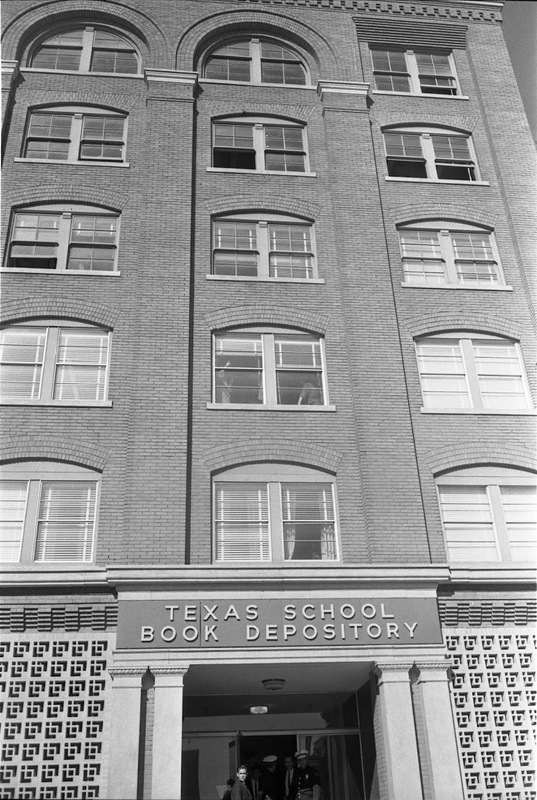 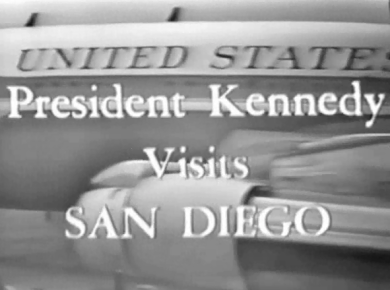 educational exchange program (February 16, 1962). 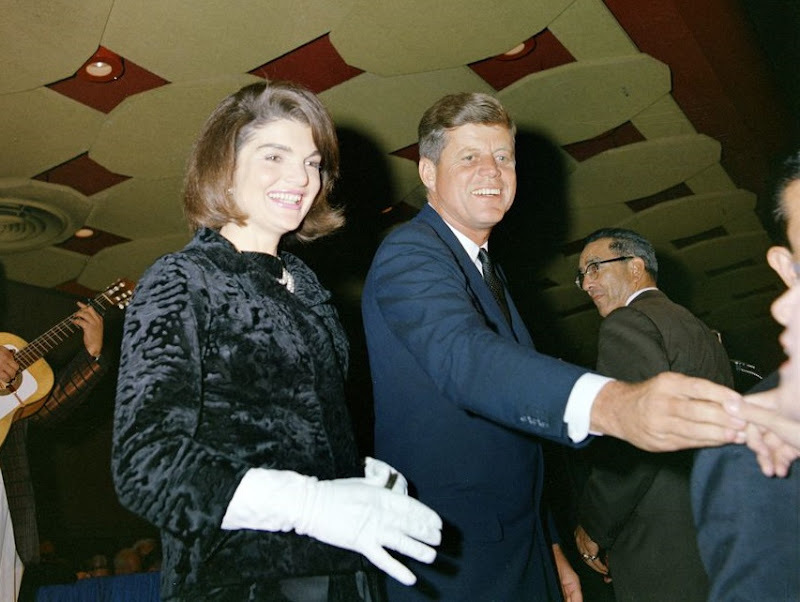 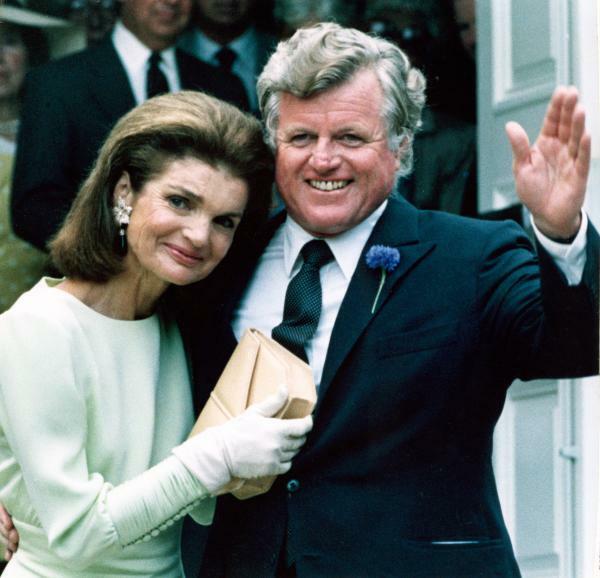 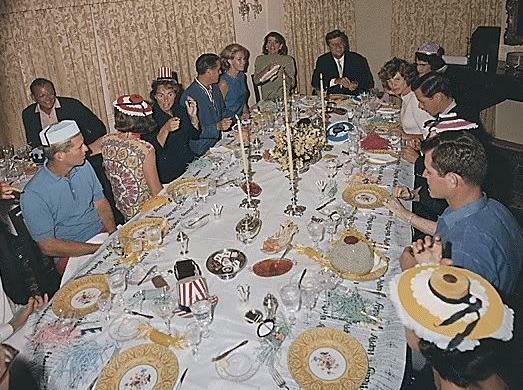 Joseph P. Kennedy's 75th birthday party (September 1963). 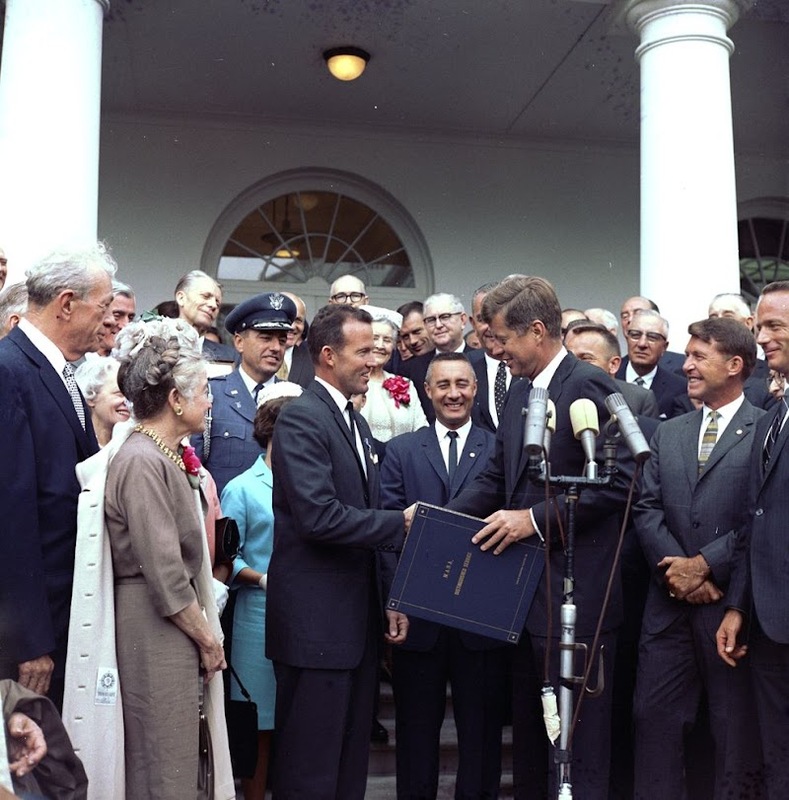 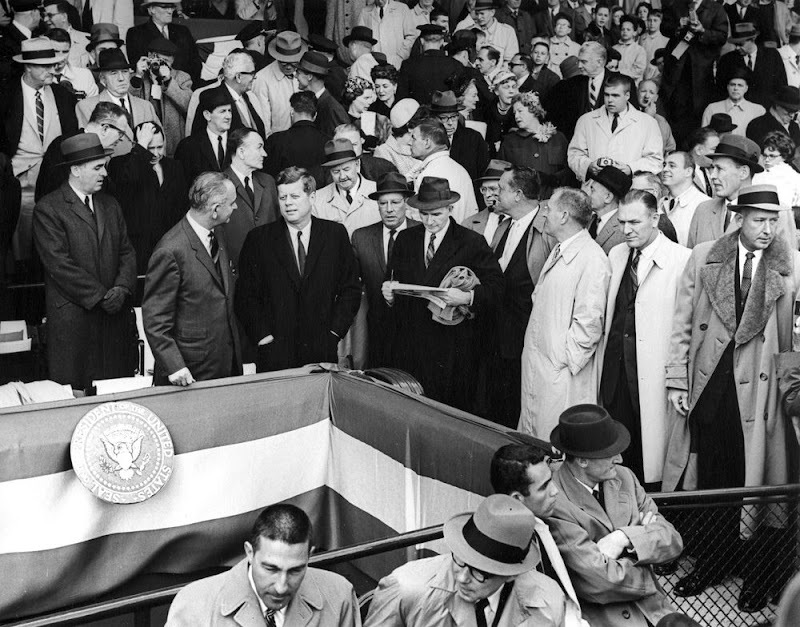 JFK and Stan Musial (July 11, 1962). 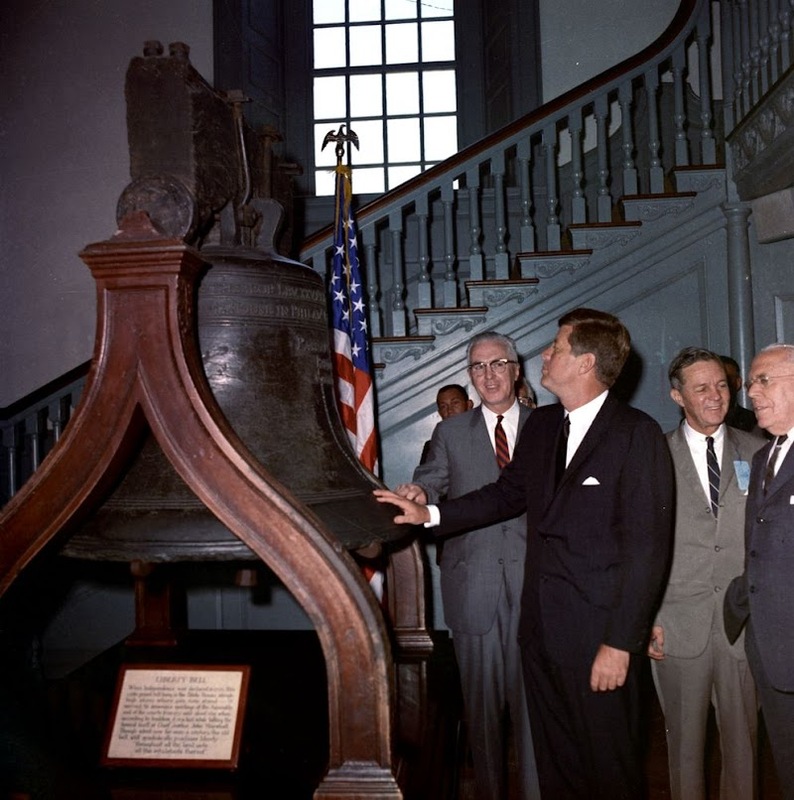 During a Founder's Day ceremony at Vanderbilt University, President John F. Kennedy presses a gold telegraph key that will remotely explode the first charge of dynamite at the U.S. Army Corps of Engineers' construction site of the Cordell Hull Dam on the Cumberland River in nearby Carthage, Tennessee. 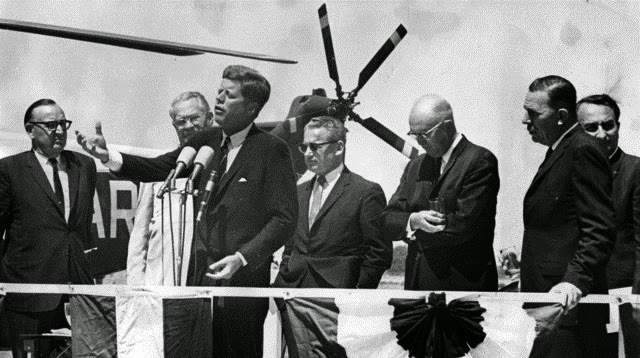 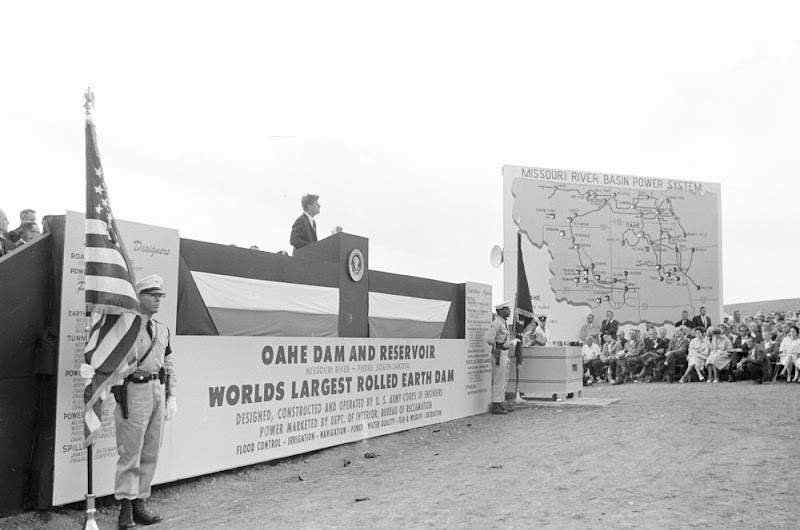 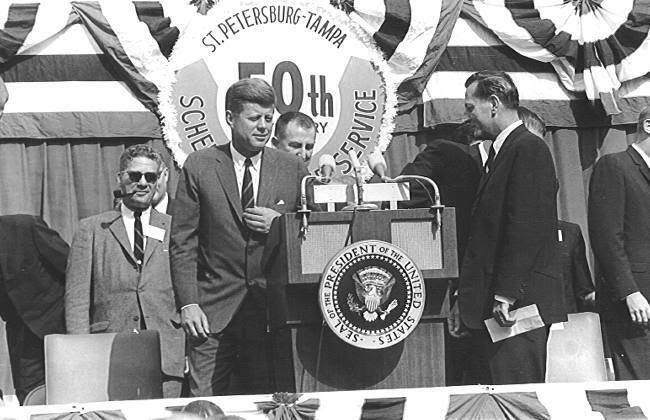 President Kennedy delivered an address at the ceremony to commemorate the 90th anniversary of the university's founding and the 30th anniversary of the Tennessee Valley Authority (TVA). 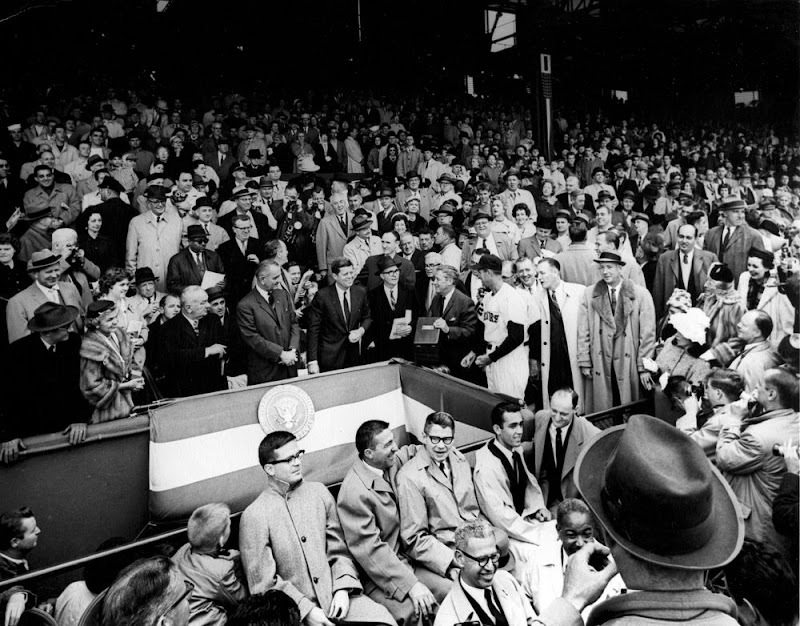 Dudley Field, Vanderbilt University, Nashville, Tennessee. 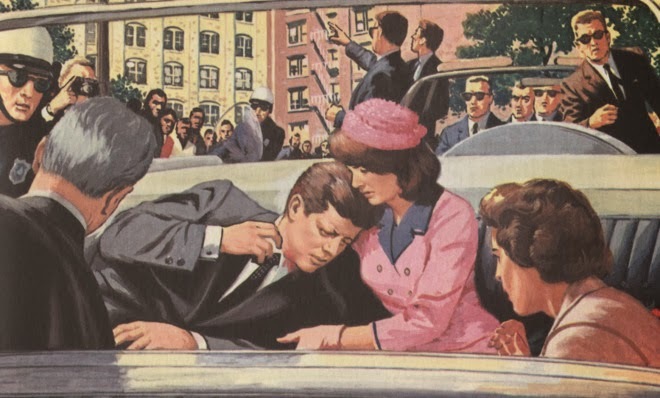 May 18, 1963. 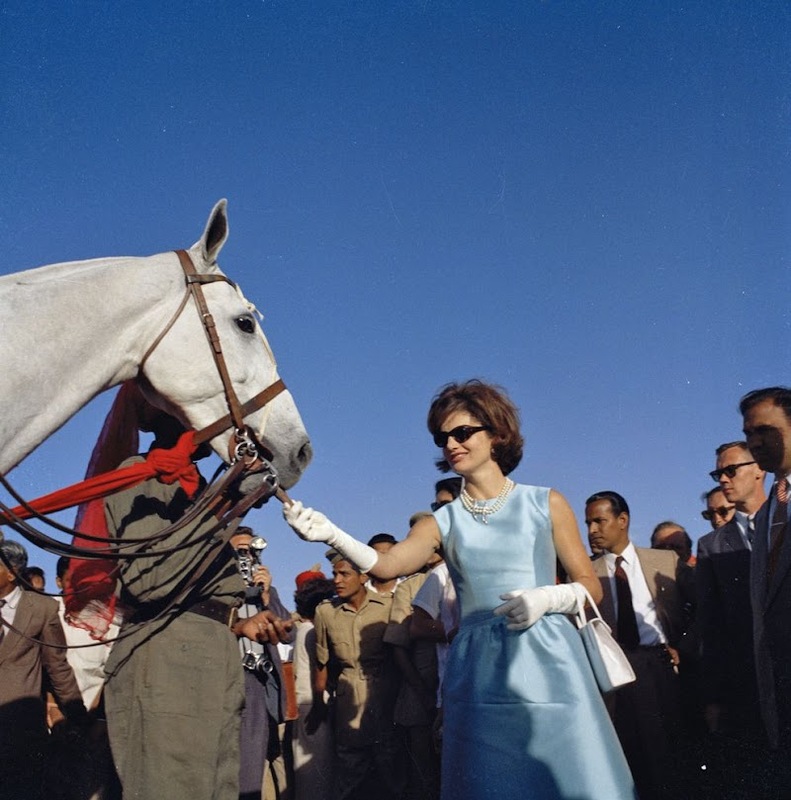 Jackie feeds a horse in India (March 19, 1962). 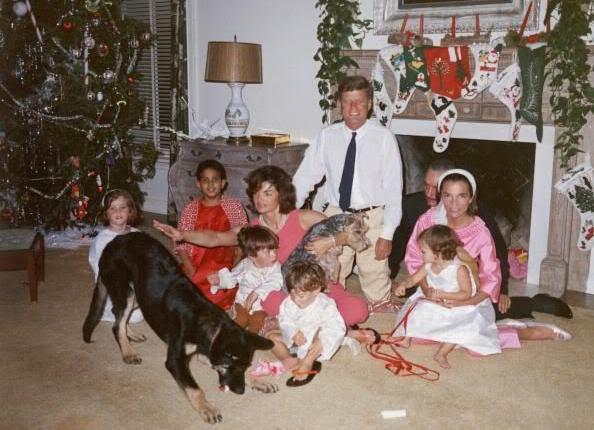 Christmas with the Kennedys (December 25, 1962). 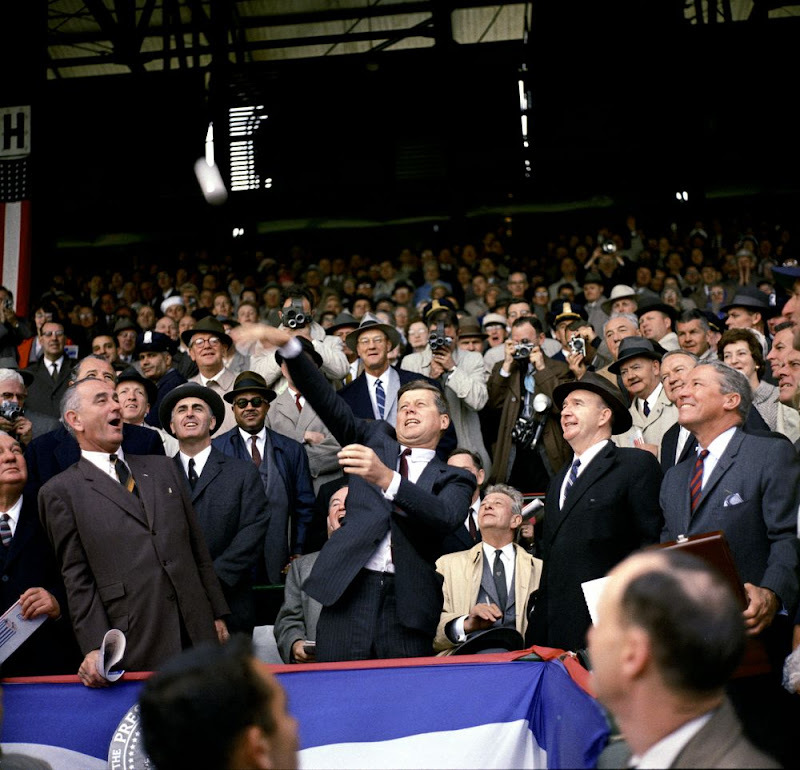 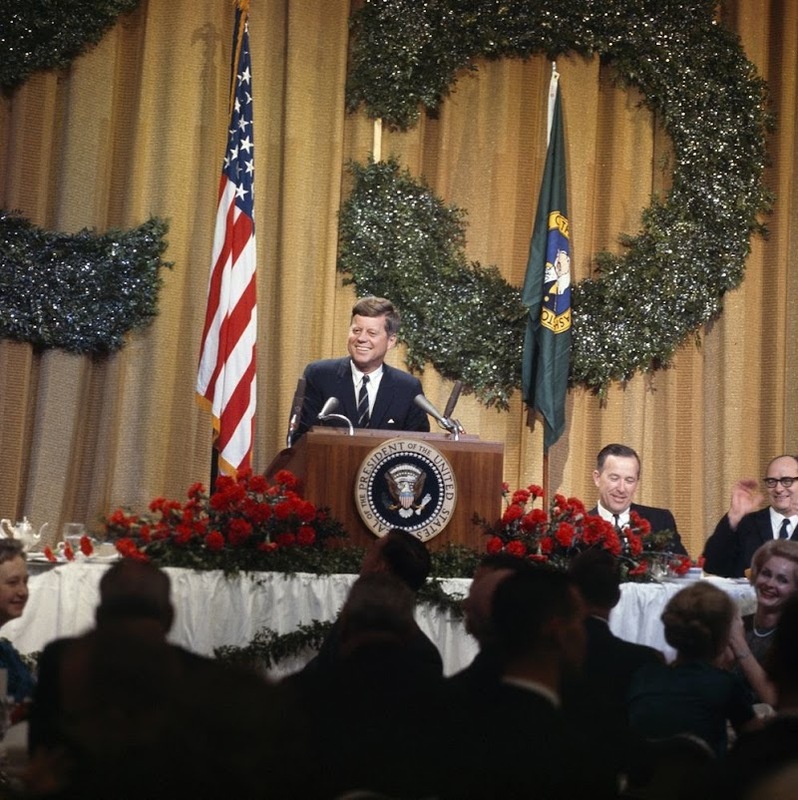 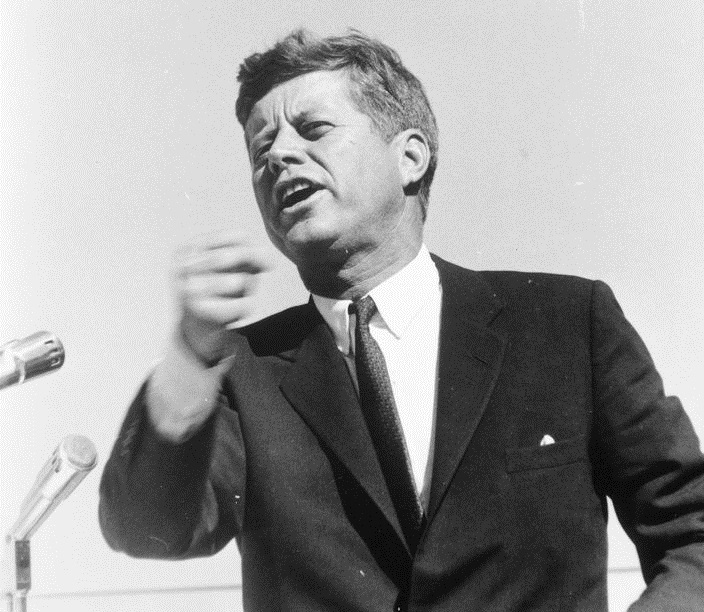 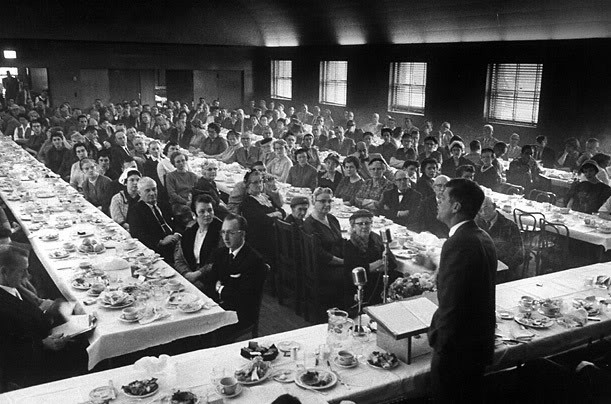 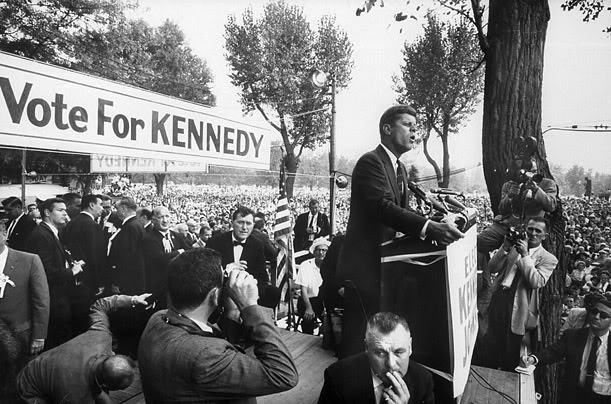 JFK makes a speech in Seattle, Washington, on November 16, 1961. 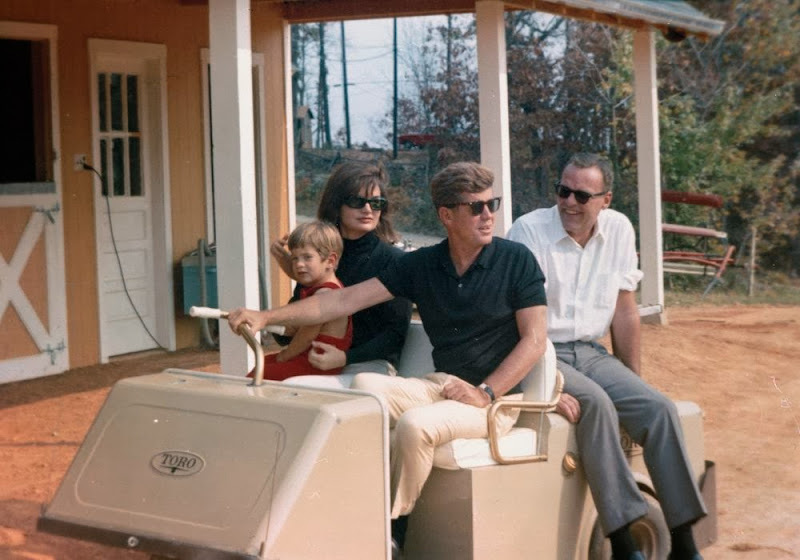 The First Family at Hyannis Port in a relaxed setting on August 4, 1962.
during a motorcade in Germany in June 1963.
the attention of a few photographers. 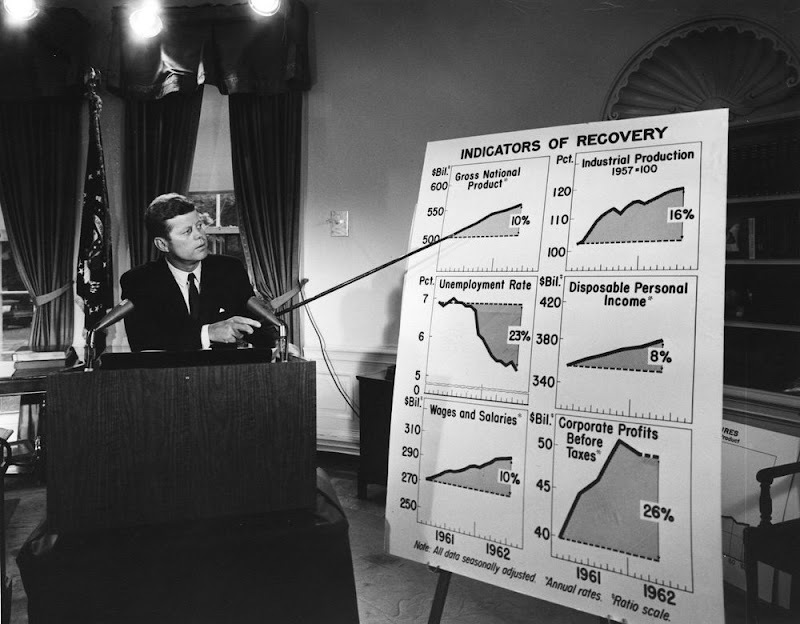 to the American people on the state of the national economy. 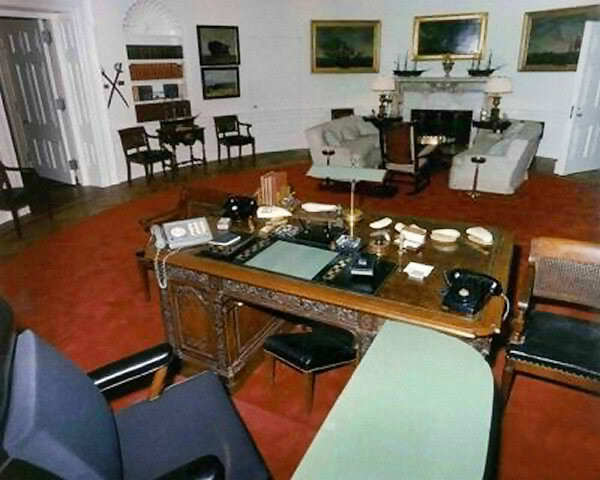 From the Oval Office of the White House. 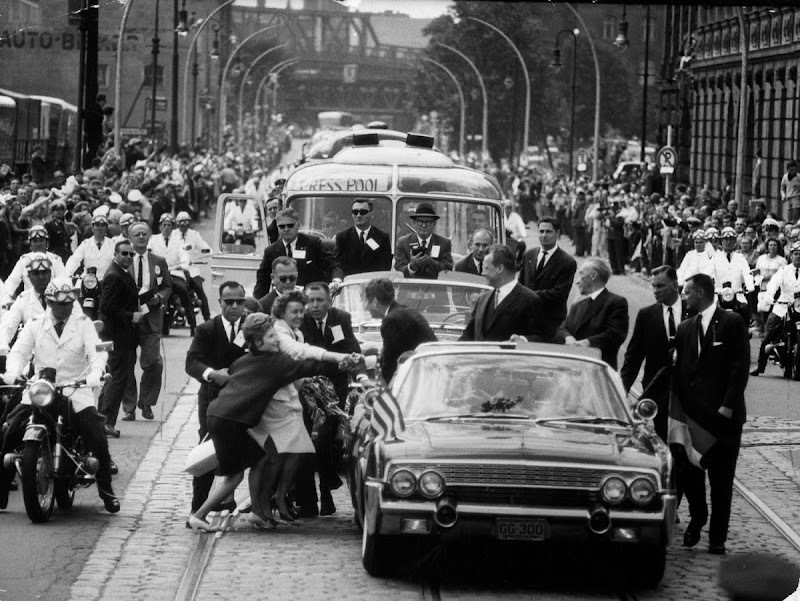 The date: August 13, 1962. 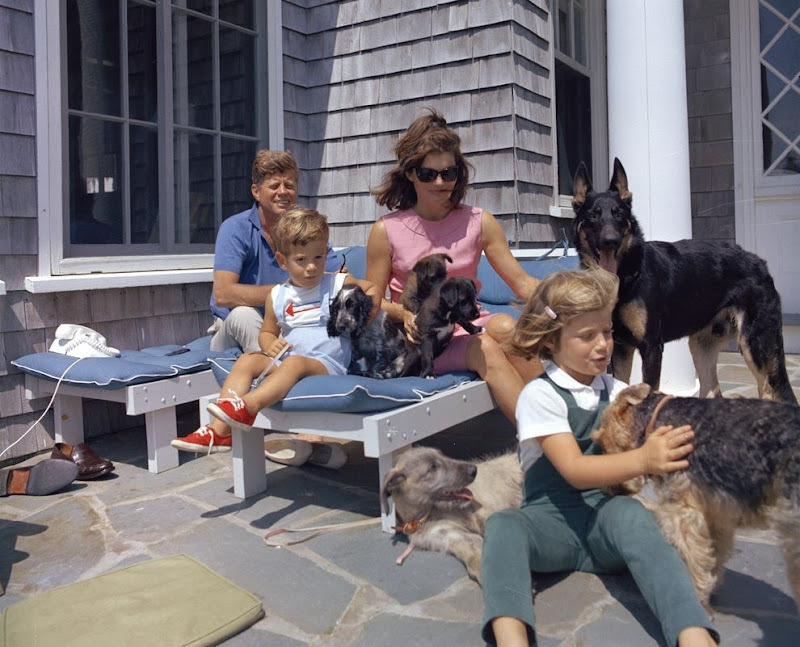 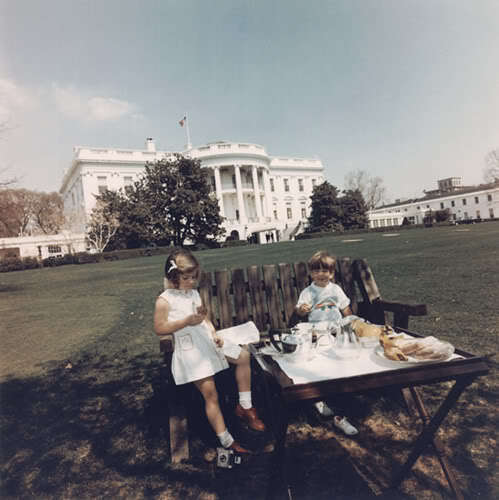 The Kennedy children in the most famous back yard in America (April 1, 1963). 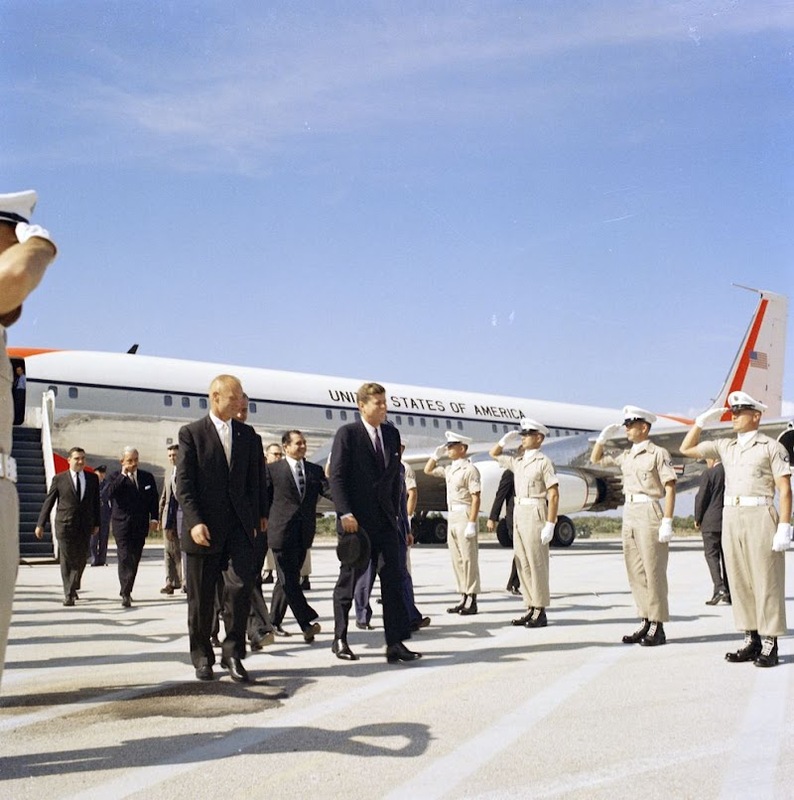 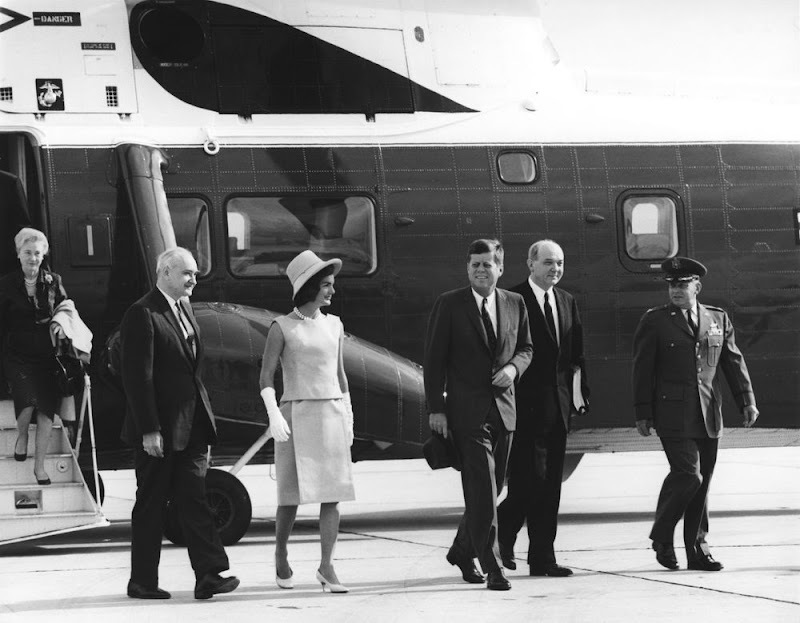 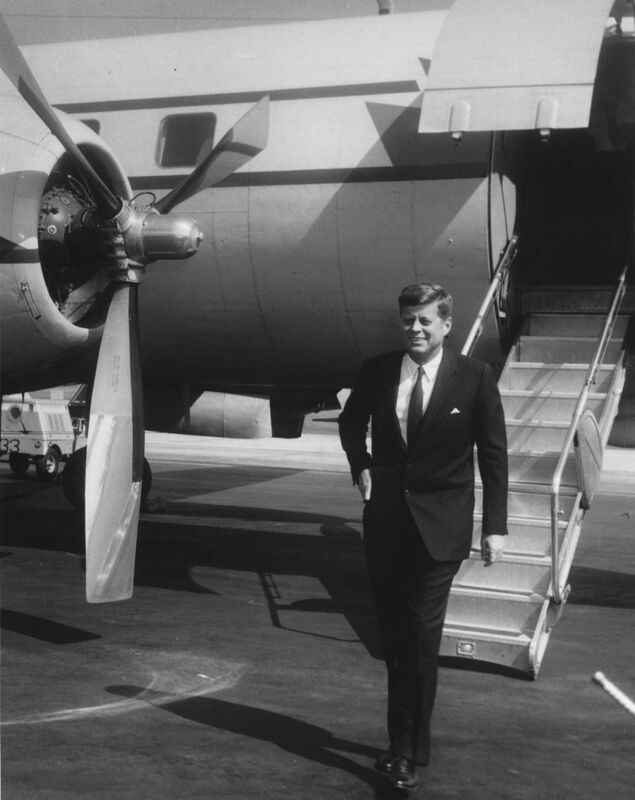 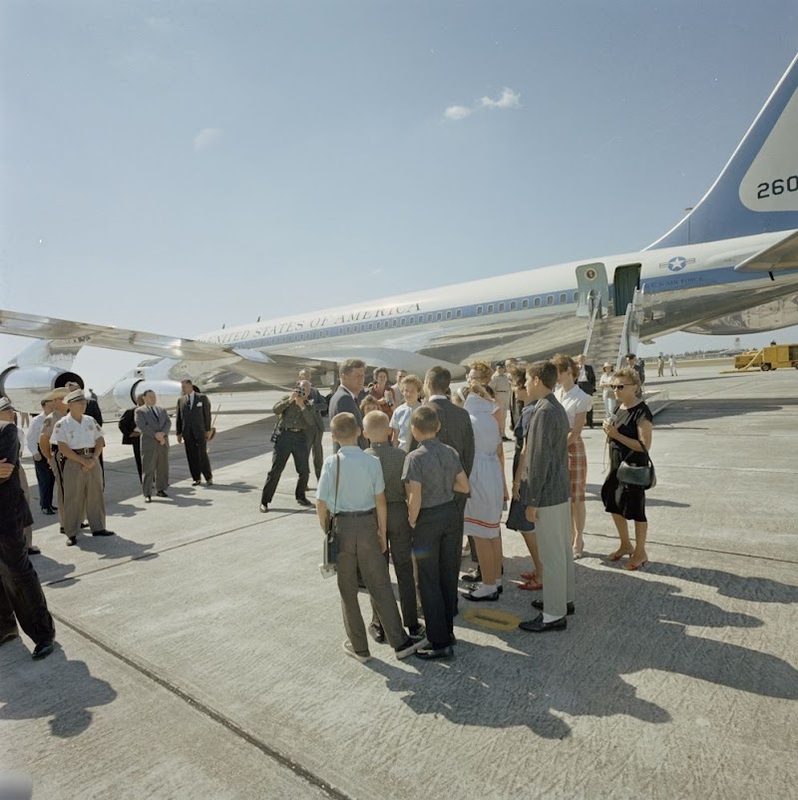 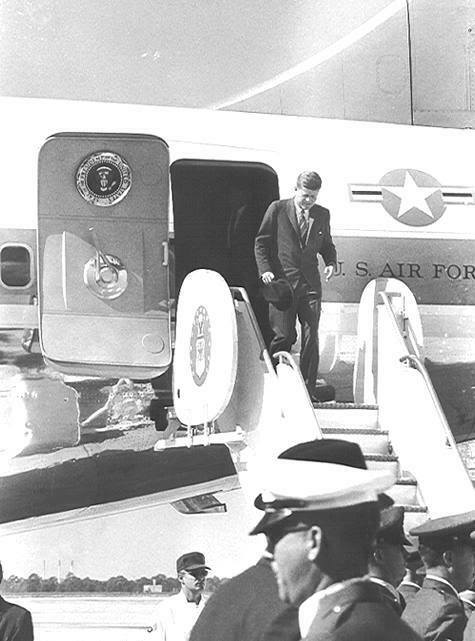 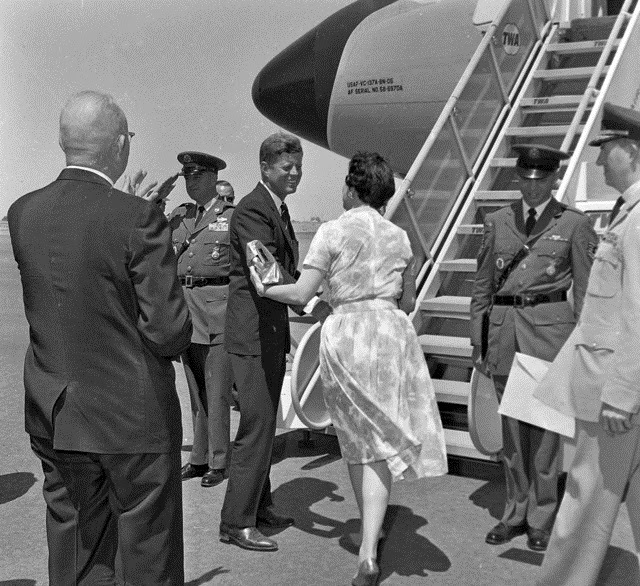 landing in Berlin in June 1963.
in Washington, D.C. (January 8, 1963). 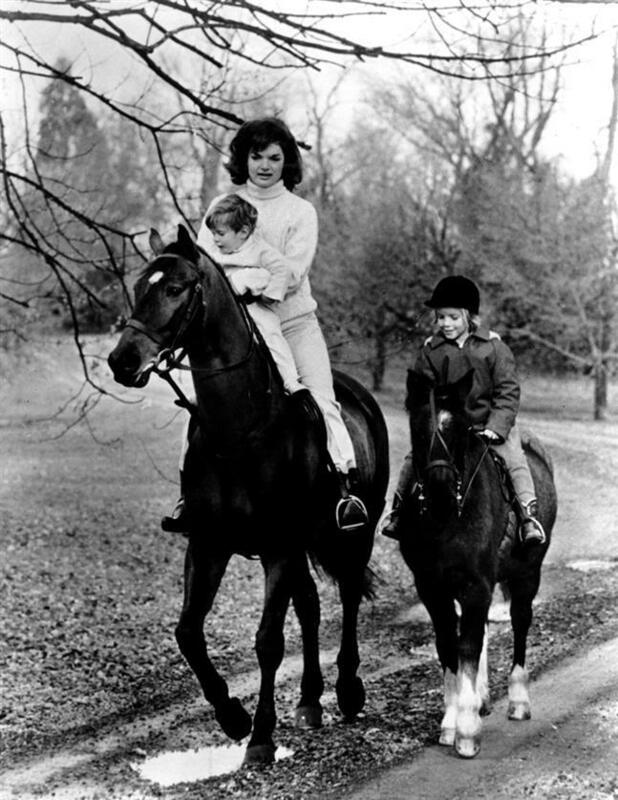 Jackie and the children on horseback (November 1962). 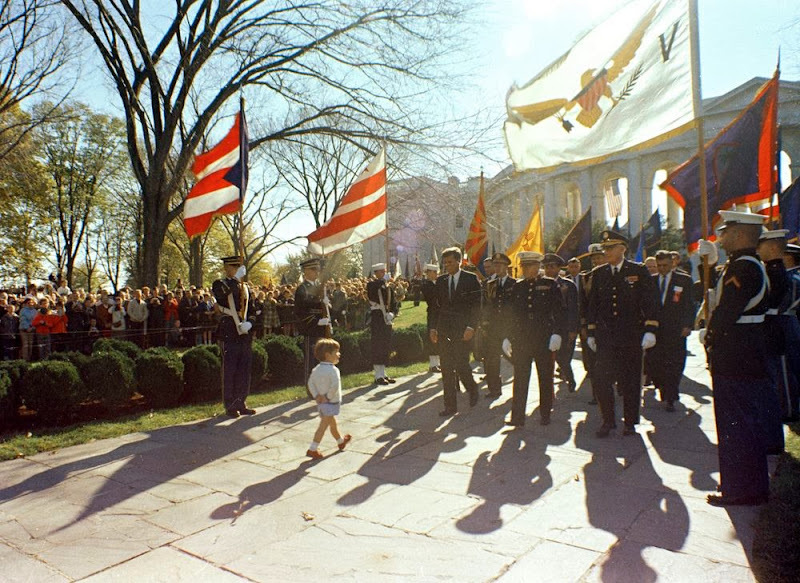 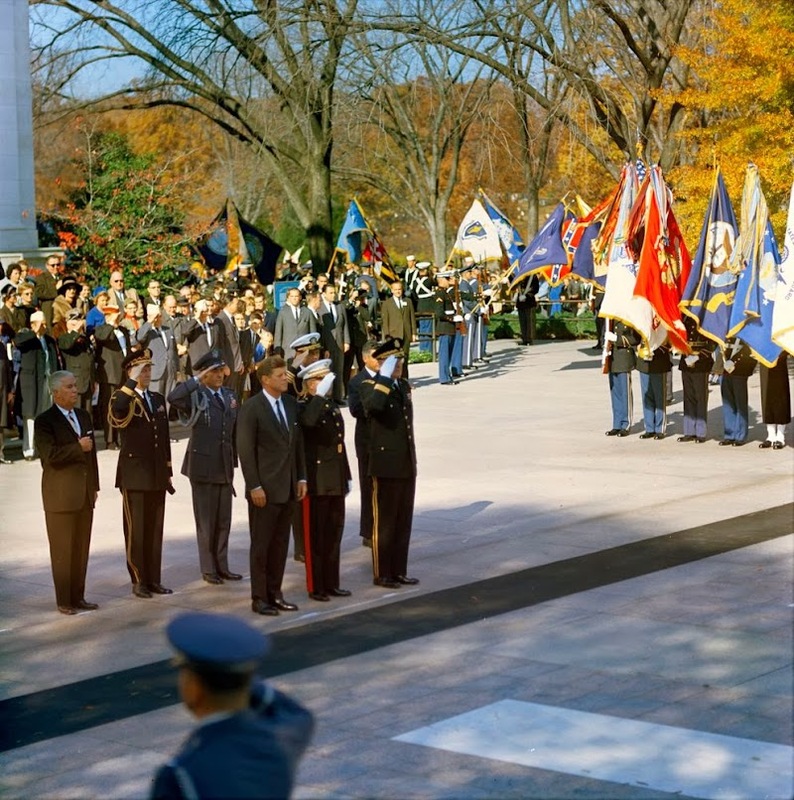 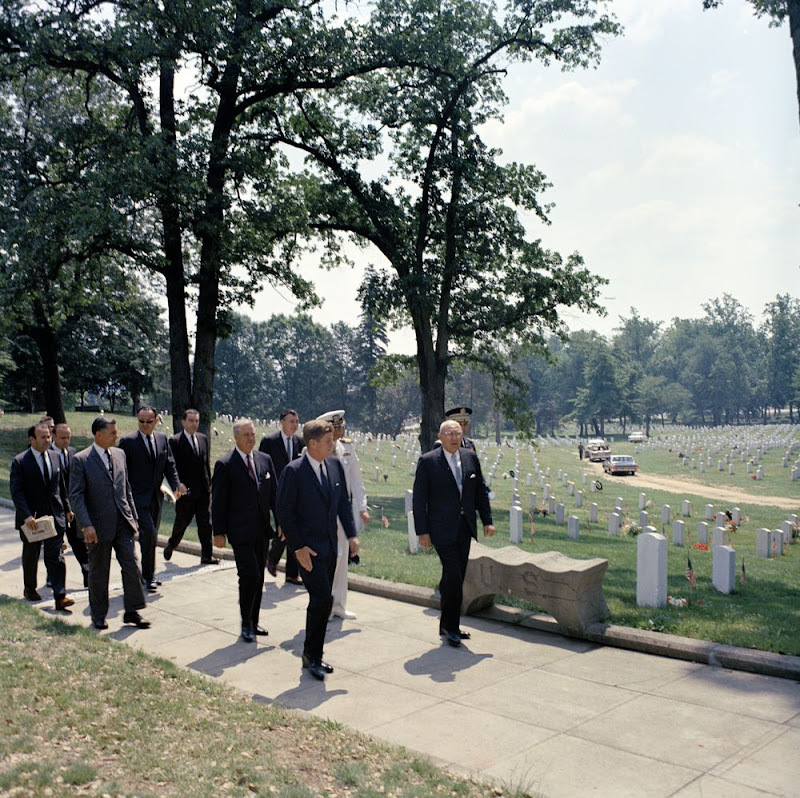 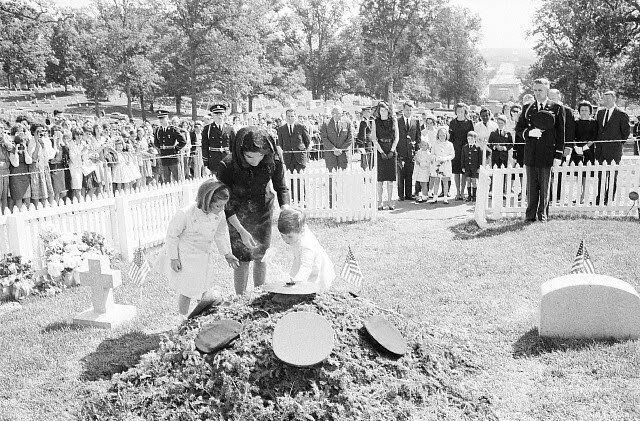 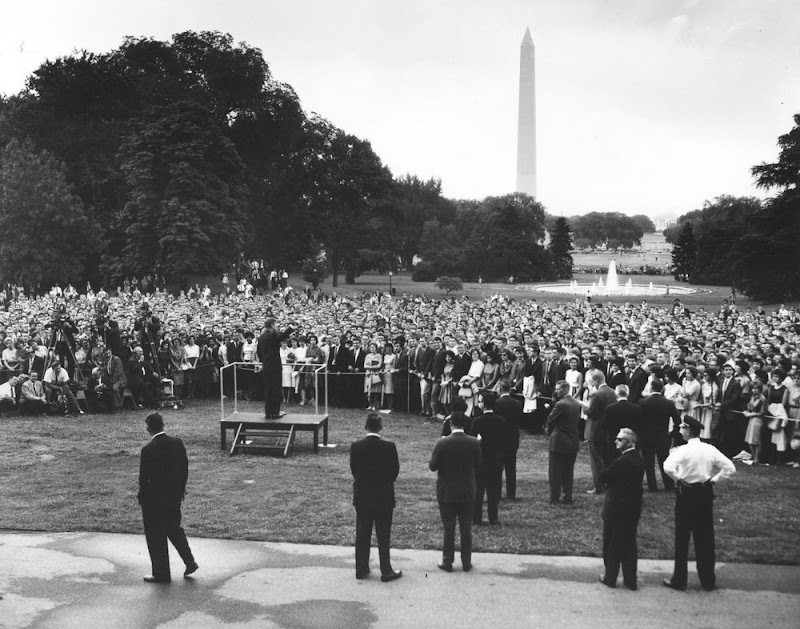 JFK visits Arlington National Cemetery on Memorial Day 1963. 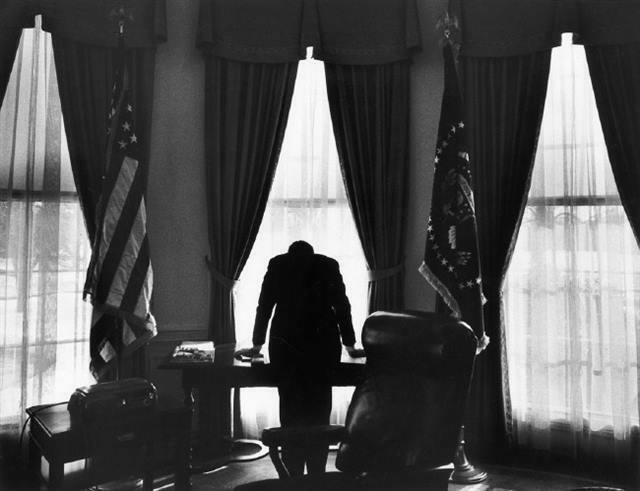 The President in the Oval Office (1961). 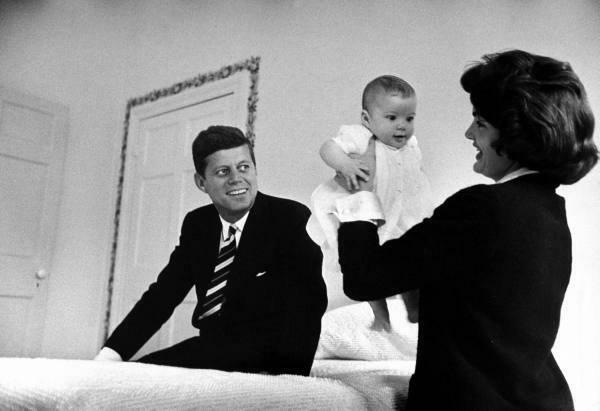 Jackie and son (November 27, 1962). 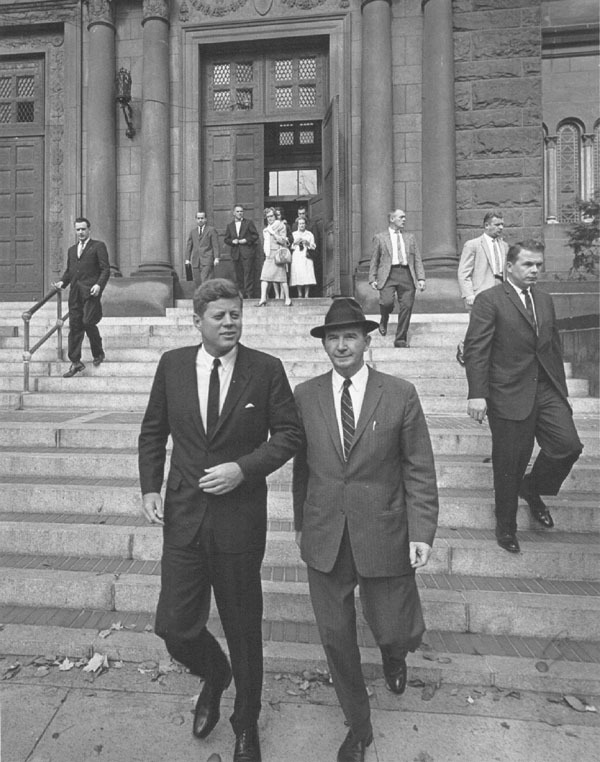 in Boston (April 20, 1963). 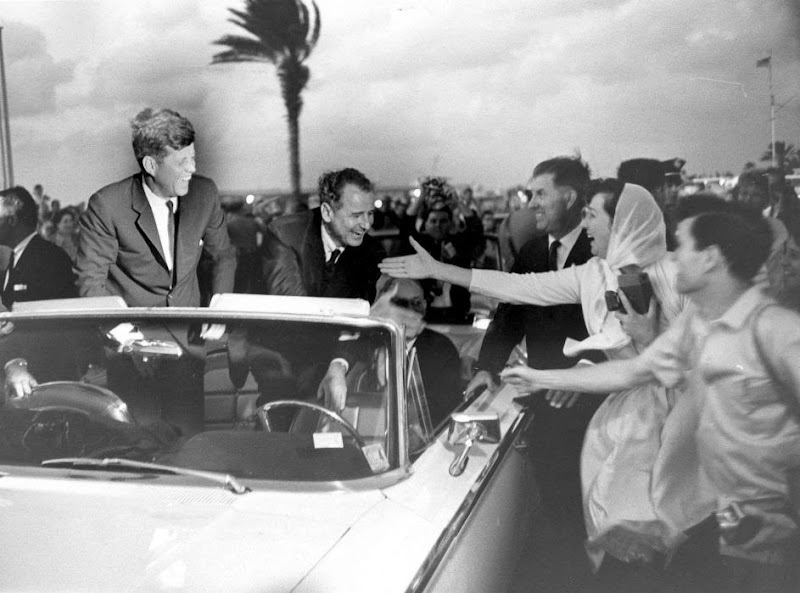 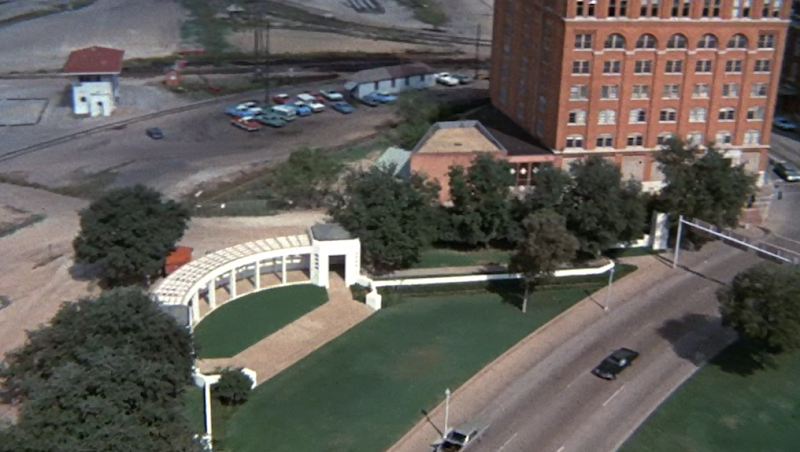 made-for-TV movie "Ruby And Oswald". 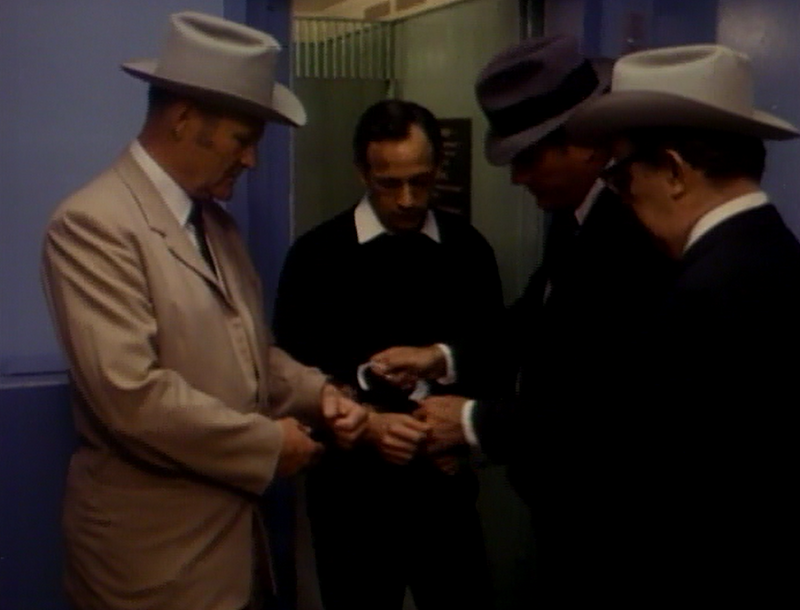 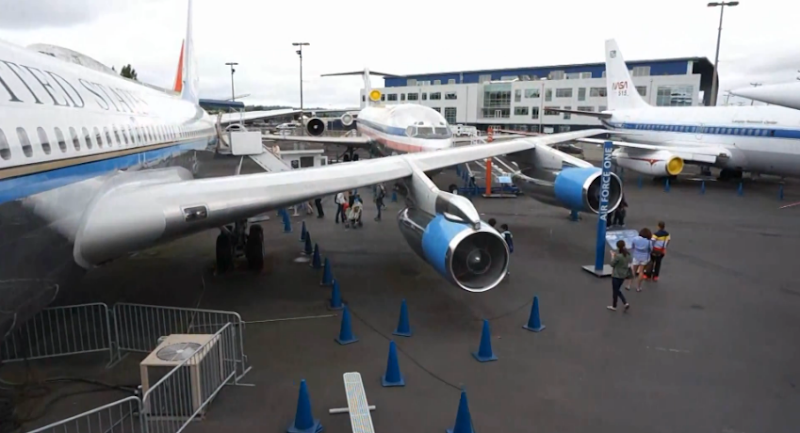 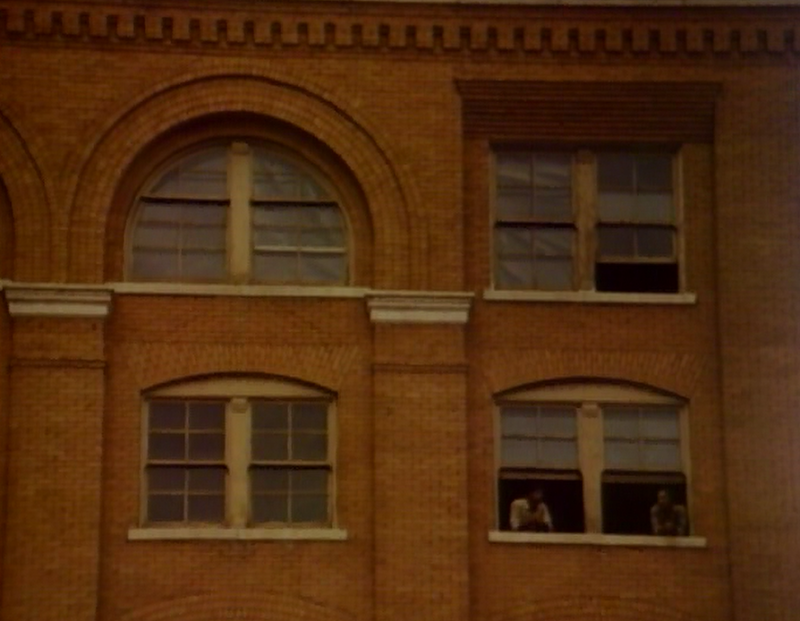 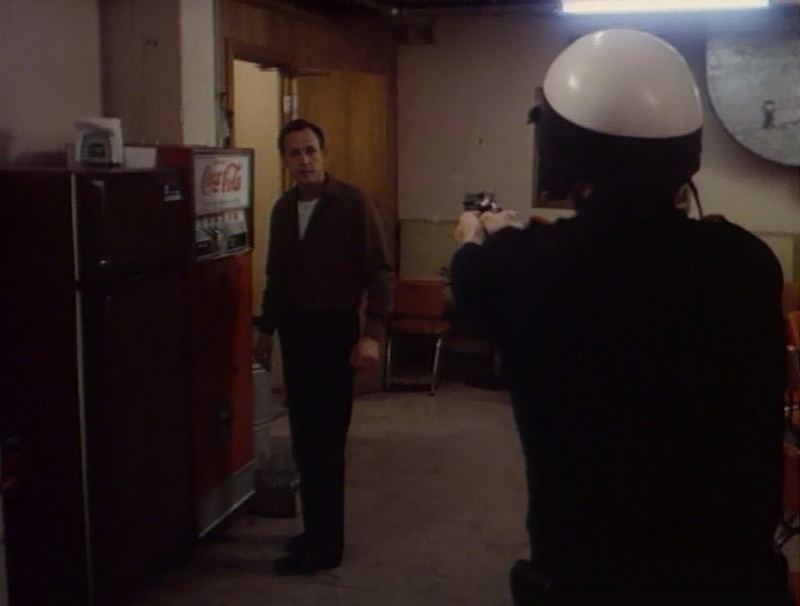 The complete film can be seen HERE. 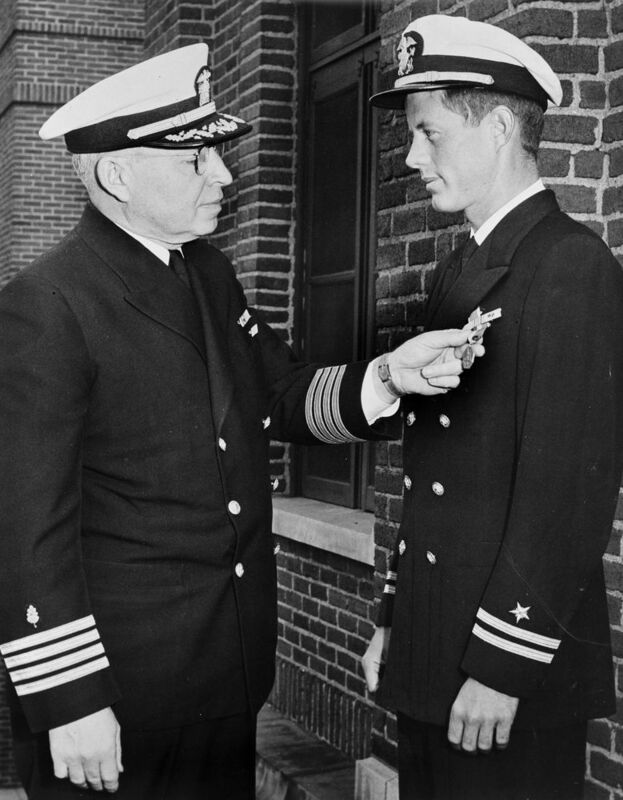 with Naval Aide Tazewell Shepard. 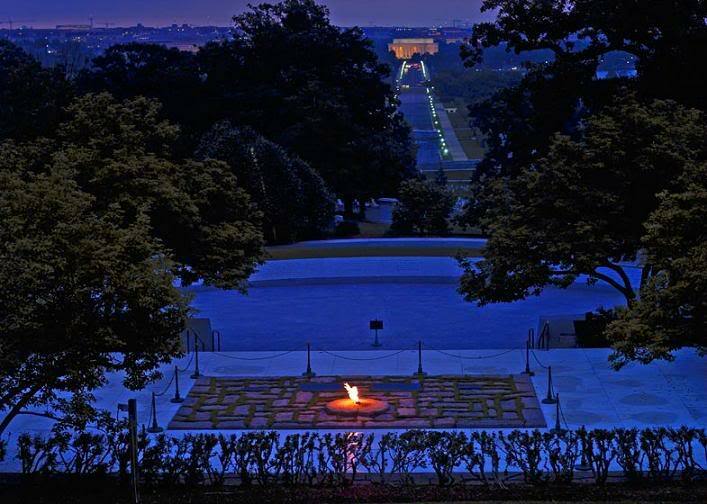 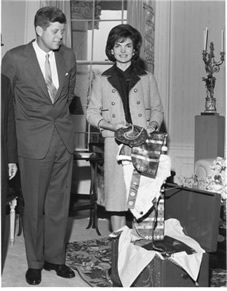 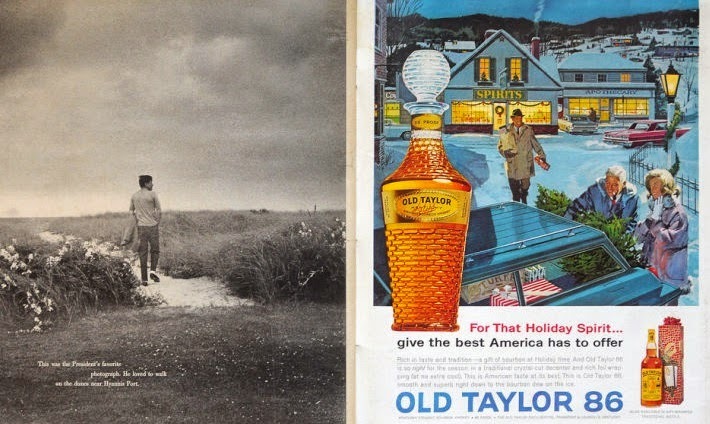 a gift from Vice President Lyndon Johnson (May 17, 1962). 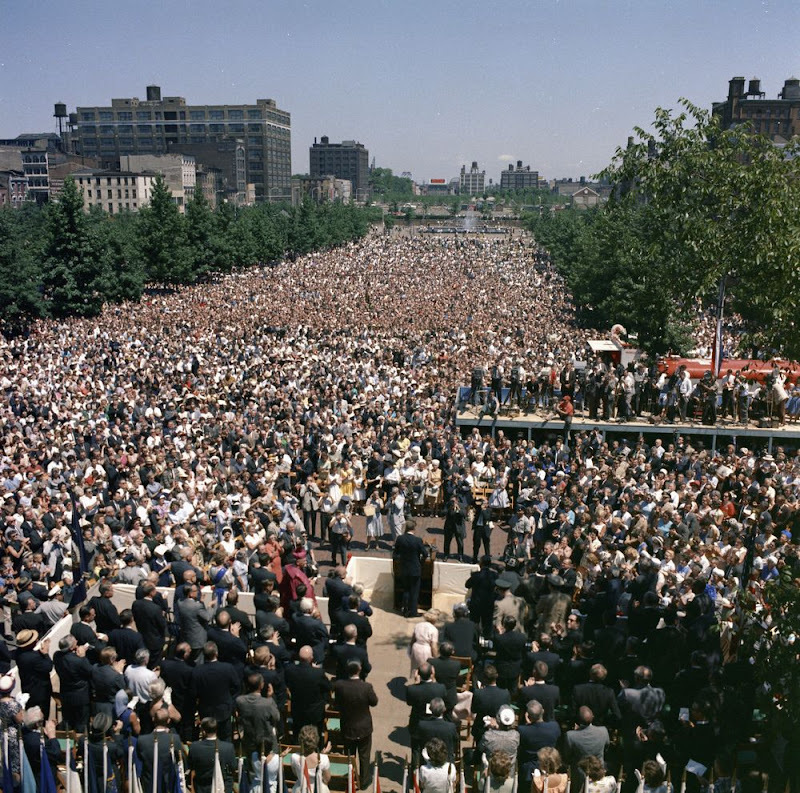 a huge crowd in Philadelphia on July 4, 1962. 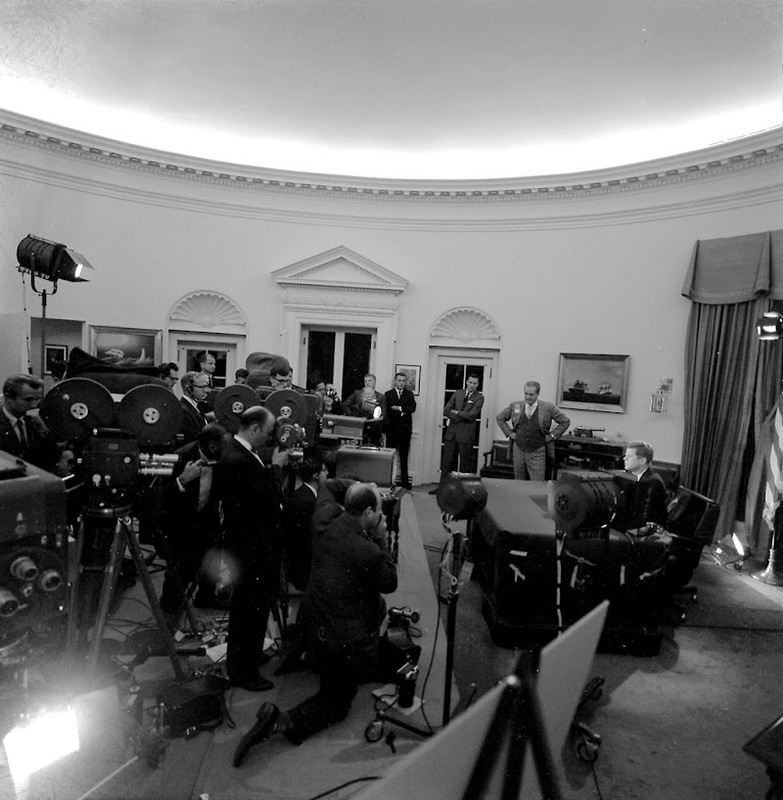 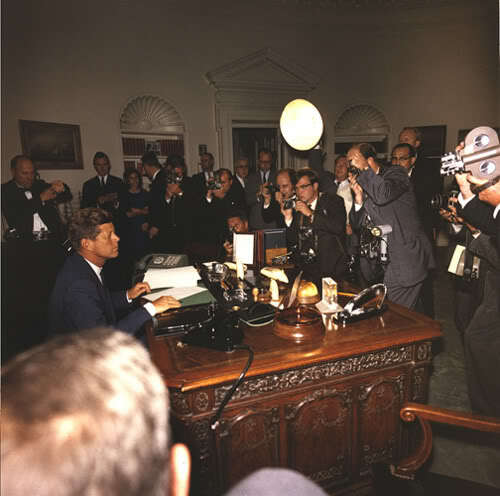 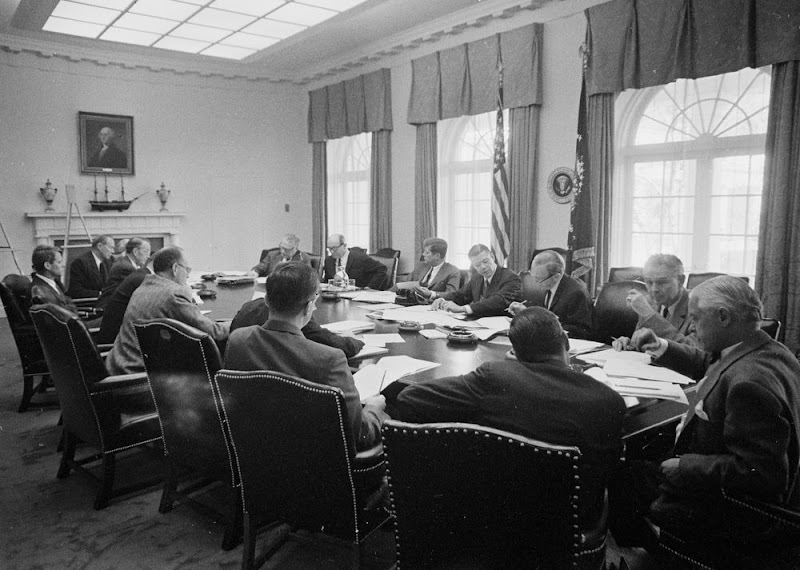 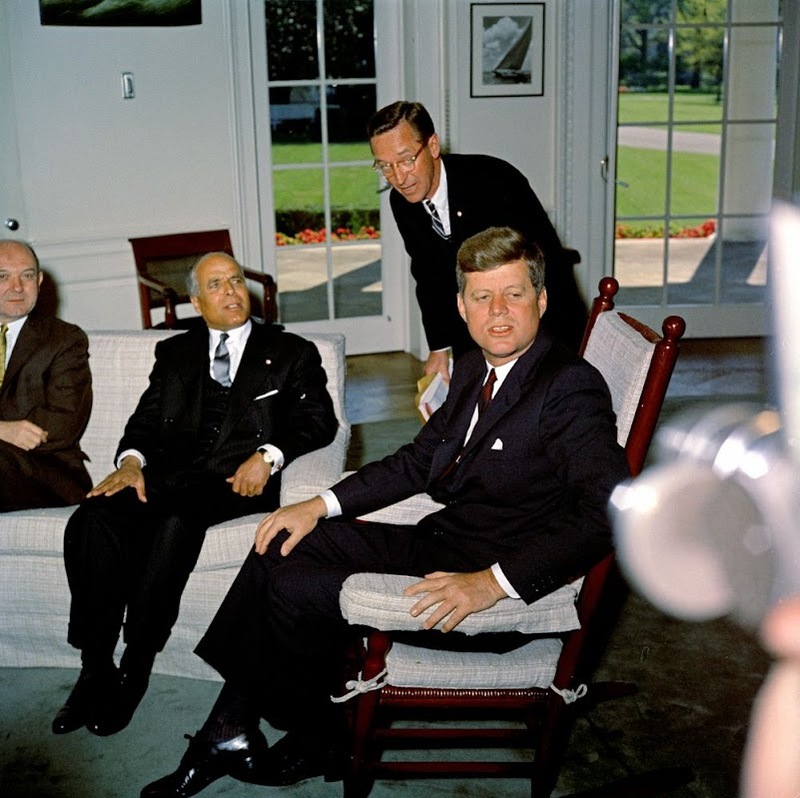 The Oval Office in November 1963. 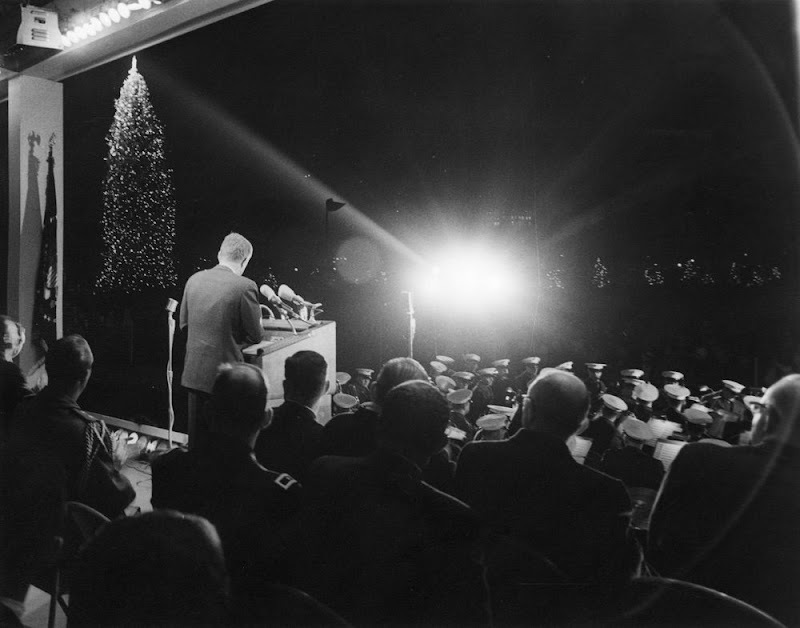 JFK lights the National Christmas Tree (December 17, 1962). 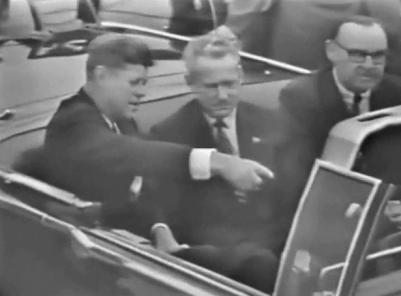 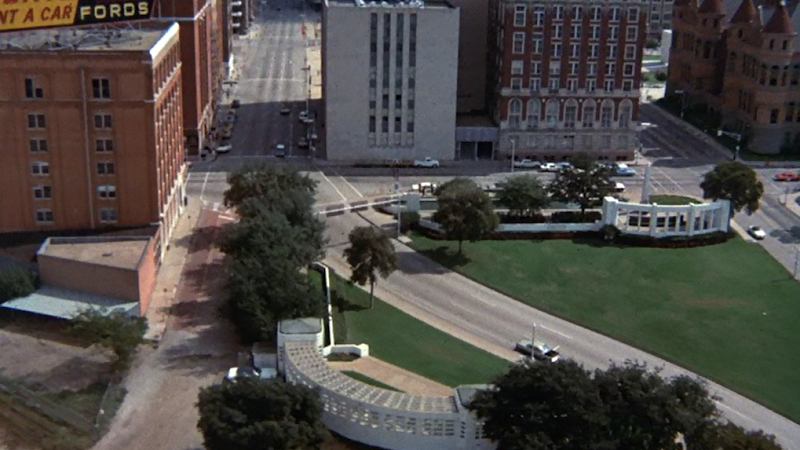 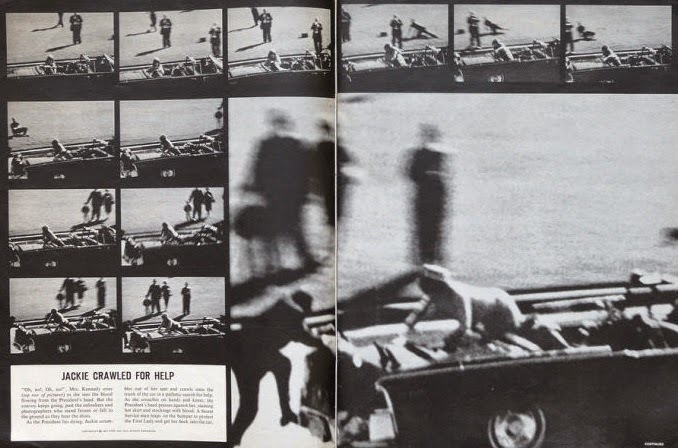 November 16, 1963, six days before he was killed. 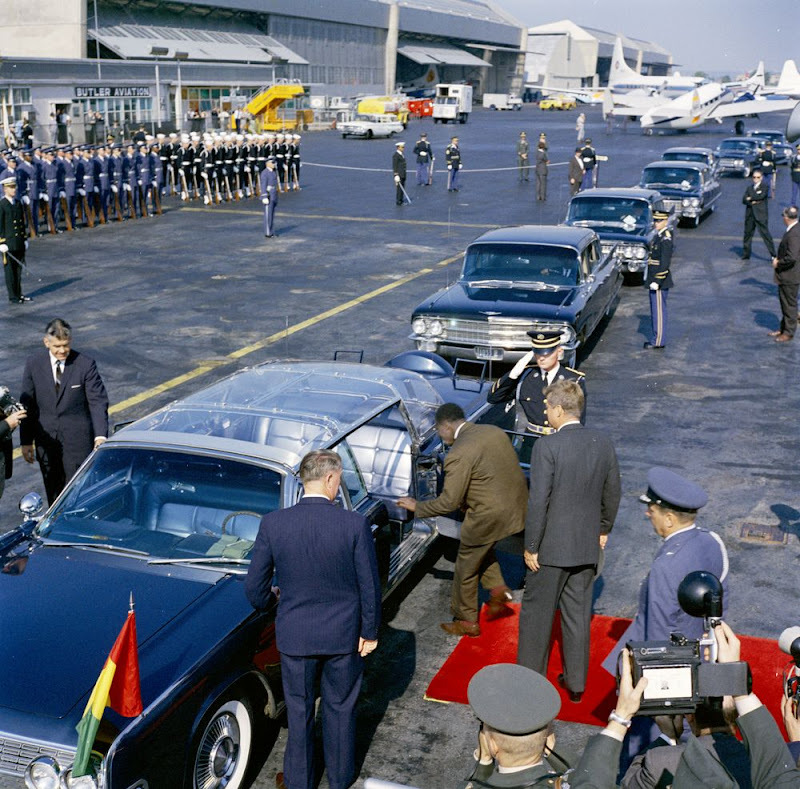 National Airport in Washington, D.C. (March 8, 1962). 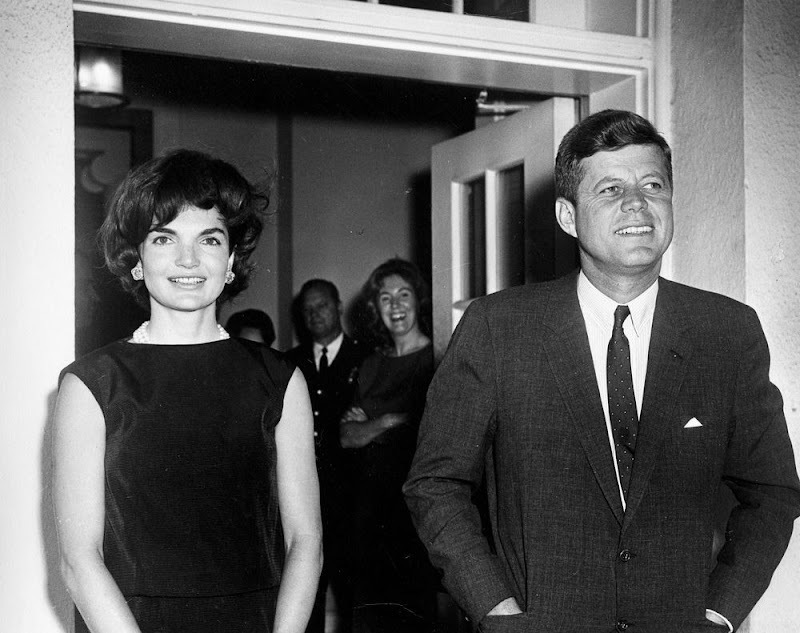 First Lady Jacqueline Kennedy stands with her son, John F. Kennedy, Jr.
Wexford, in Atoka, Virginia (October 27, 1963). 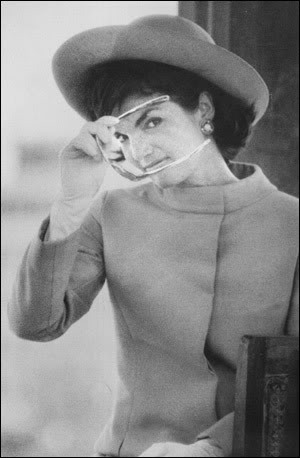 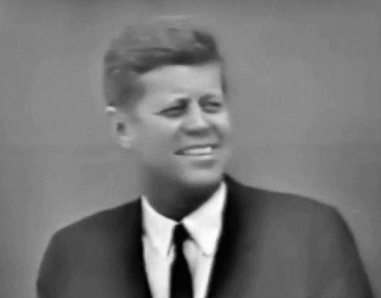 in Miami, Florida (January 1, 1963). 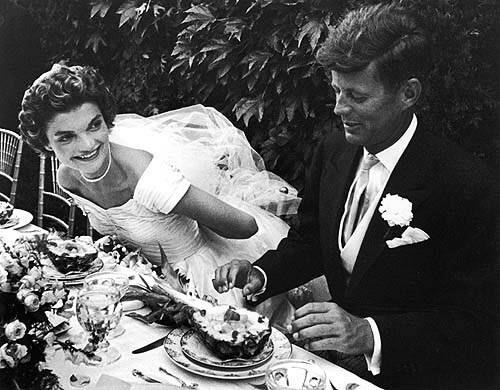 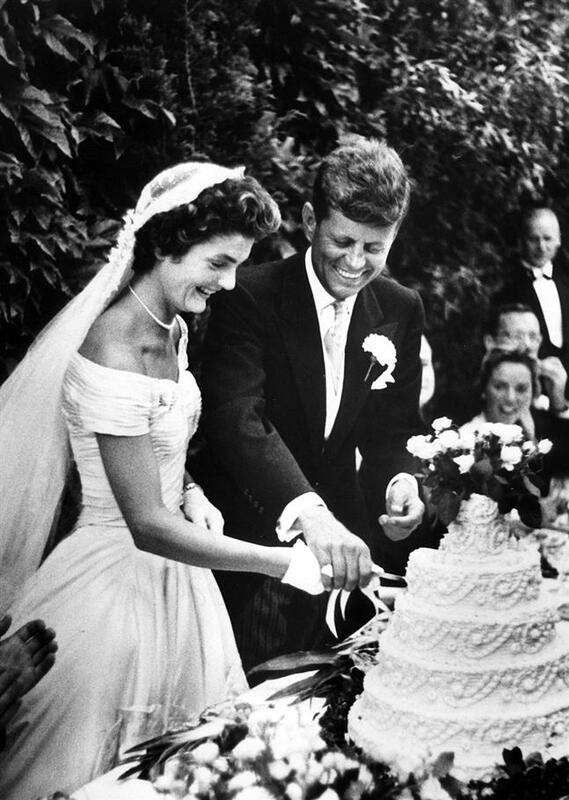 Mr. and Mrs. John F. Kennedy (October 27, 1961). 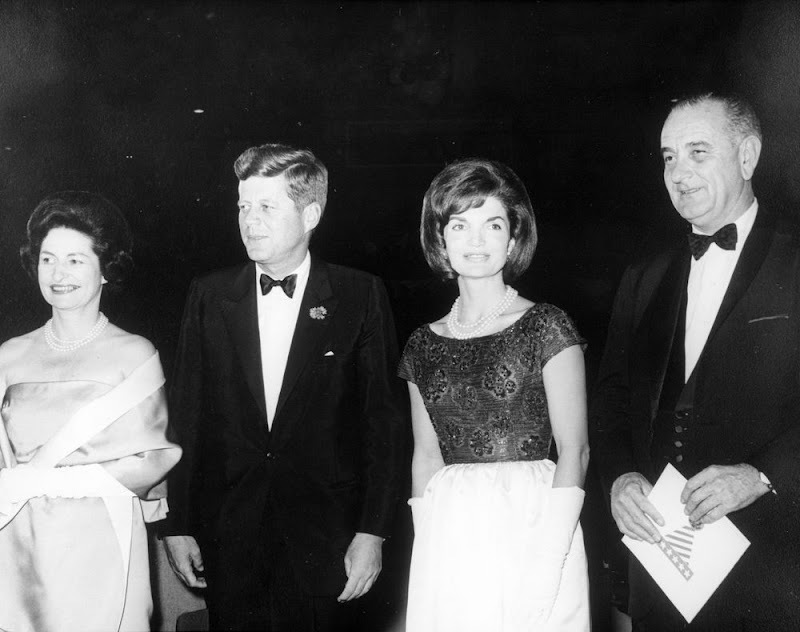 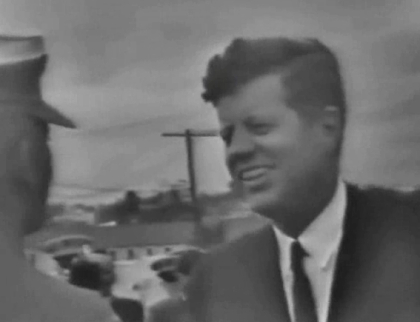 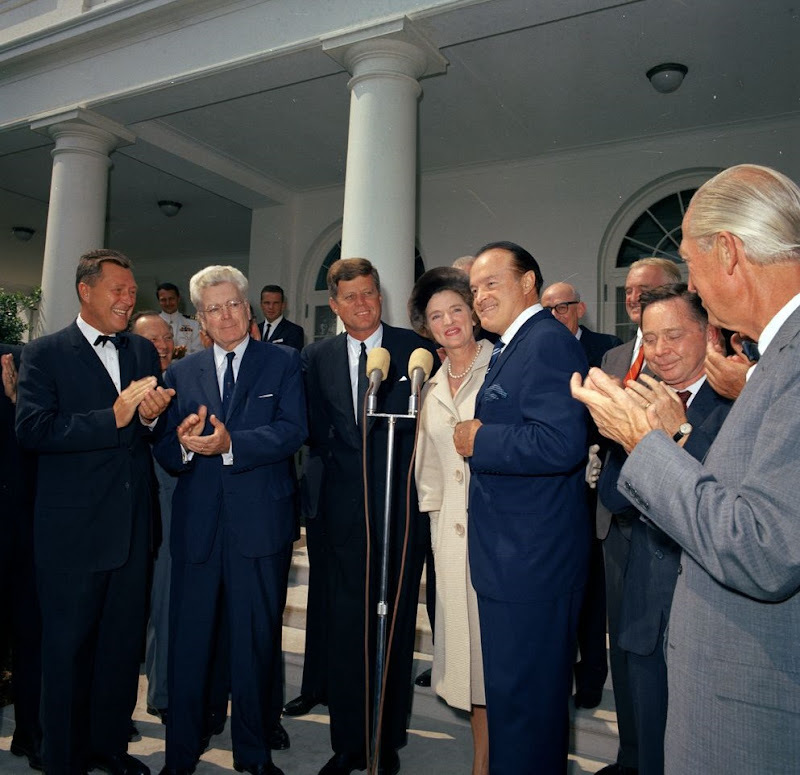 JFK with Senator Hubert Humphrey (May 17, 1962). 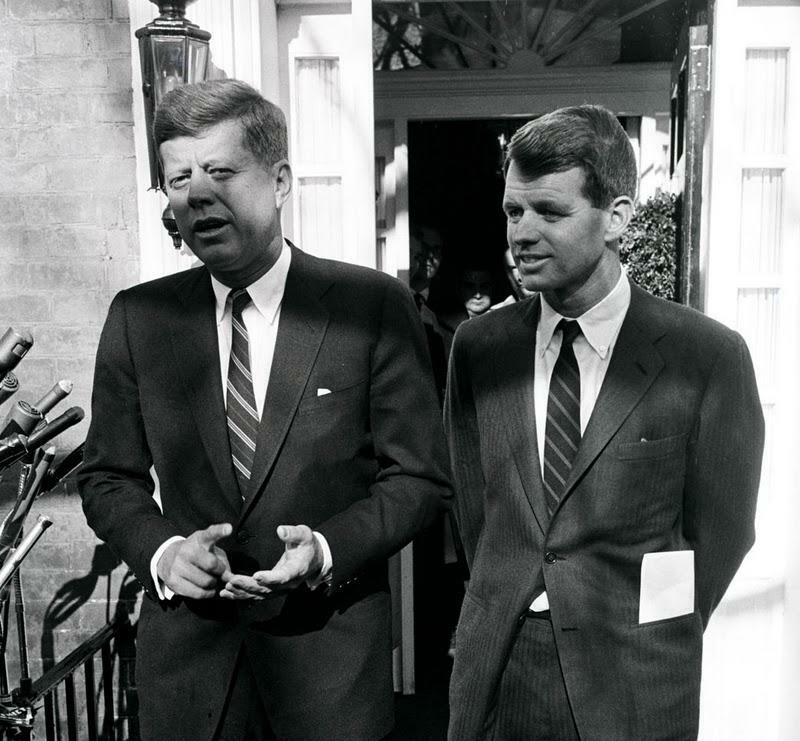 The President and Vice President (August 31, 1961). 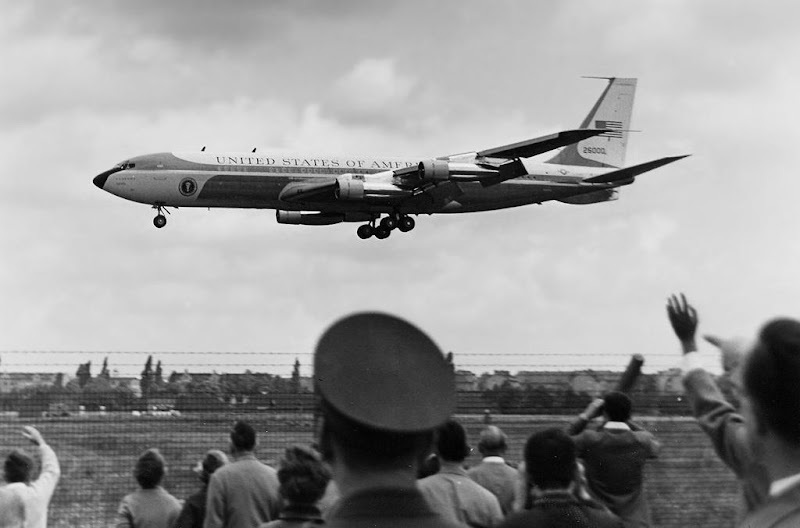 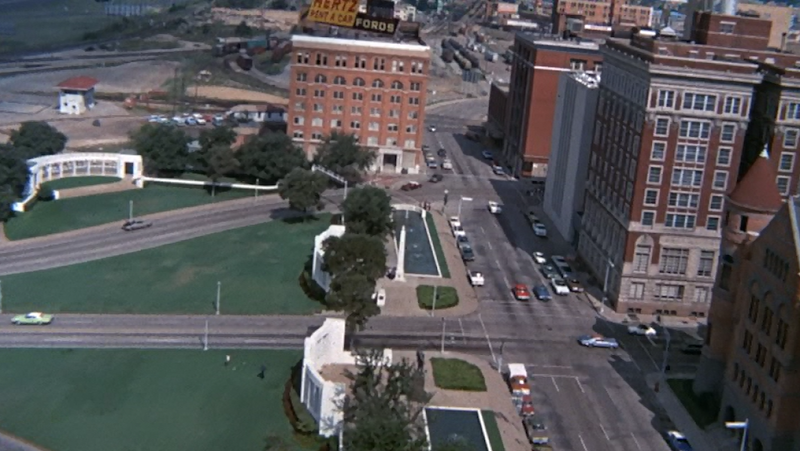 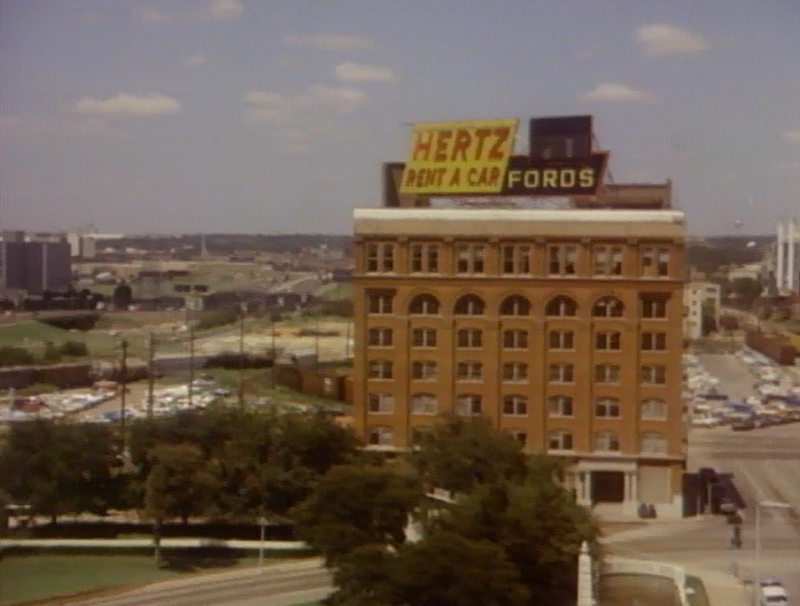 plane to land at Love Field in Dallas, Texas, on November 22, 1963.
from the open sixth-floor window seen in this photograph. 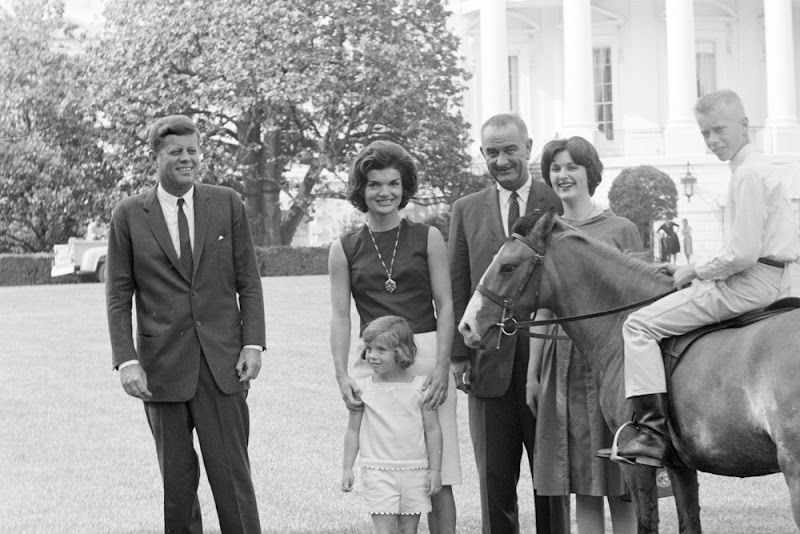 Caroline Kennedy and John F. Kennedy Jr., depart the White House for the last time. 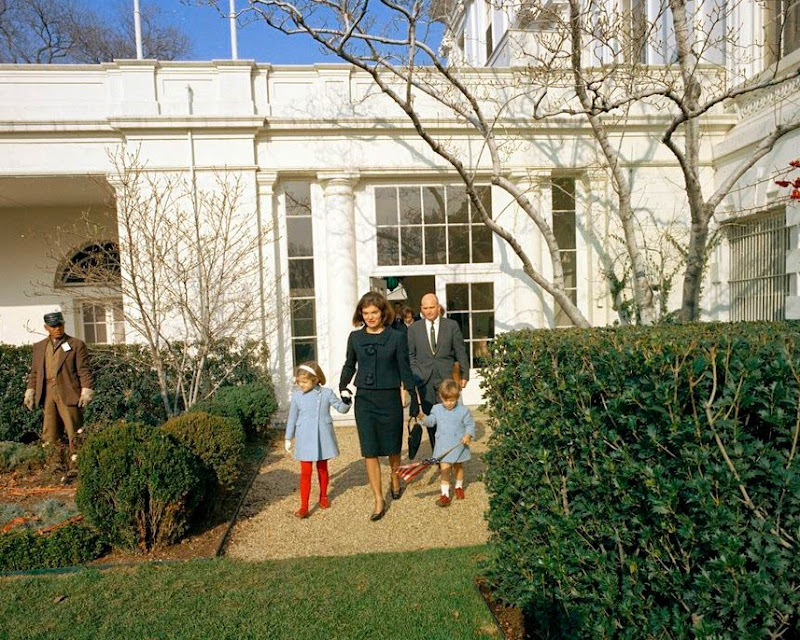 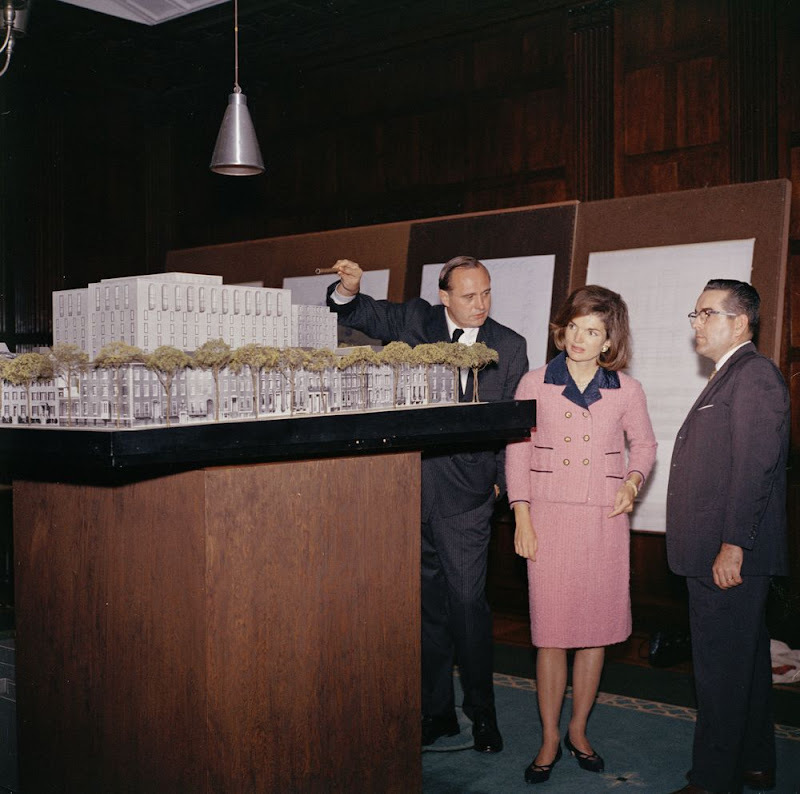 Lee Radziwill of Poland (sister of Mrs. Kennedy) walks through the Palm Room door. 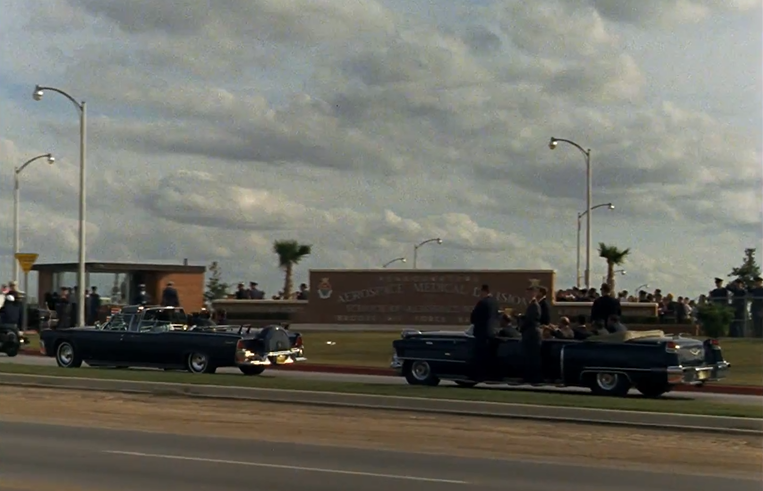 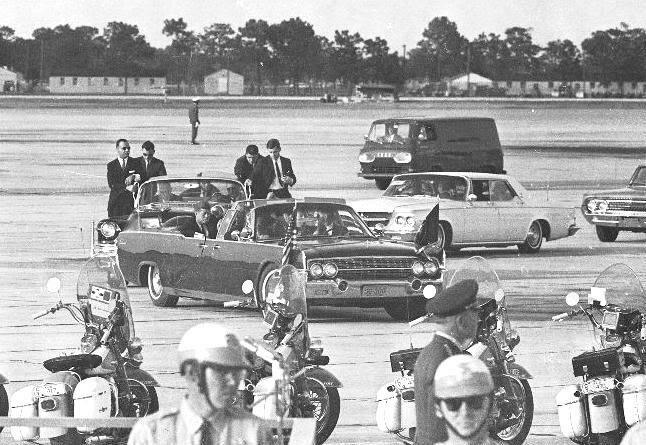 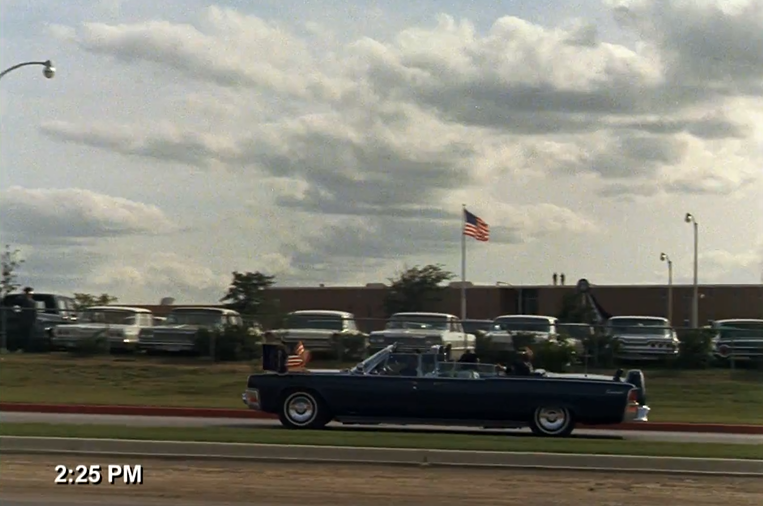 are seen in this picture taken at Andrews Air Force Base on June 29, 1962. 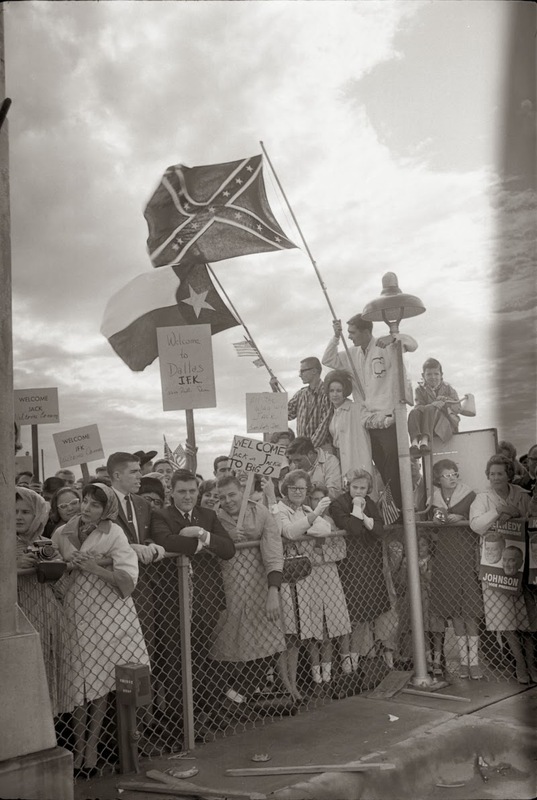 Charleston, West Virginia, on June 20, 1963. 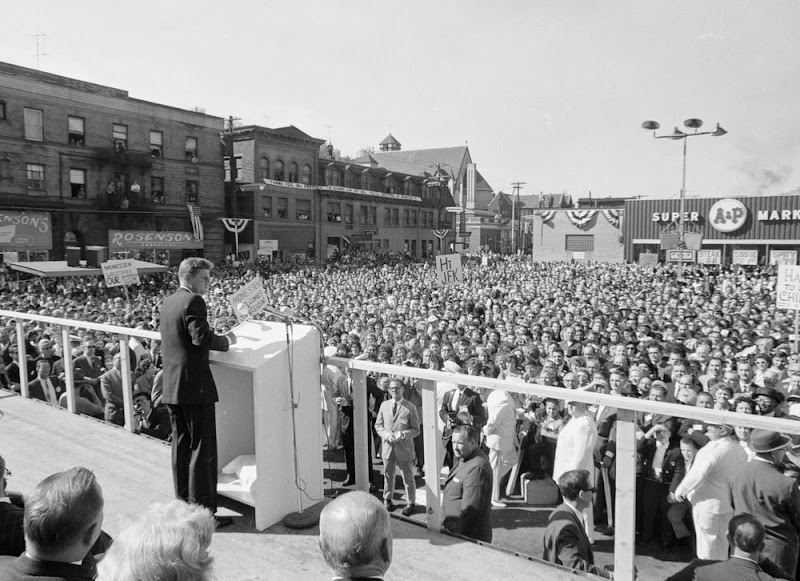 St. Louis, Missouri (September 12, 1962). 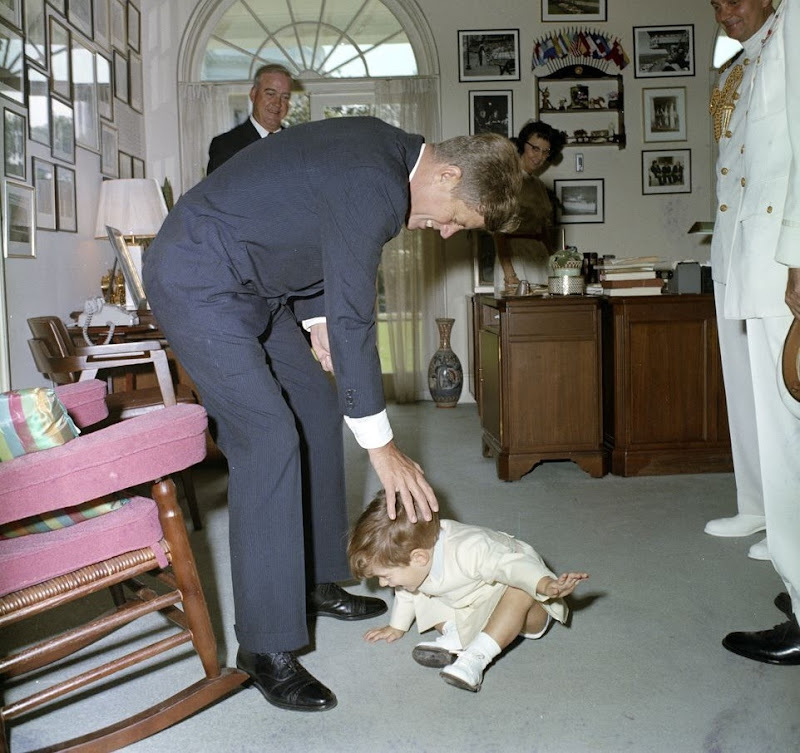 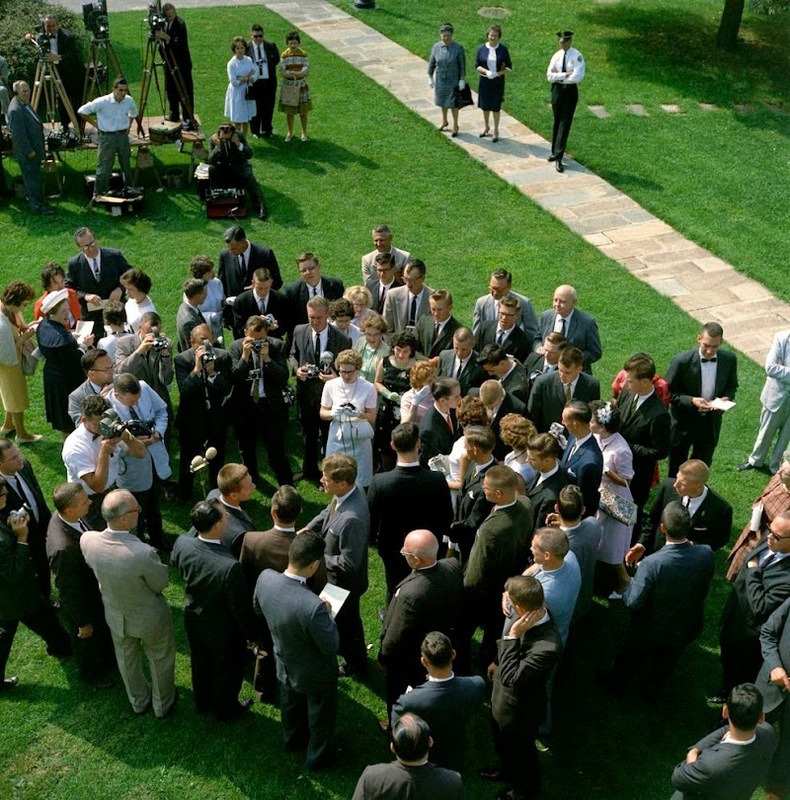 JFK and Caroline (August 25, 1963). 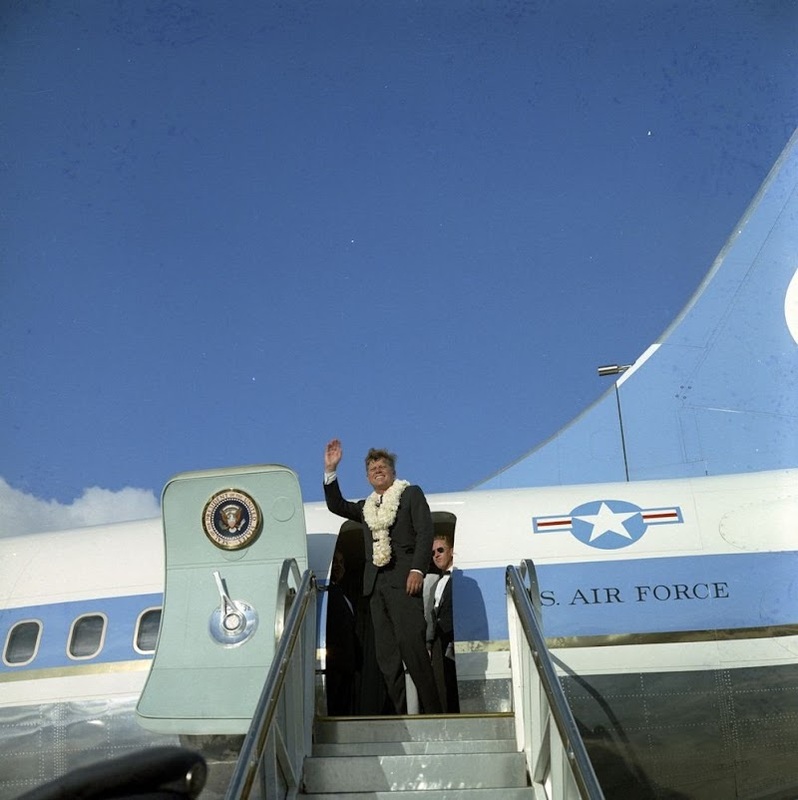 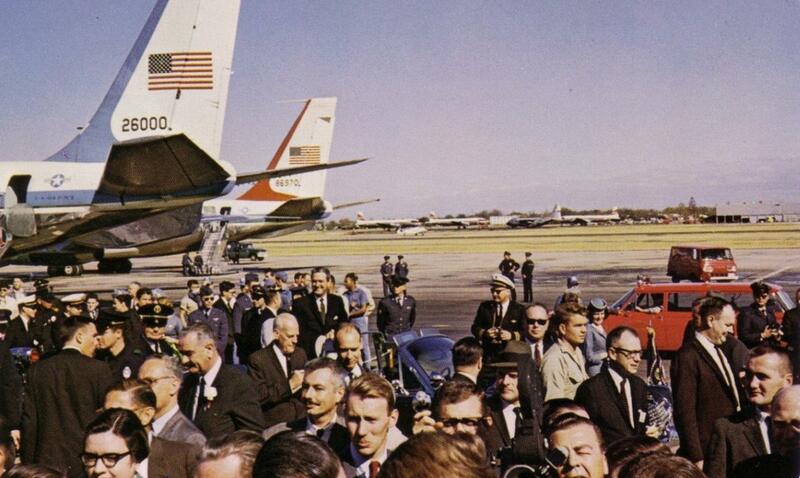 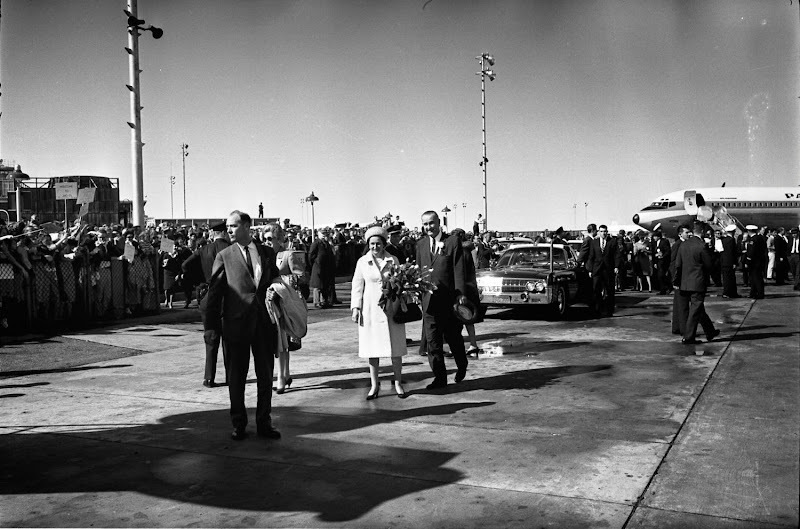 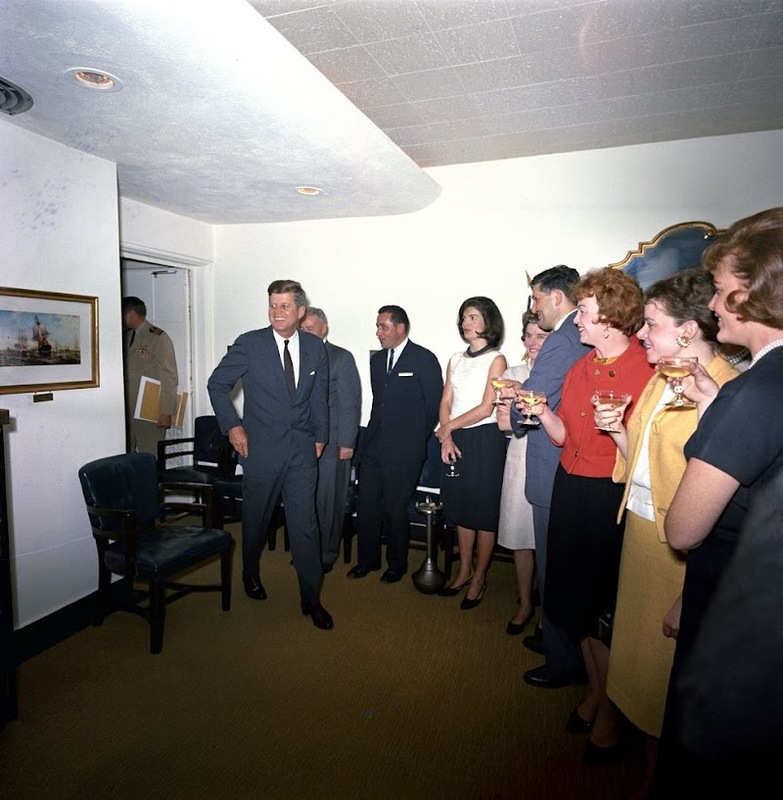 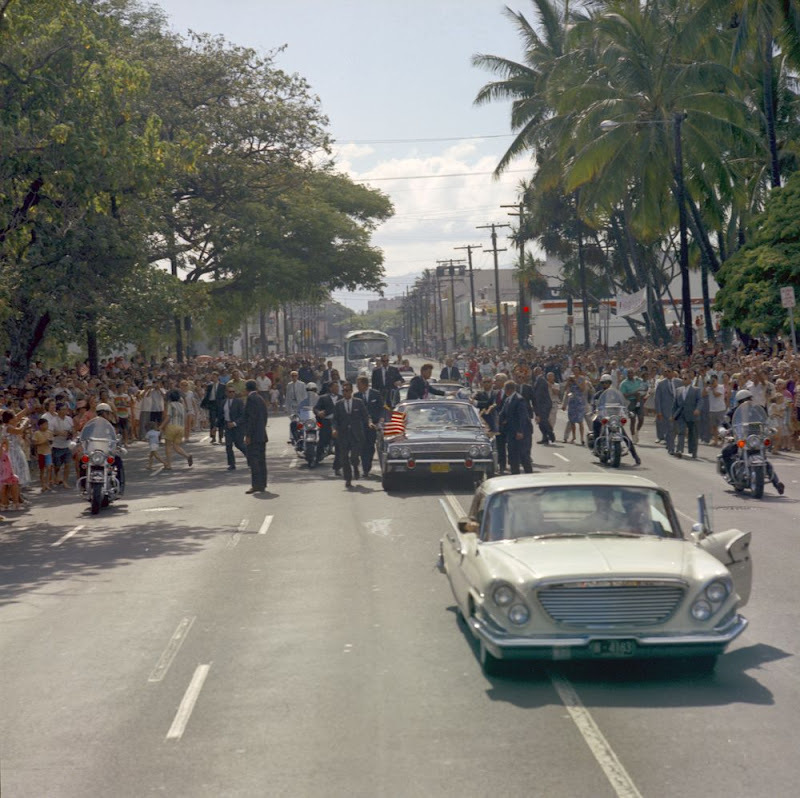 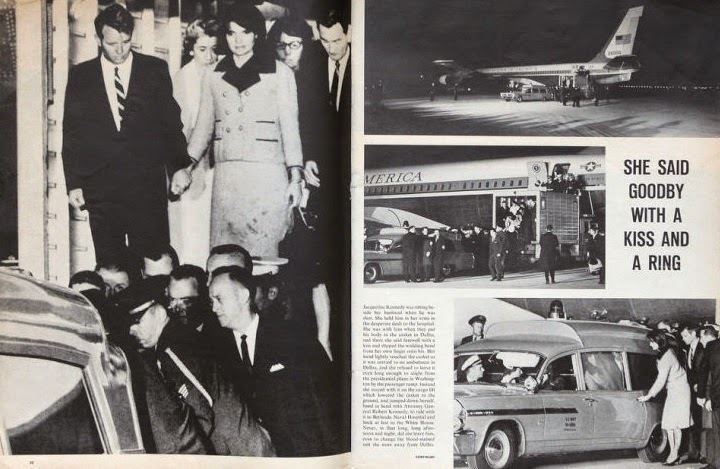 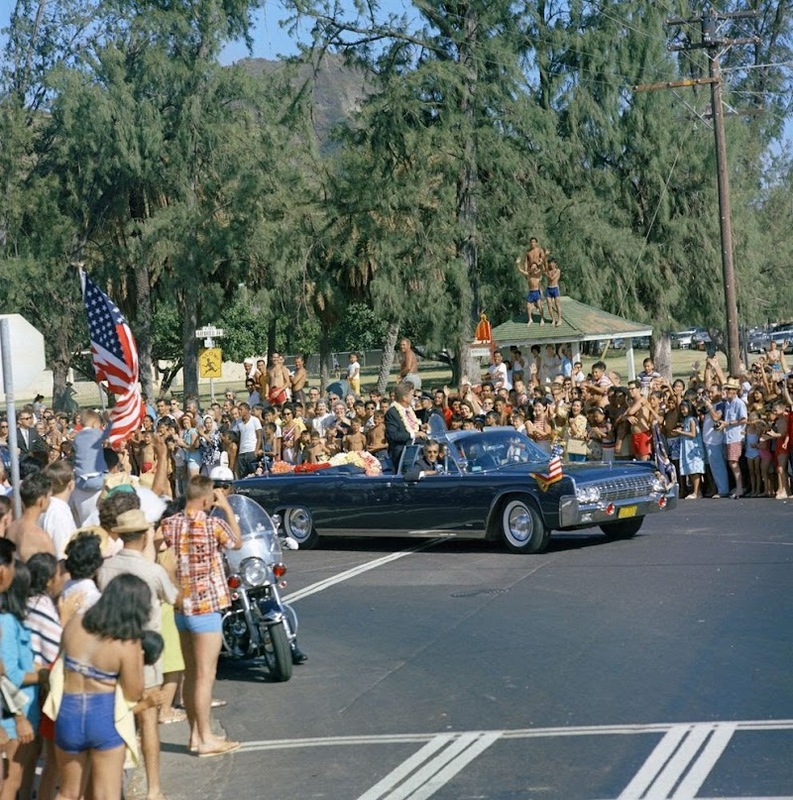 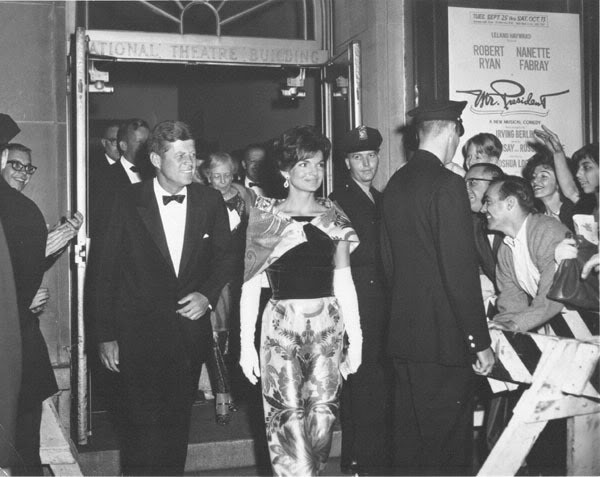 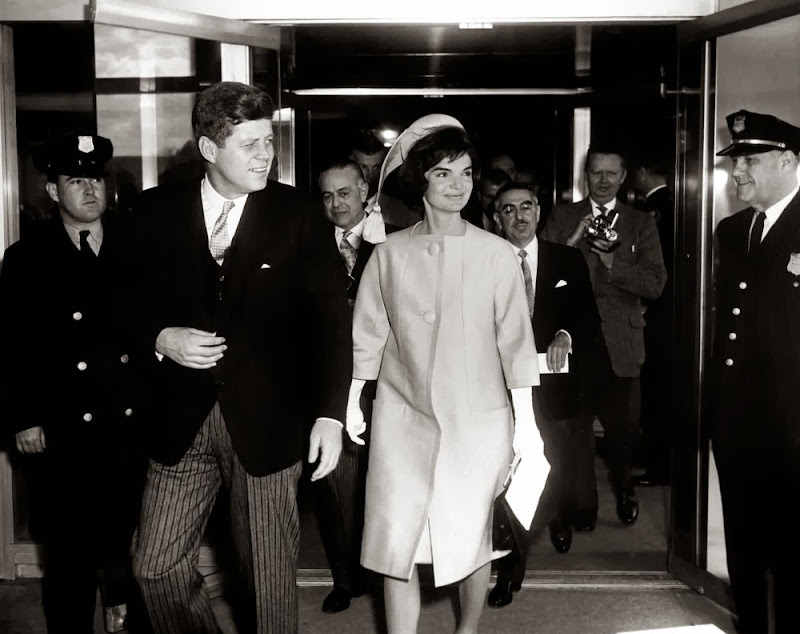 arrival of President and Mrs. Kennedy on November 22, 1963. 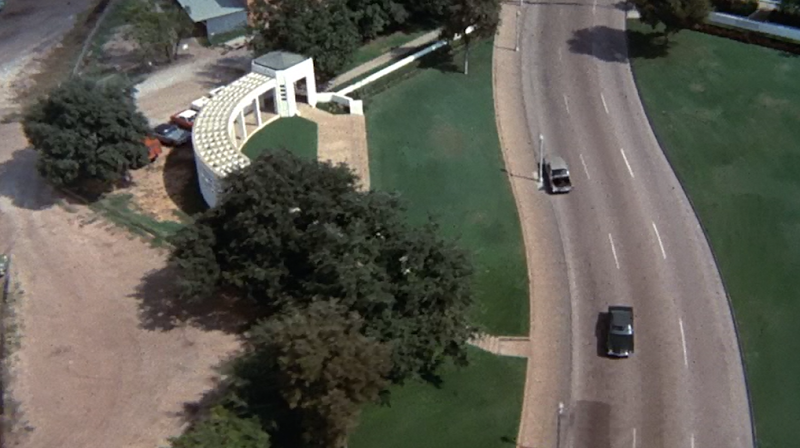 The White House Rose Garden is getting a facelift. 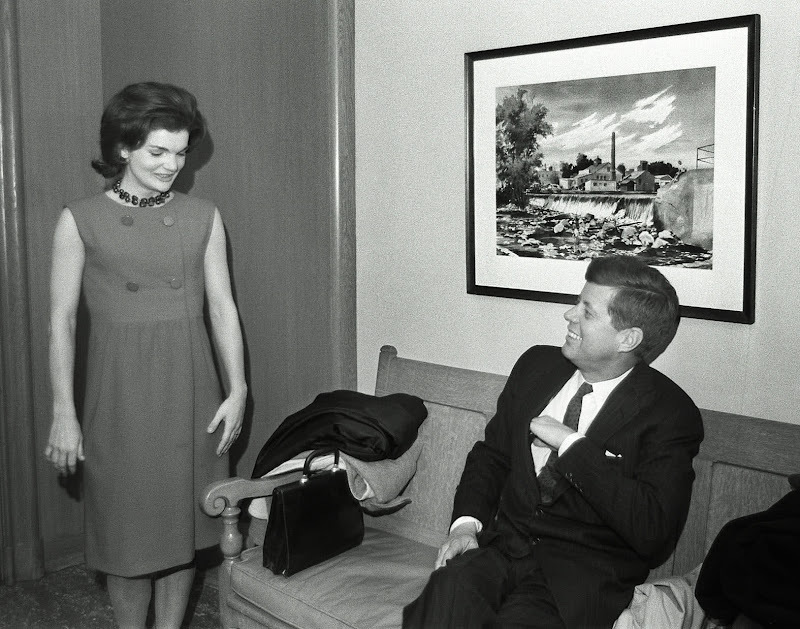 This photo was taken on April 4, 1962. 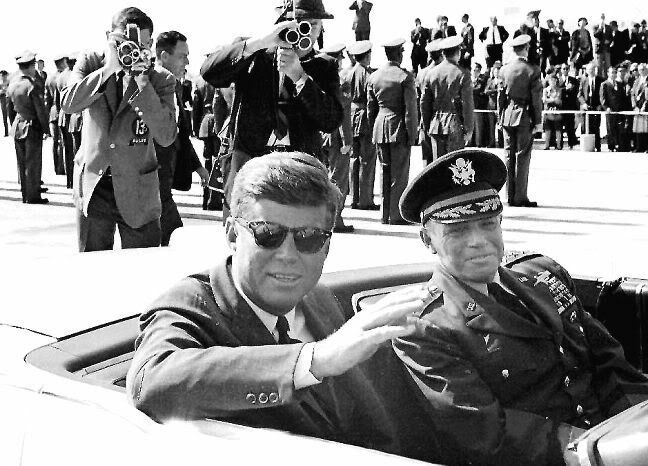 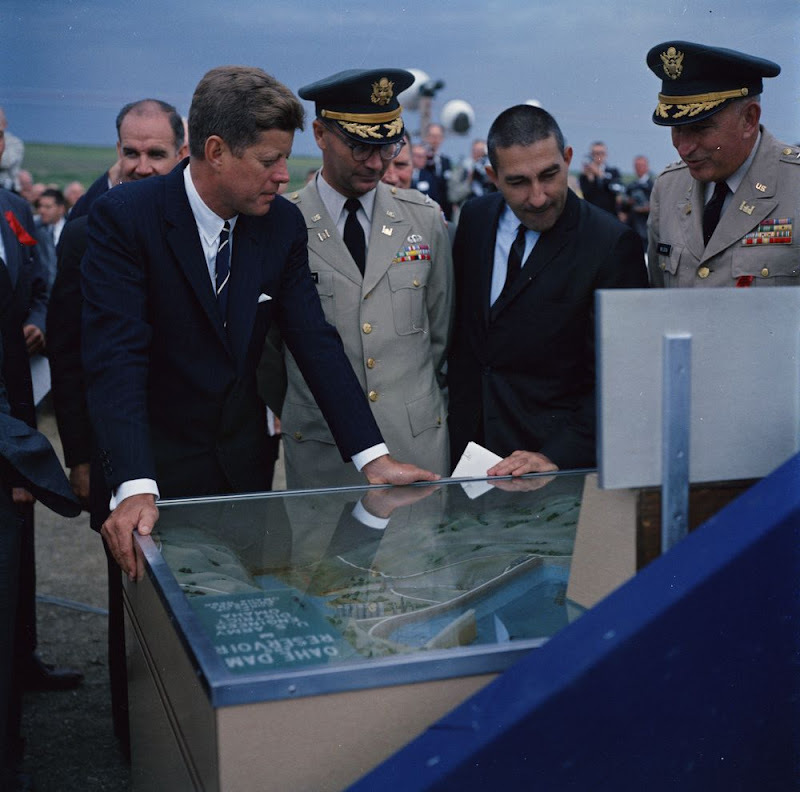 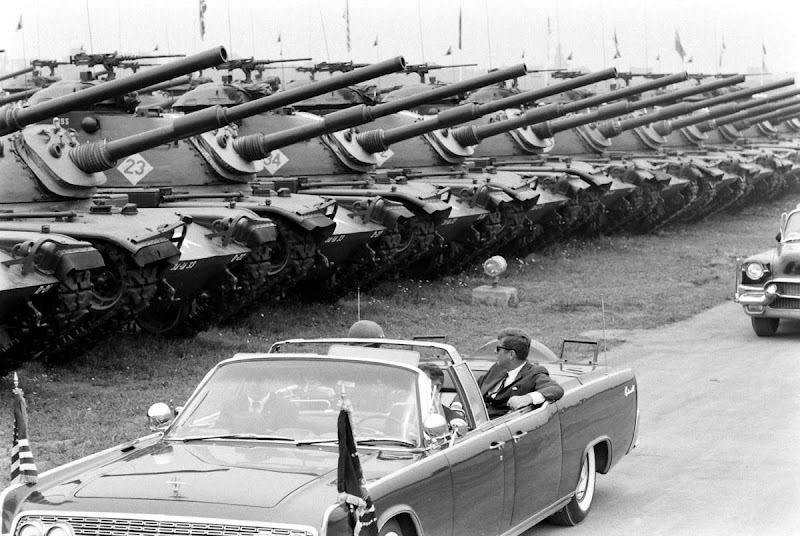 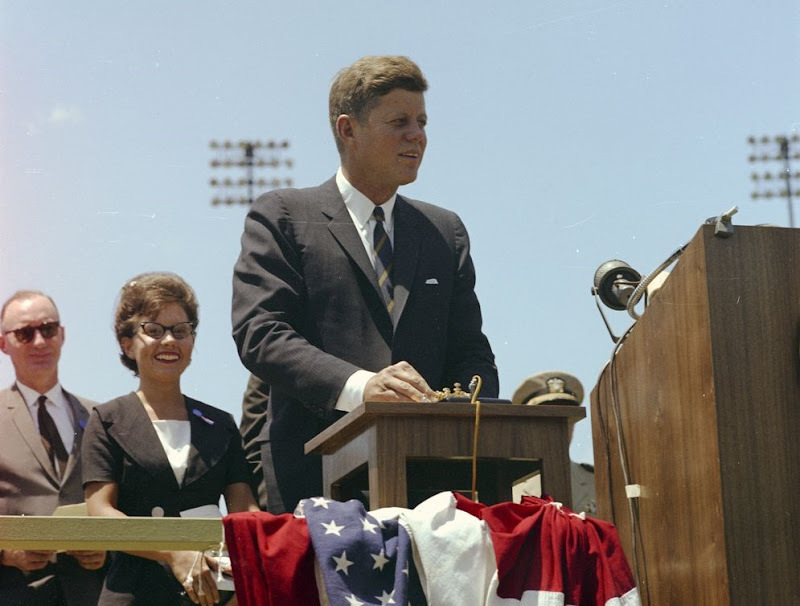 JFK in West Germany in June 1963. 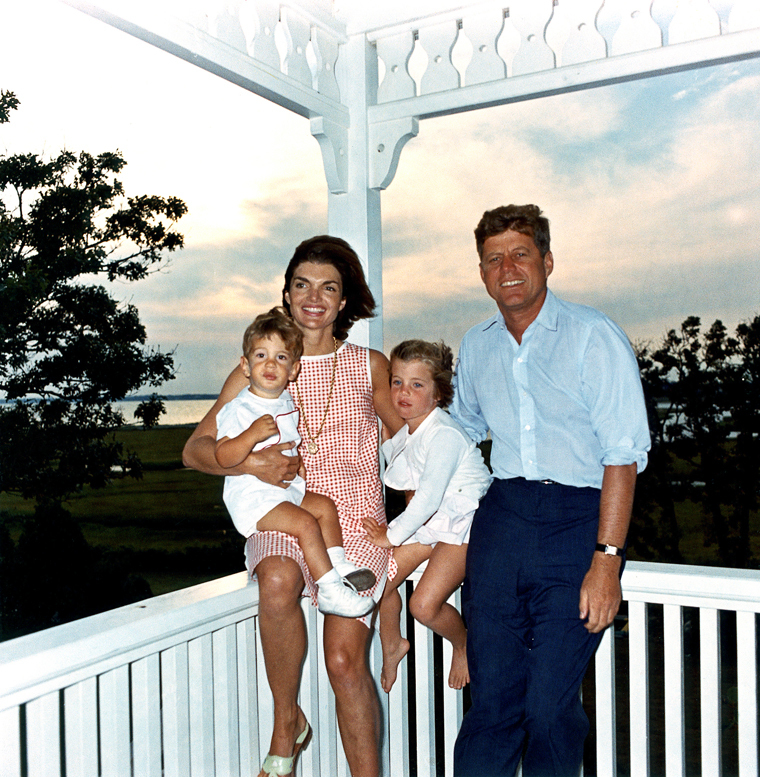 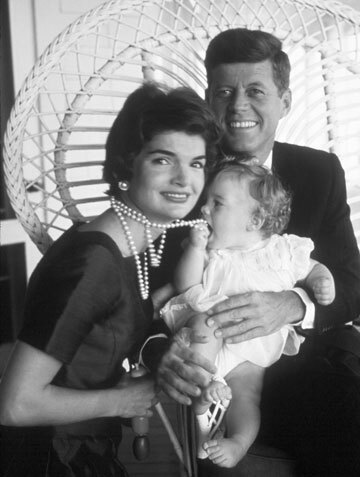 JFK, Jackie, and daughter Caroline in the summer of 1958.
featuring real lawyers Vincent Bugliosi and Gerry Spence. 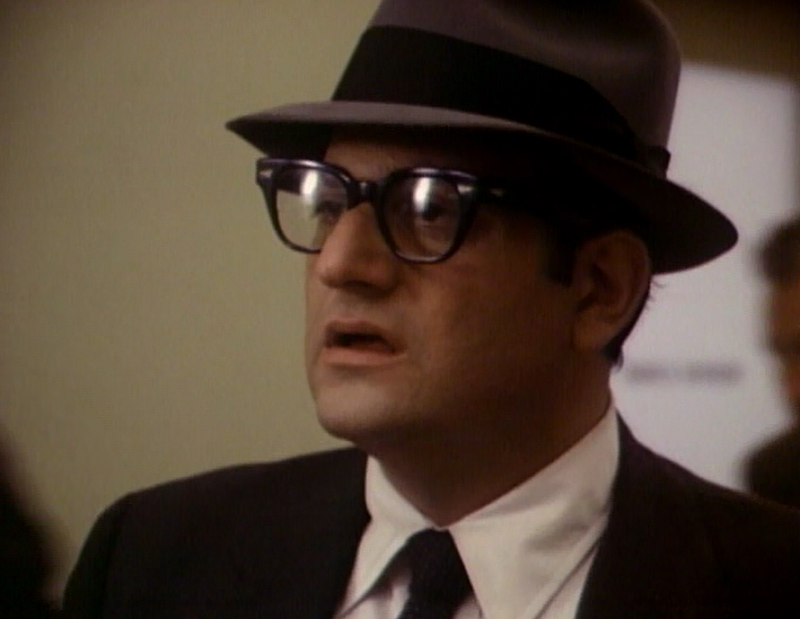 To see more pictures from the '86 mock trial, CLICK HERE. 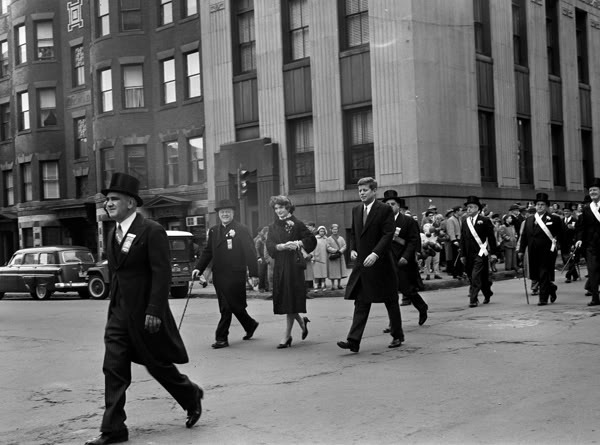 Jack and Jackie walking in a parade (March 1958). 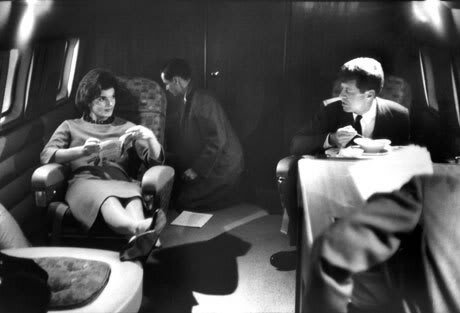 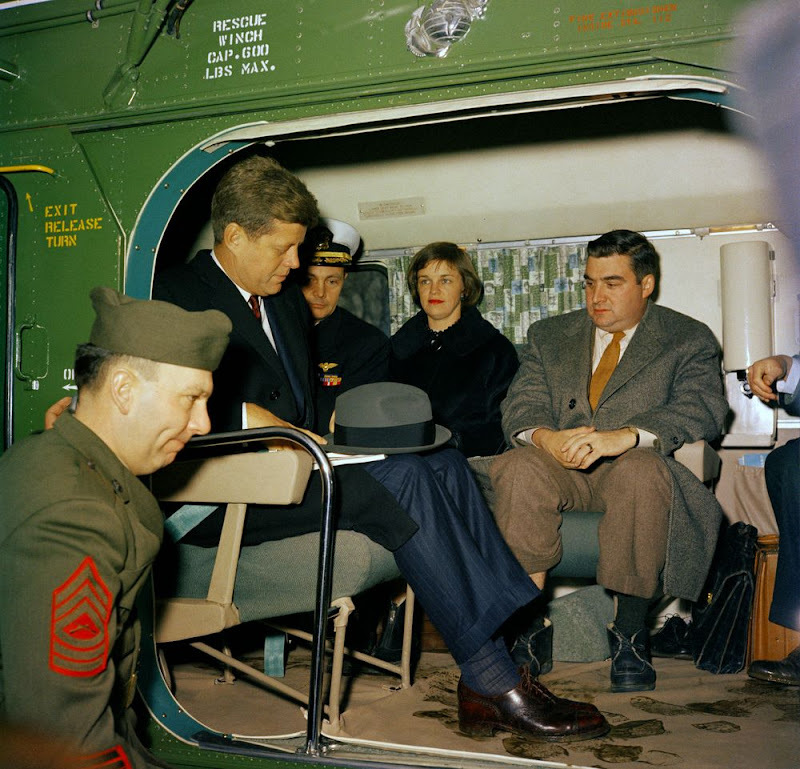 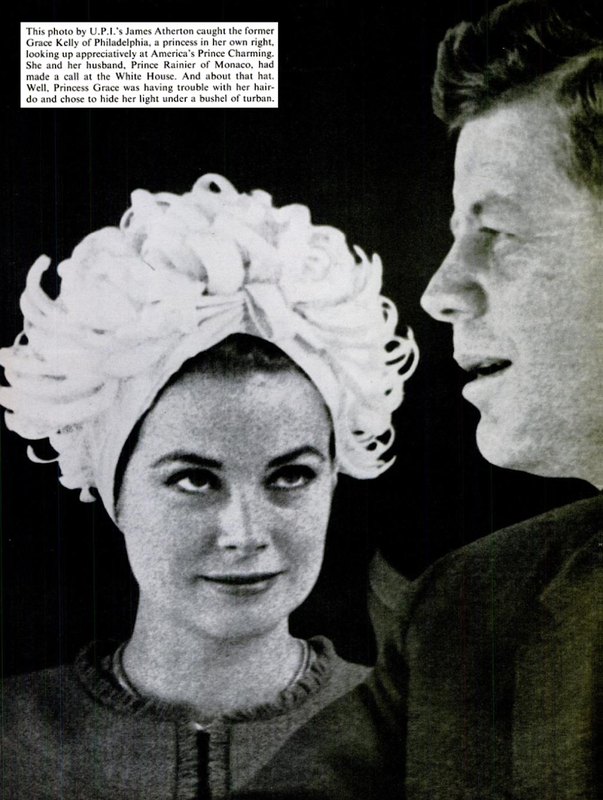 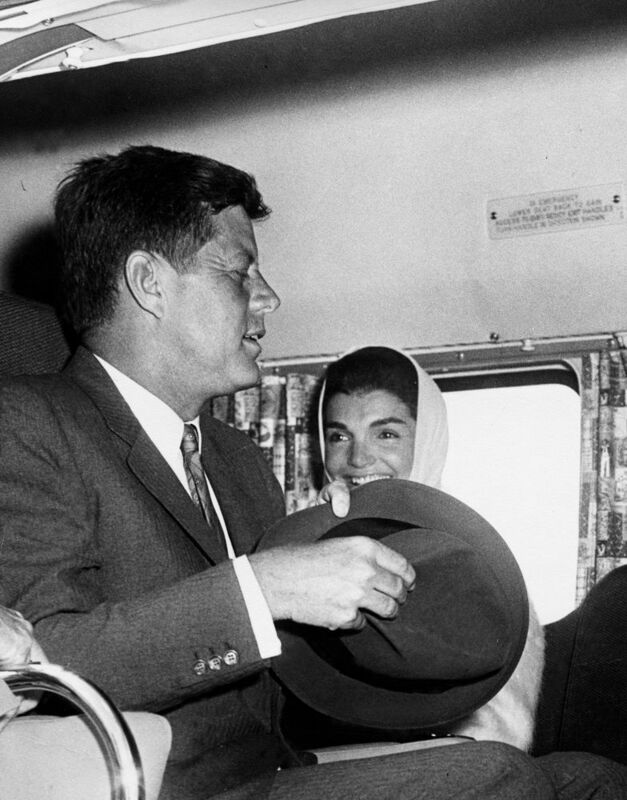 Spring 1960: Jackie and Jack relax in the air between campaign stops. 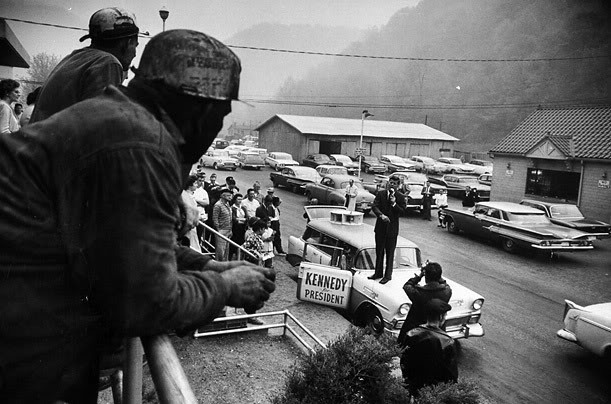 West Virginia coal miners in April 1960.
during the 1960 Presidential campaign. 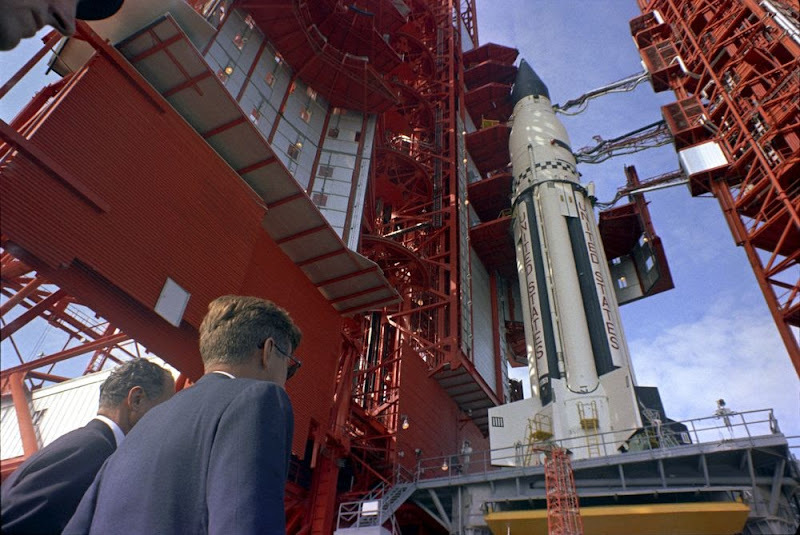 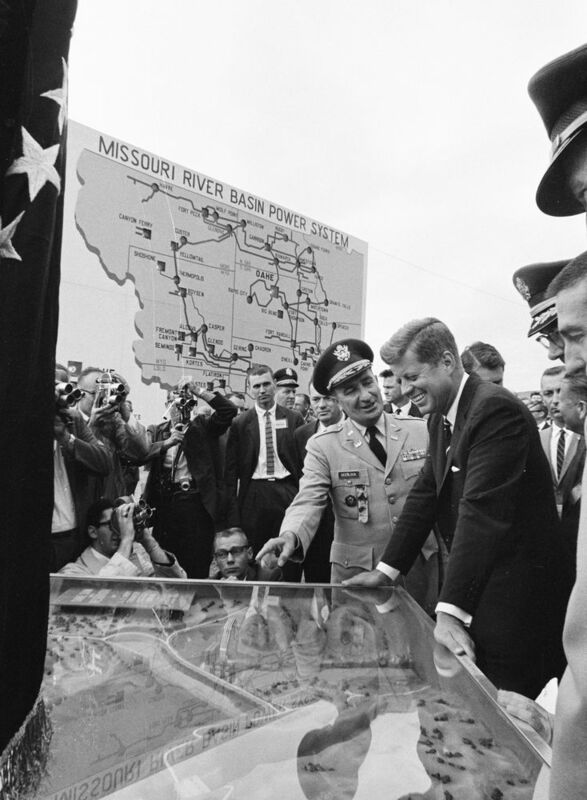 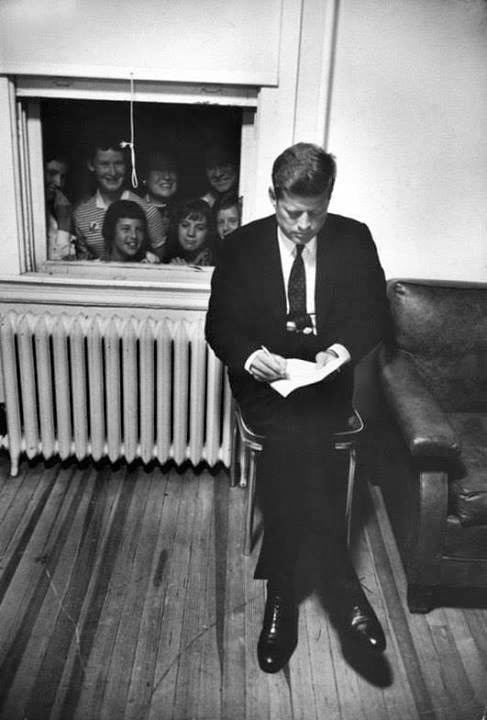 JFK in Illinois (October 1960). 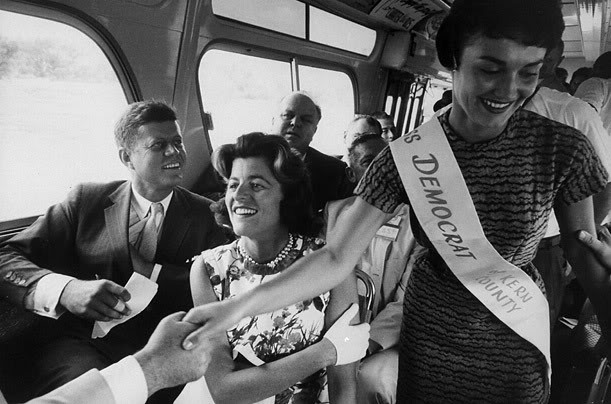 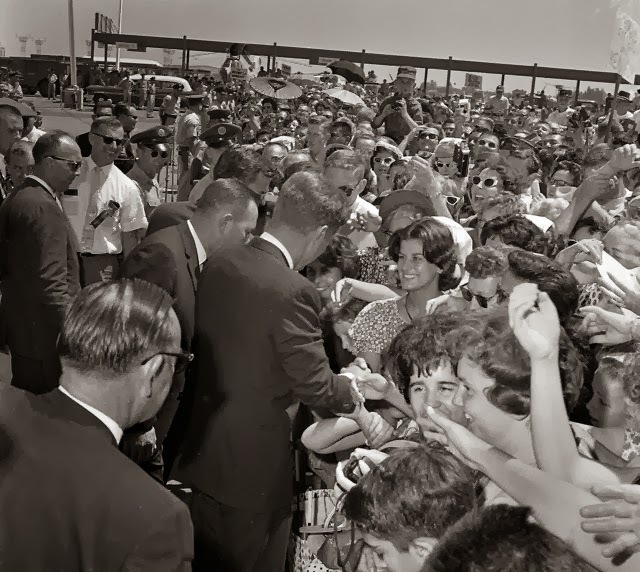 on the campaign trail in 1960. 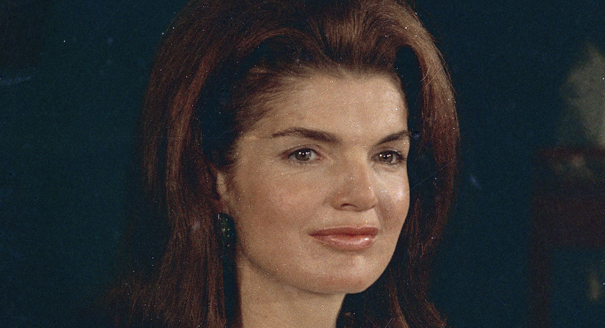 (during a television call-in program). 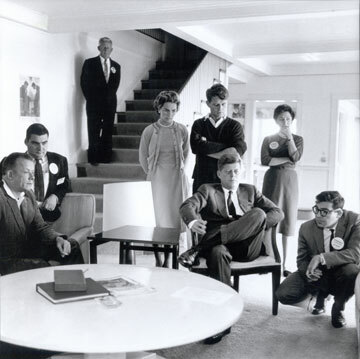 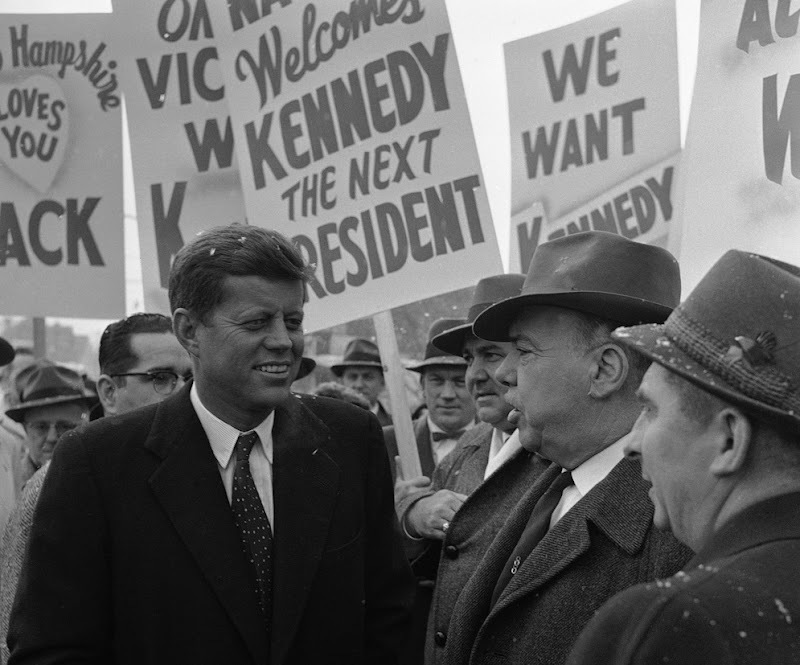 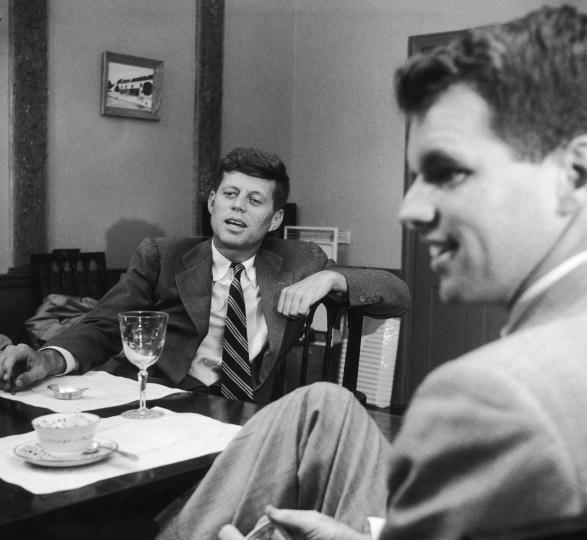 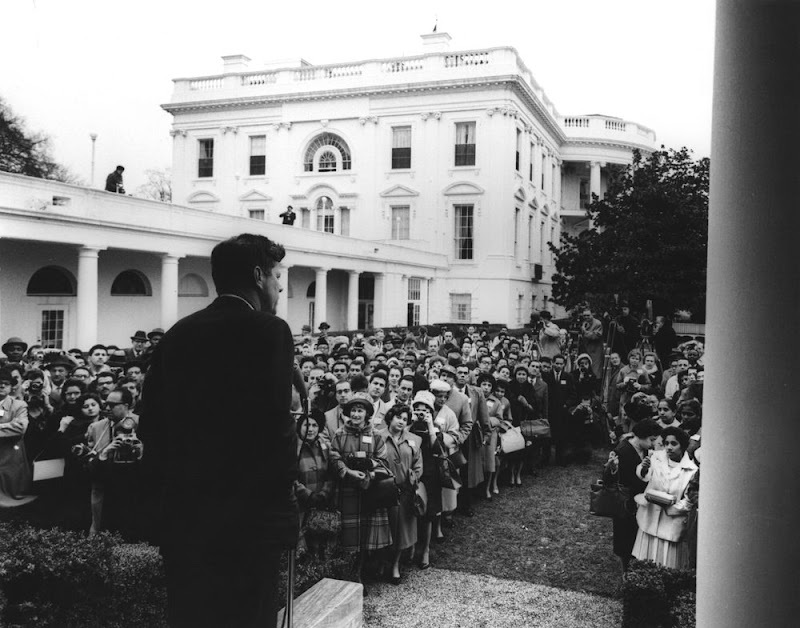 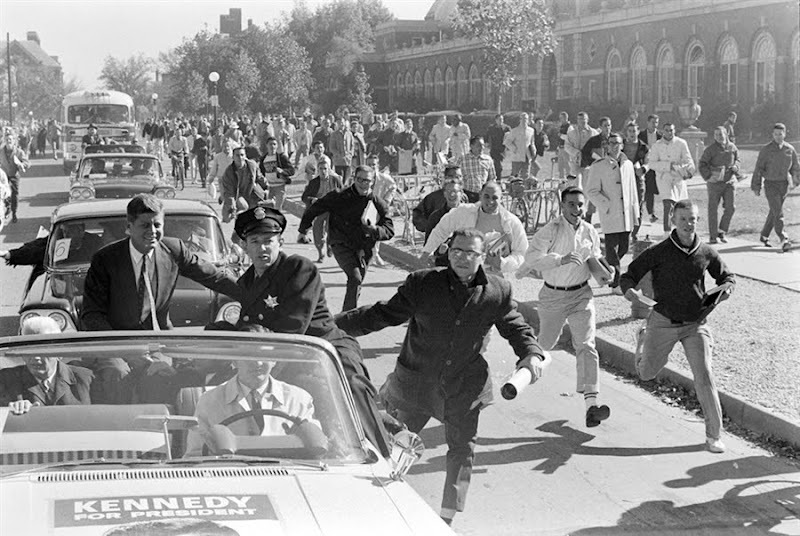 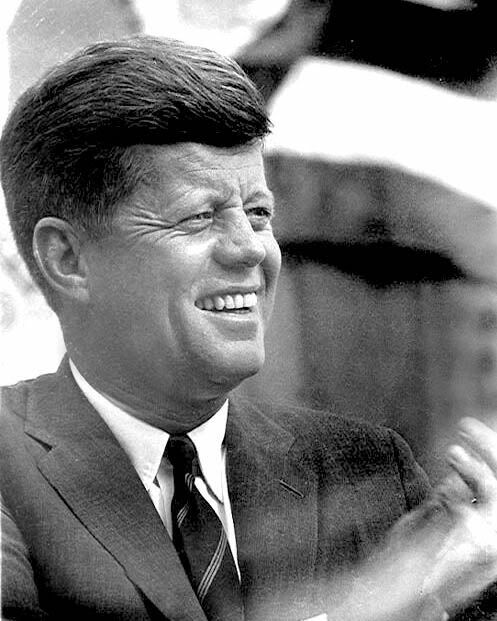 Another picture of Senator Kennedy during his run for President in 1960. 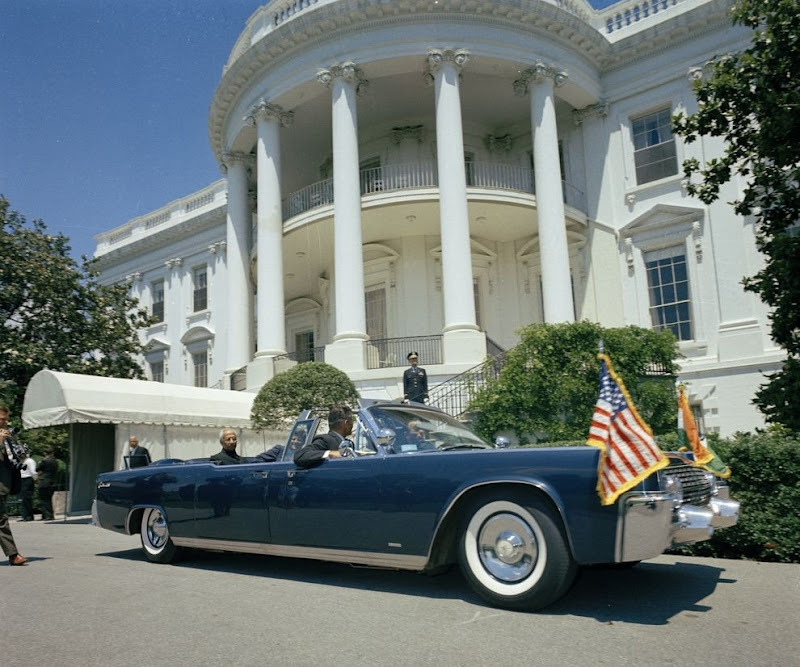 Richard Nixon in late 1960. 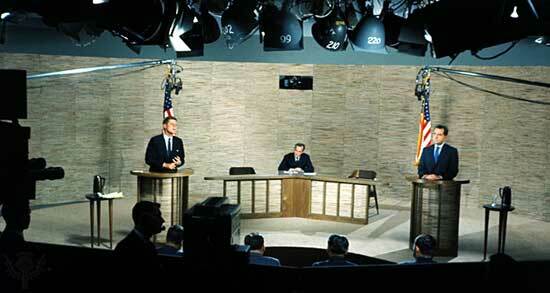 A rare color photo taken during one of the 1960 debates. 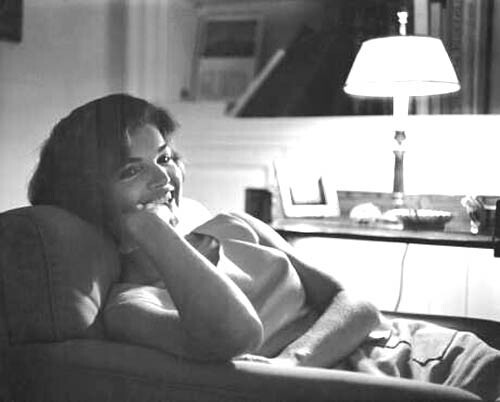 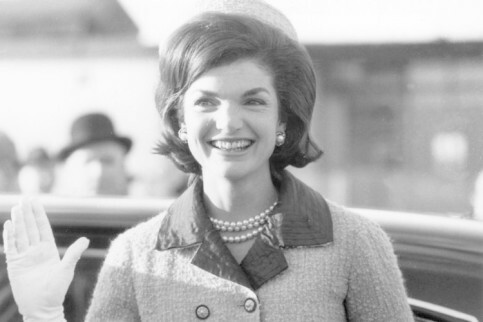 A relaxed Jackie in Georgetown in 1959. 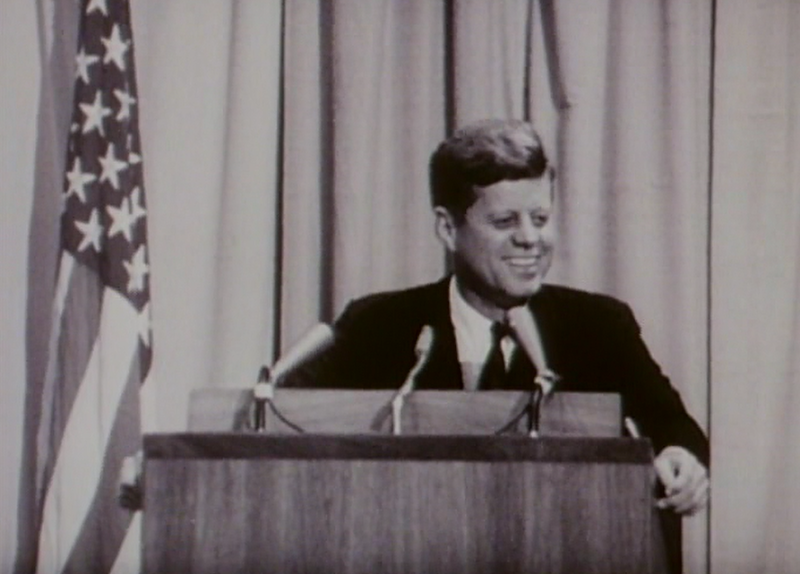 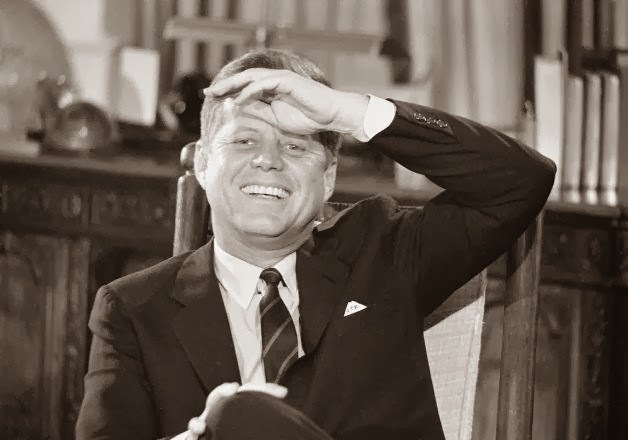 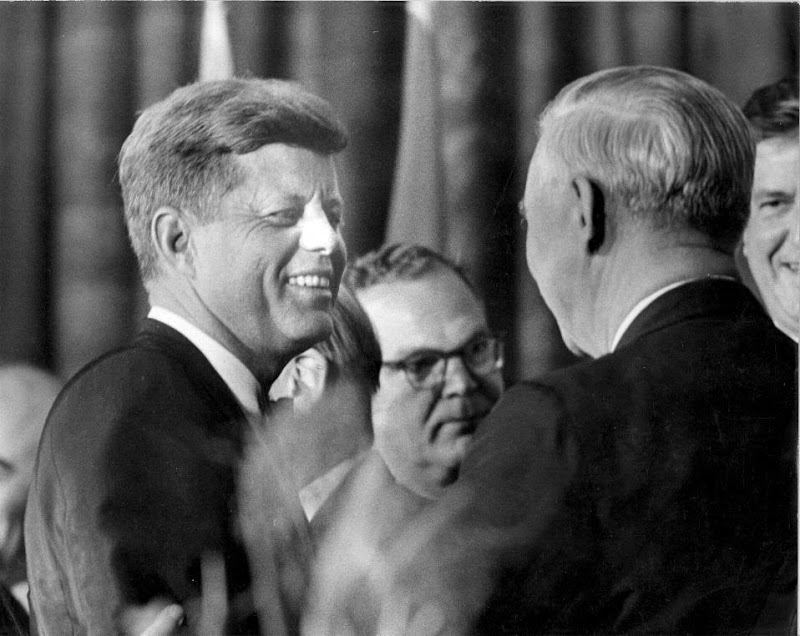 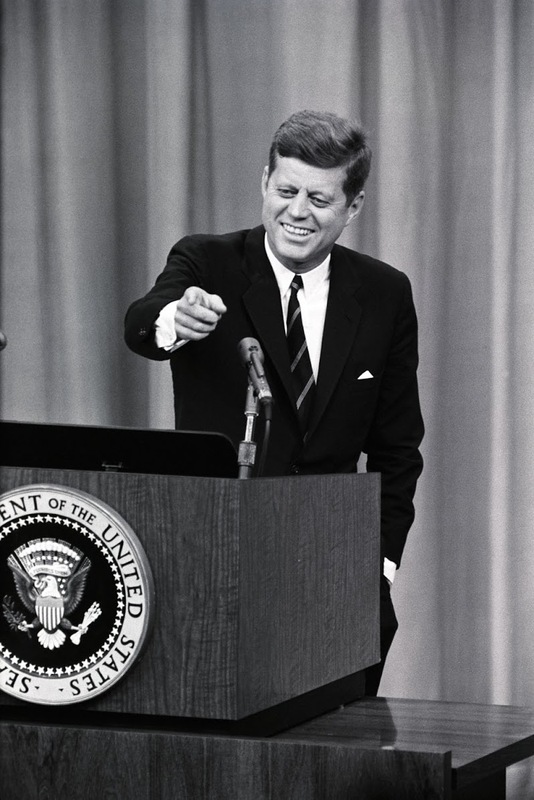 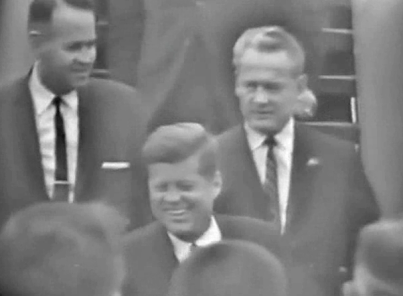 A jovial JFK at another news conference. 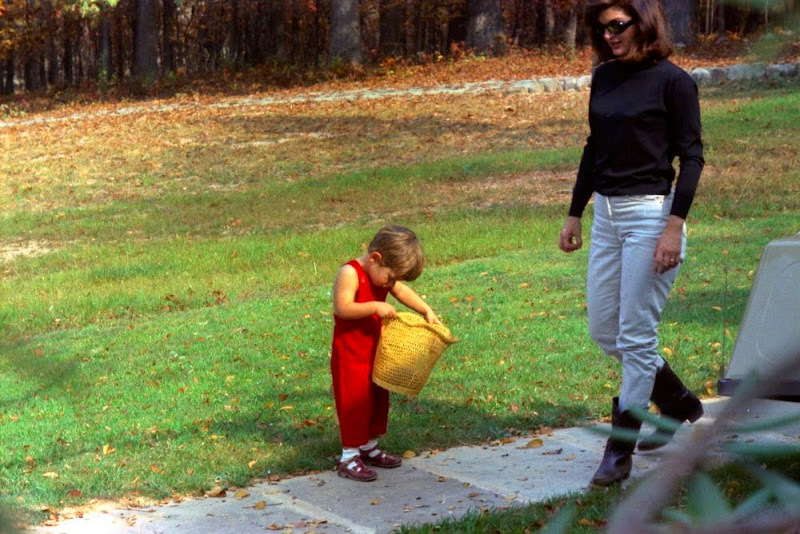 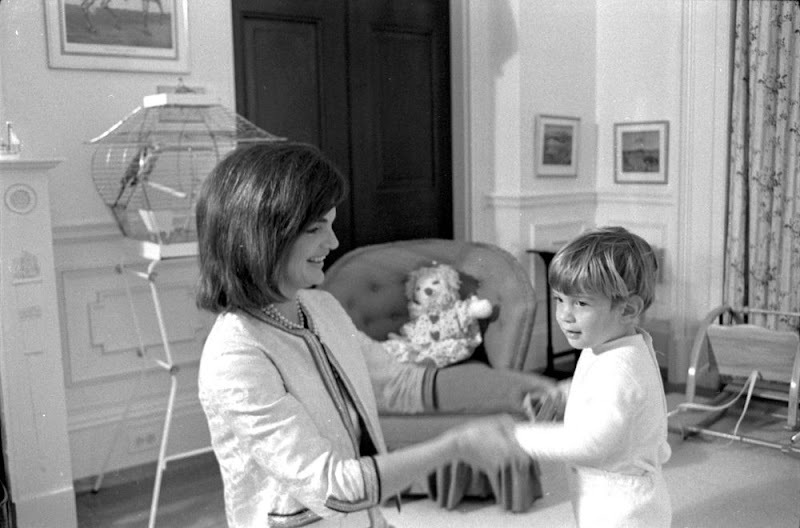 John Jr., Caroline, and Jackie (circa 1970s).